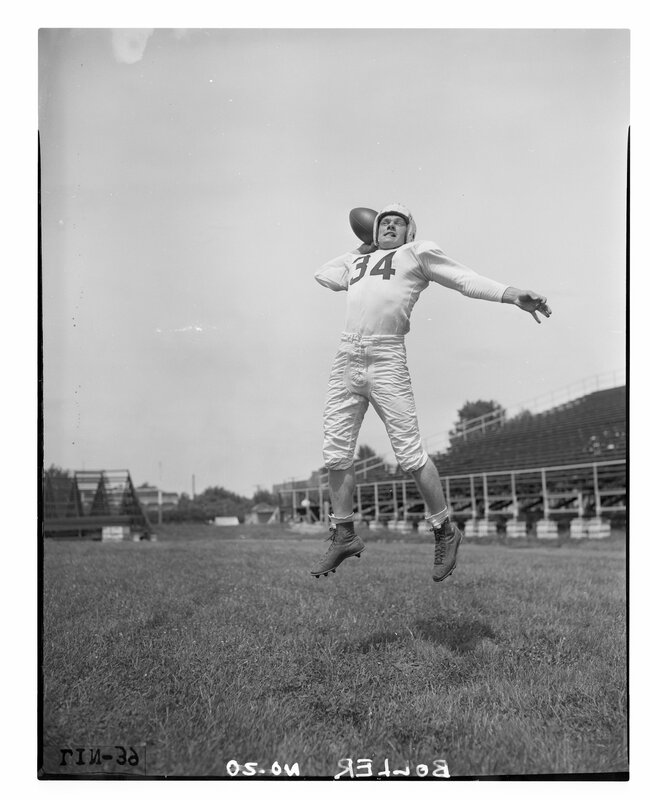 Includes negatives of basketball and football players. 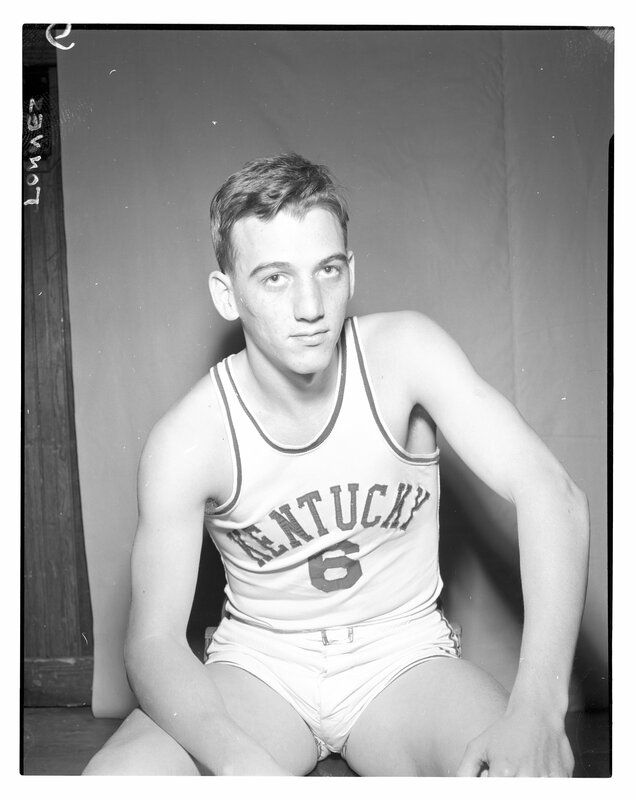 University of Kentucky - Basketball. 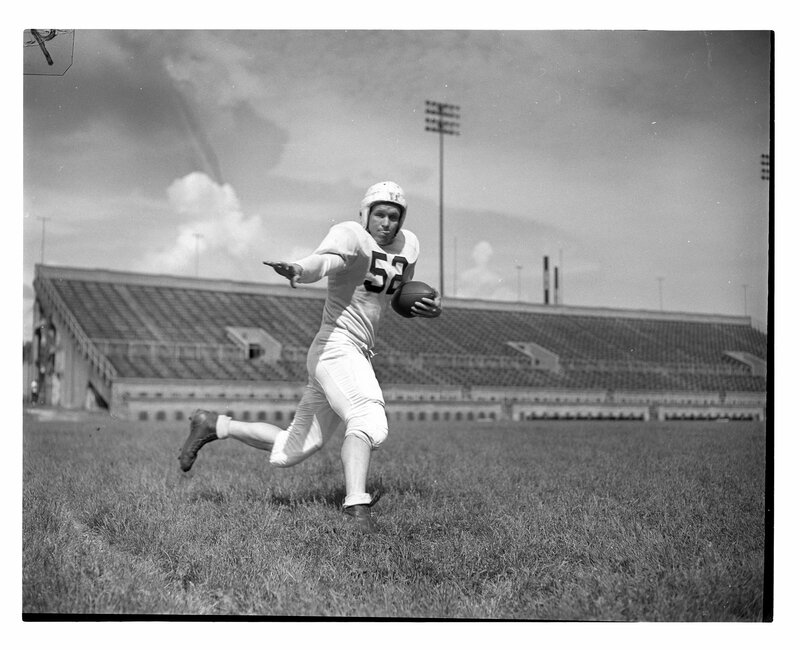 University of Kentucky - Football. 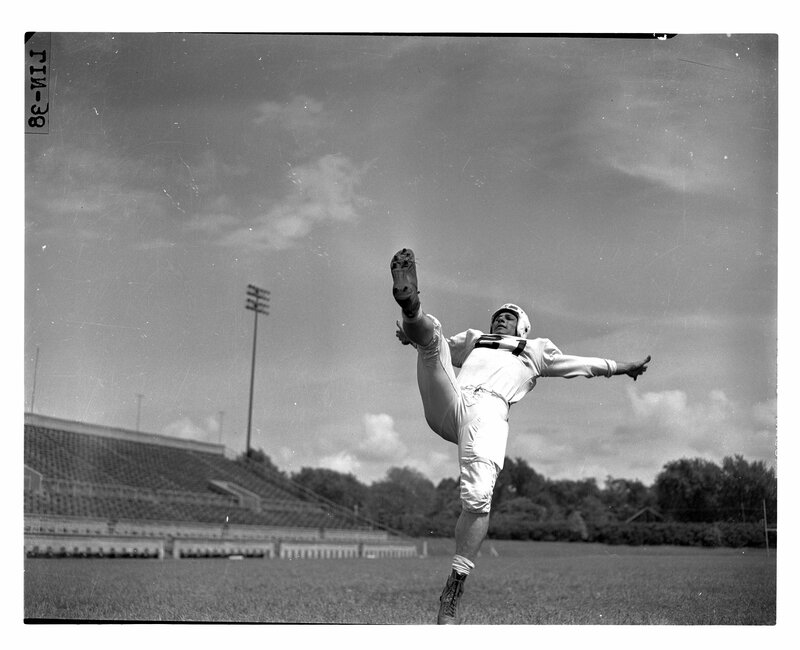 University of Kentucky - Photographs. 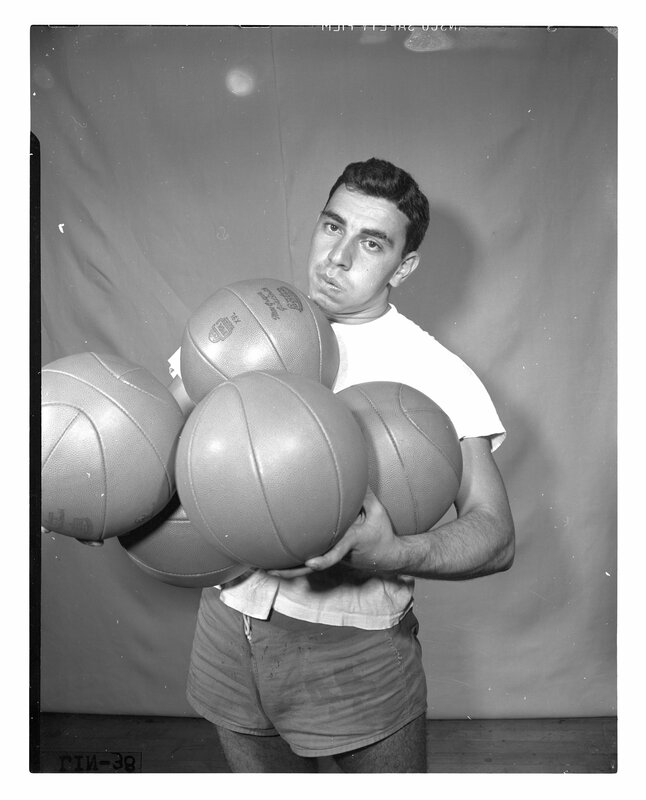 This collection is arranged by subject, with basketball negatives coming first and football negatives following. 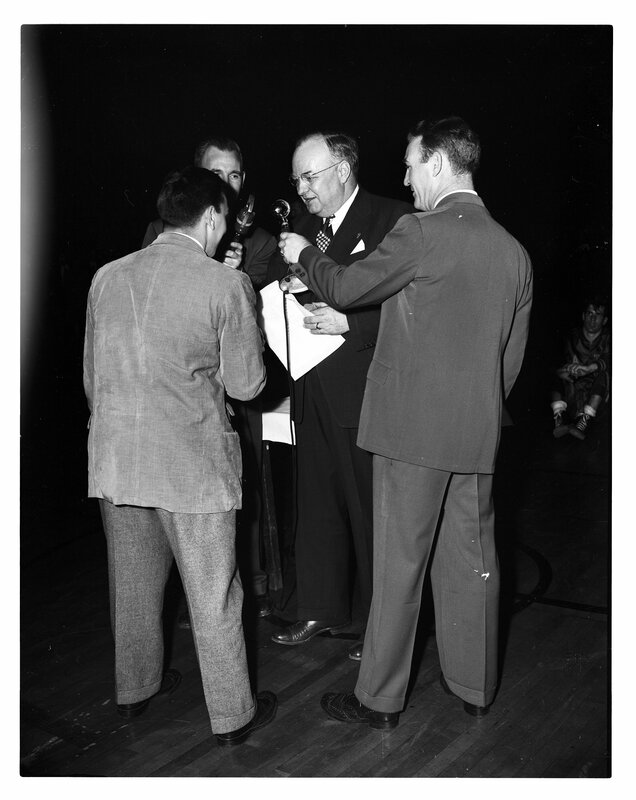 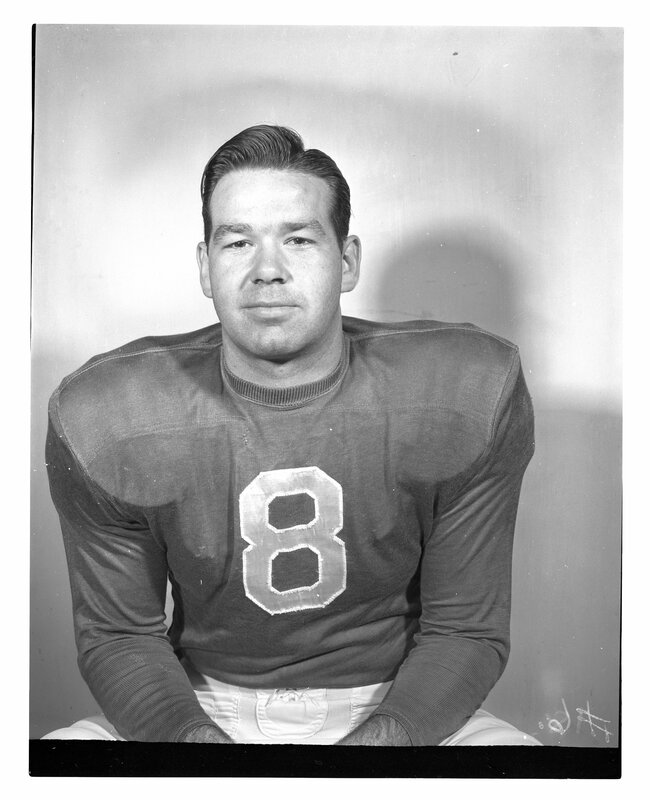 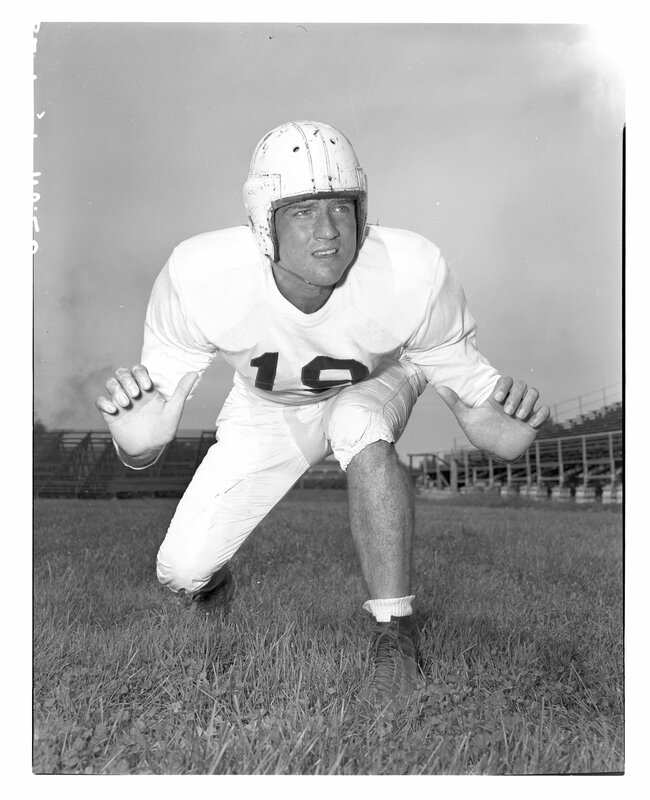 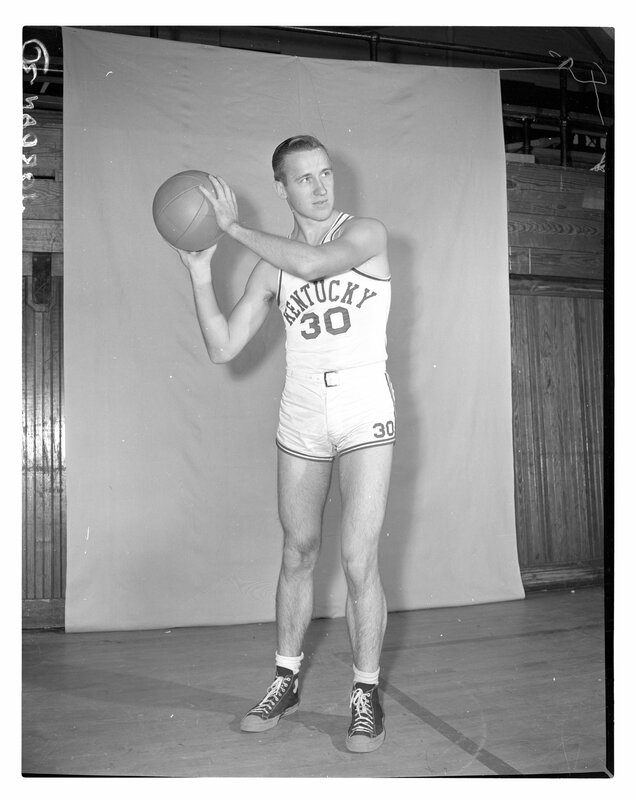 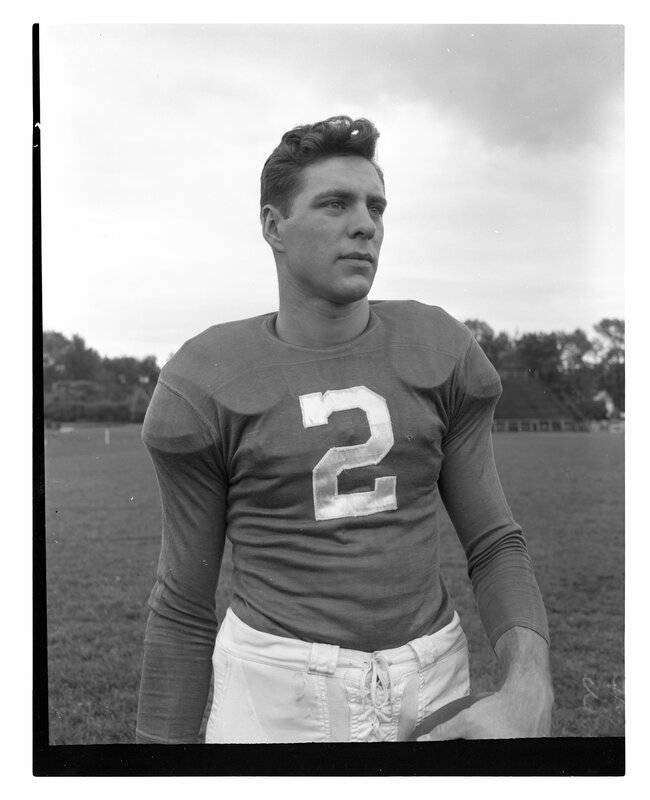 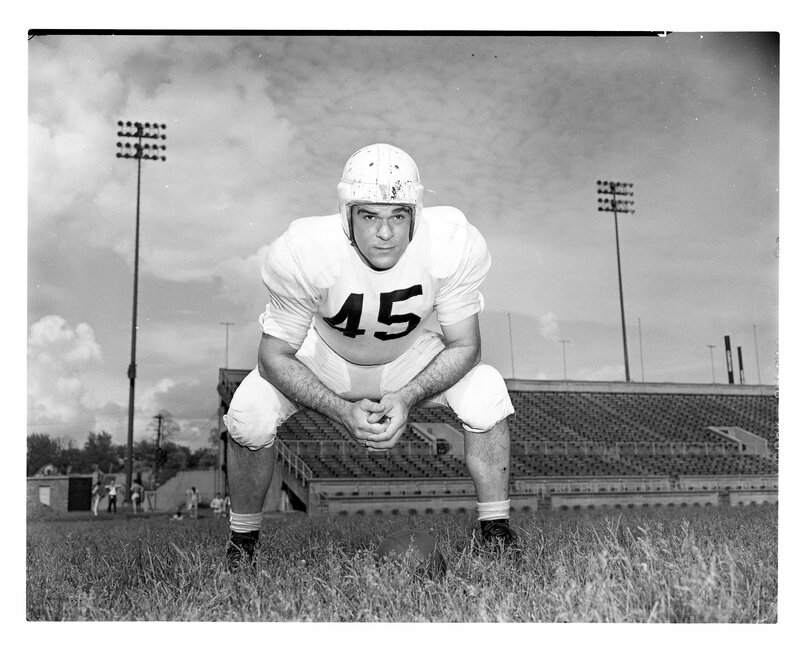 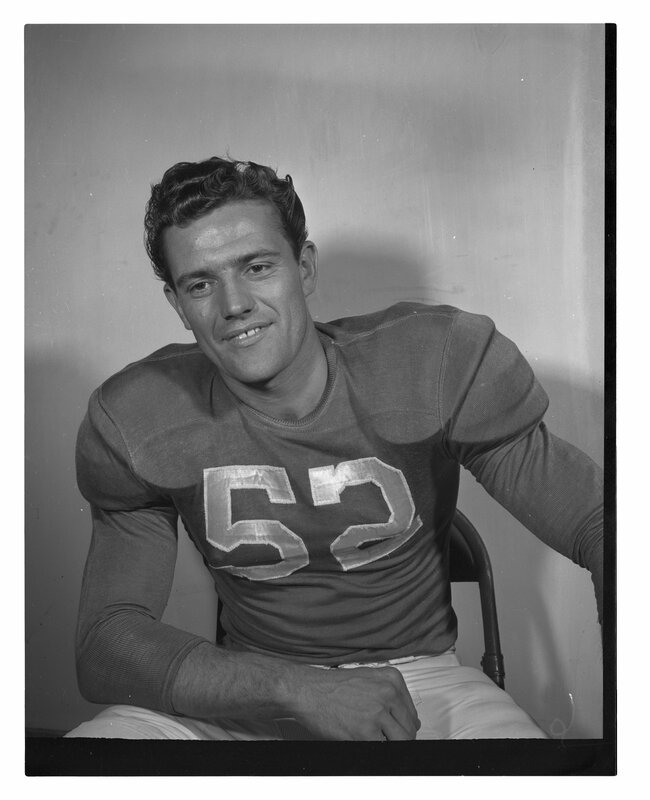 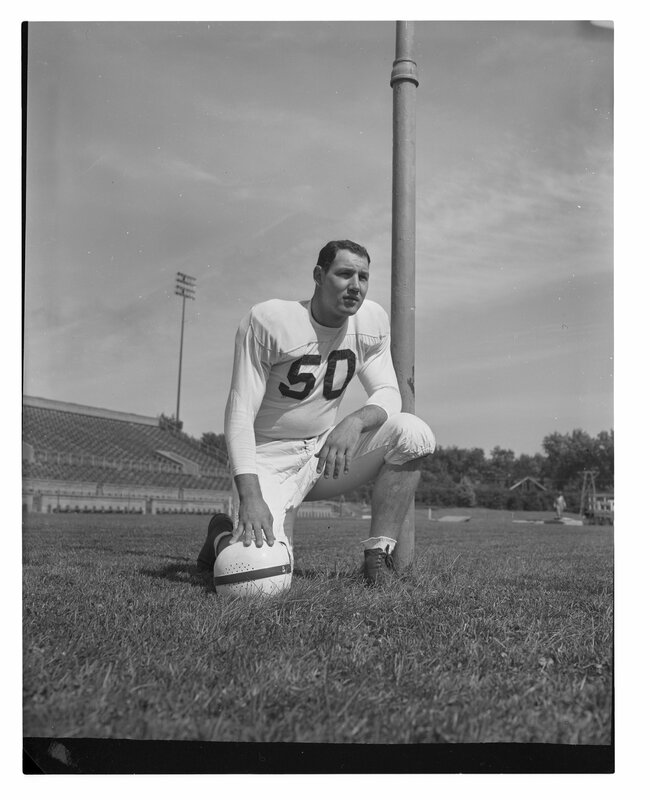 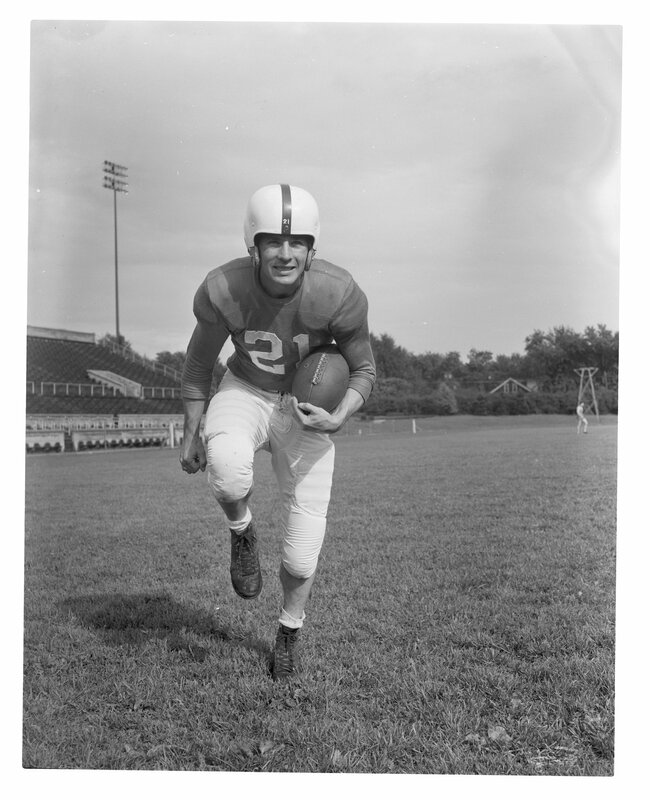 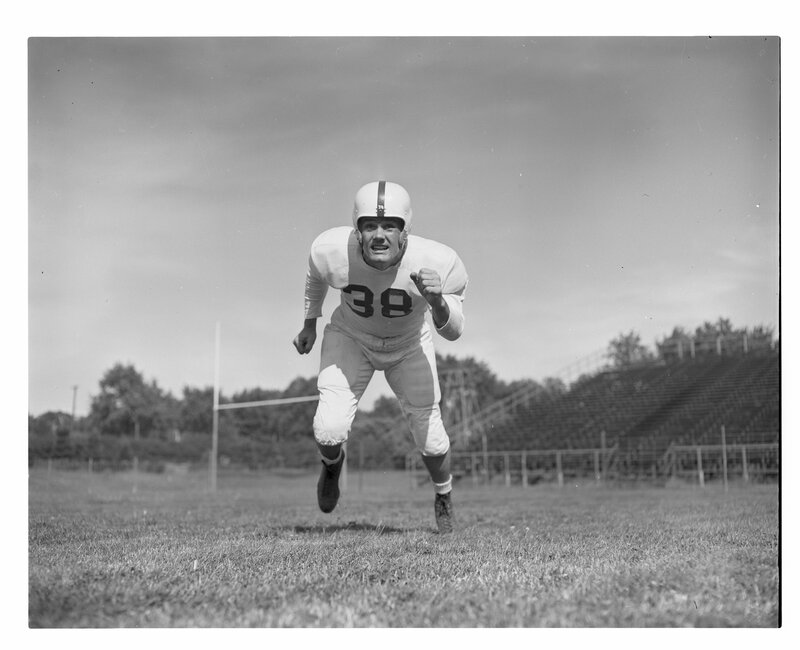 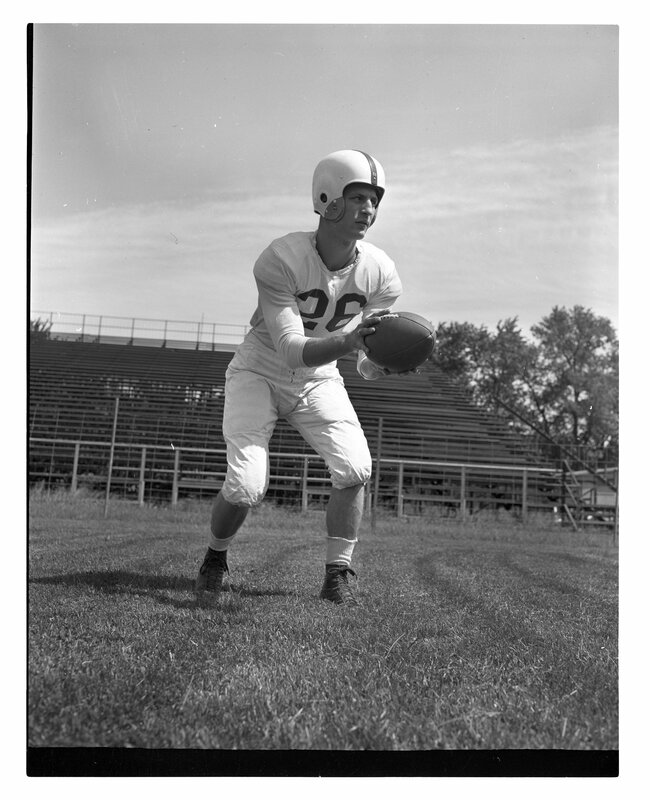 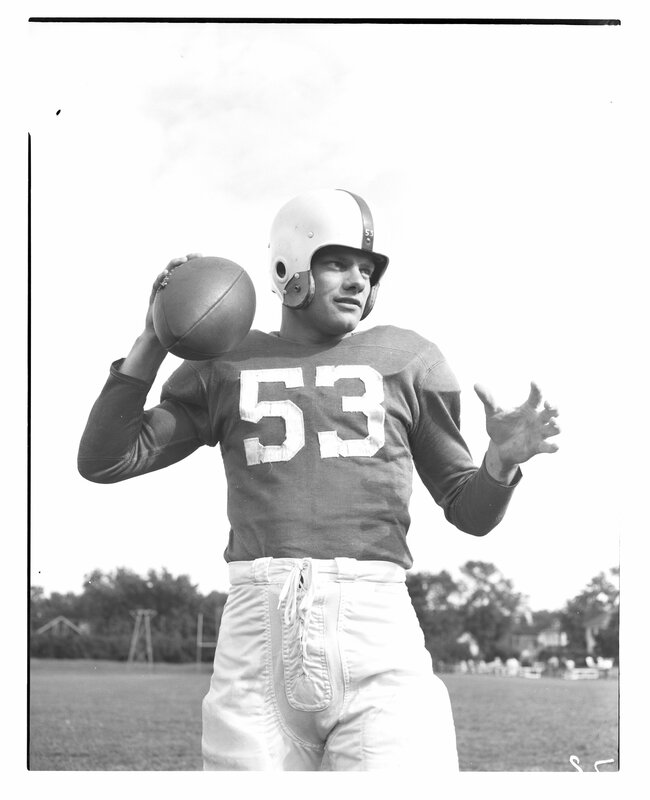 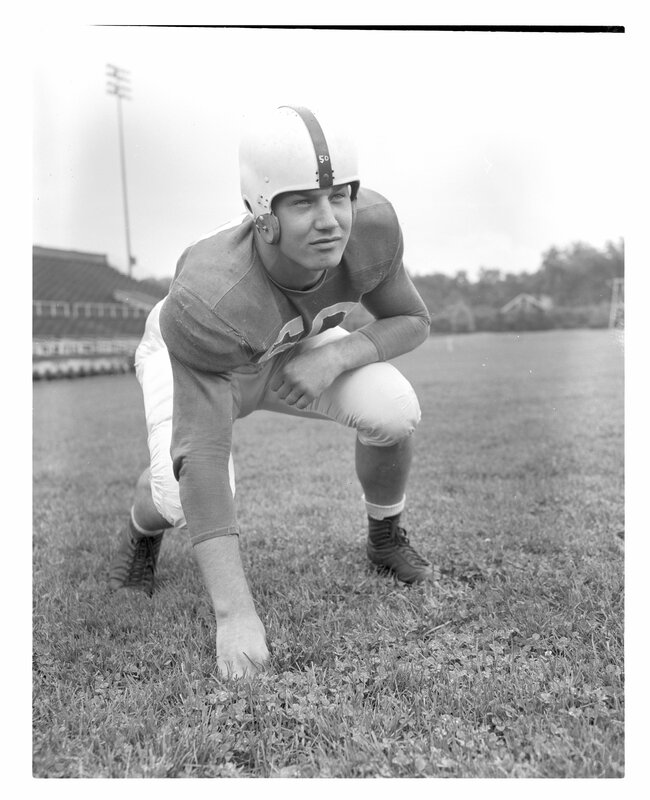 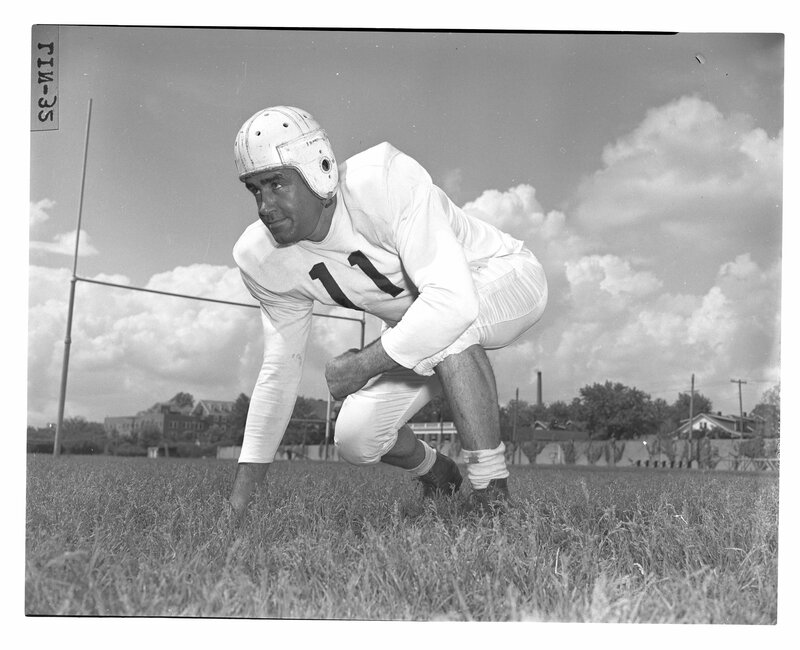 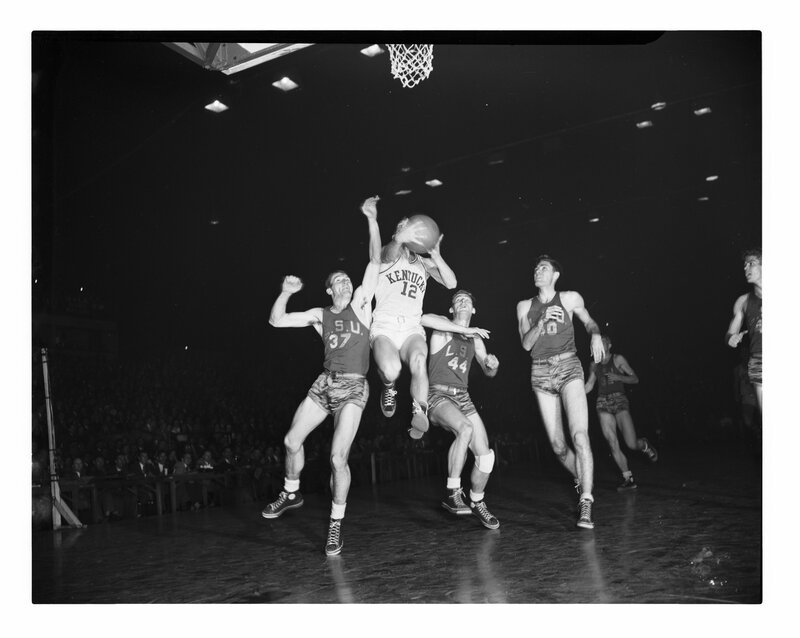 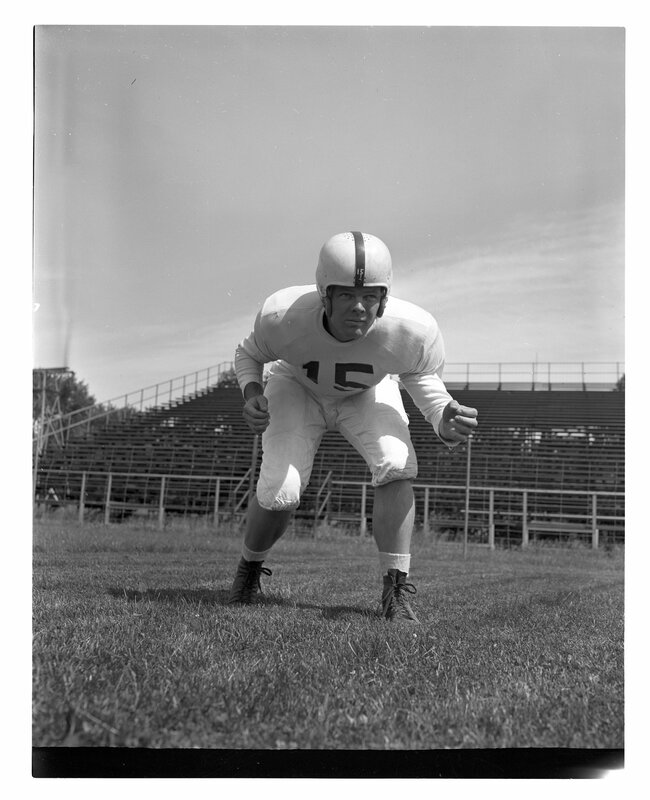 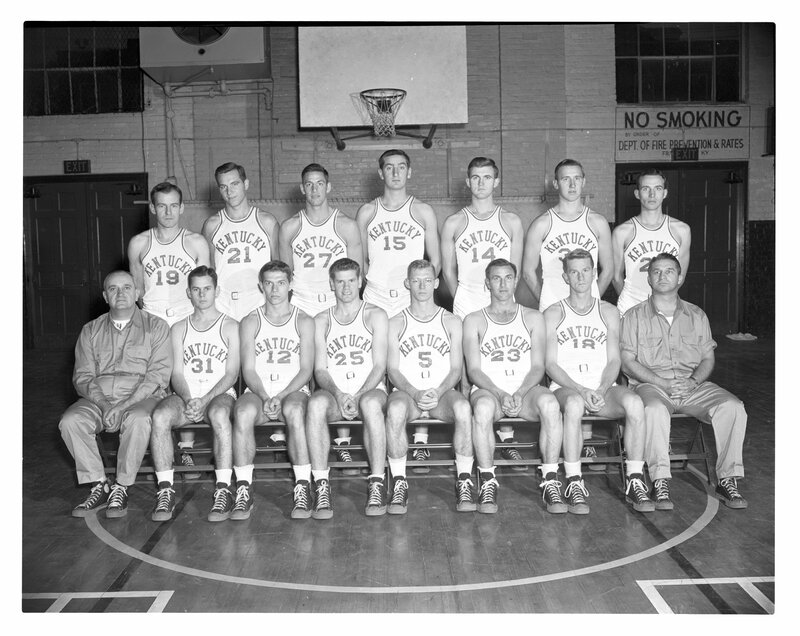 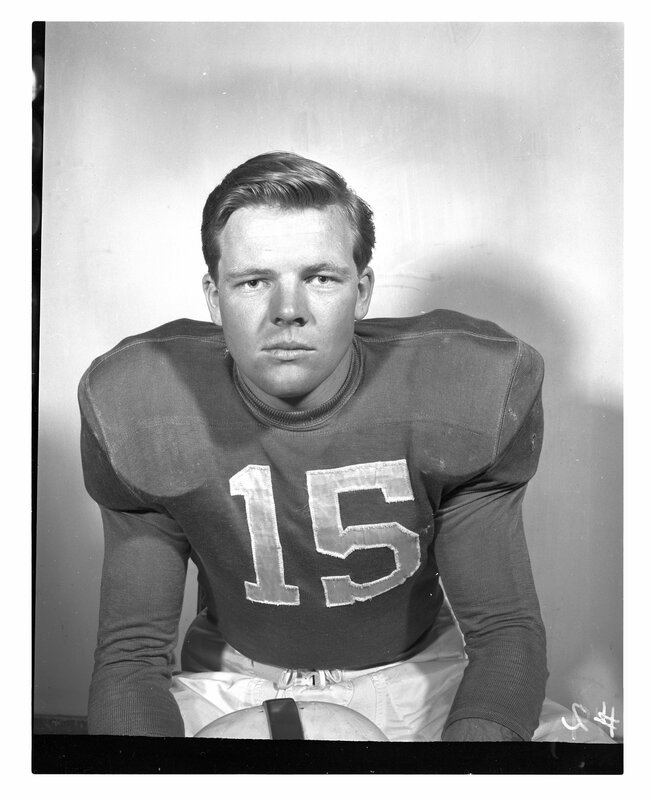 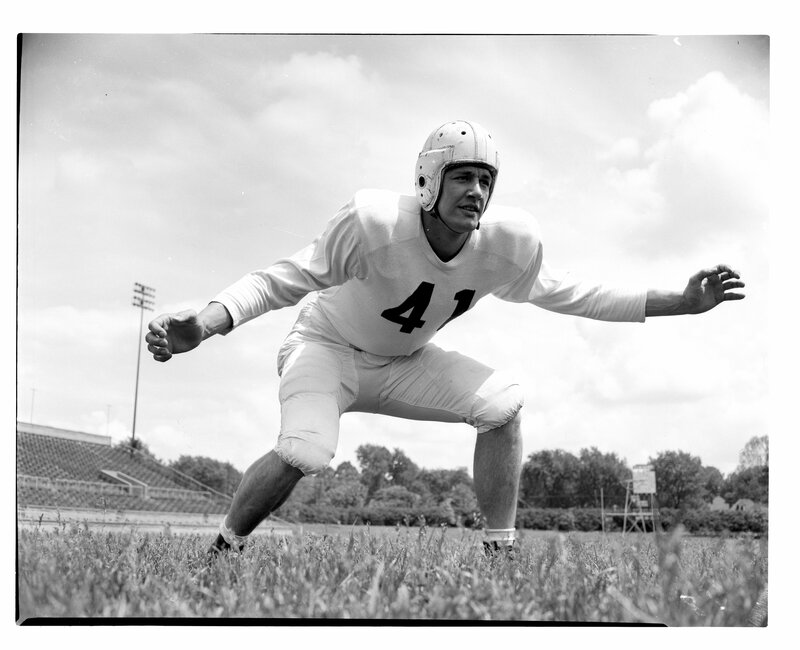 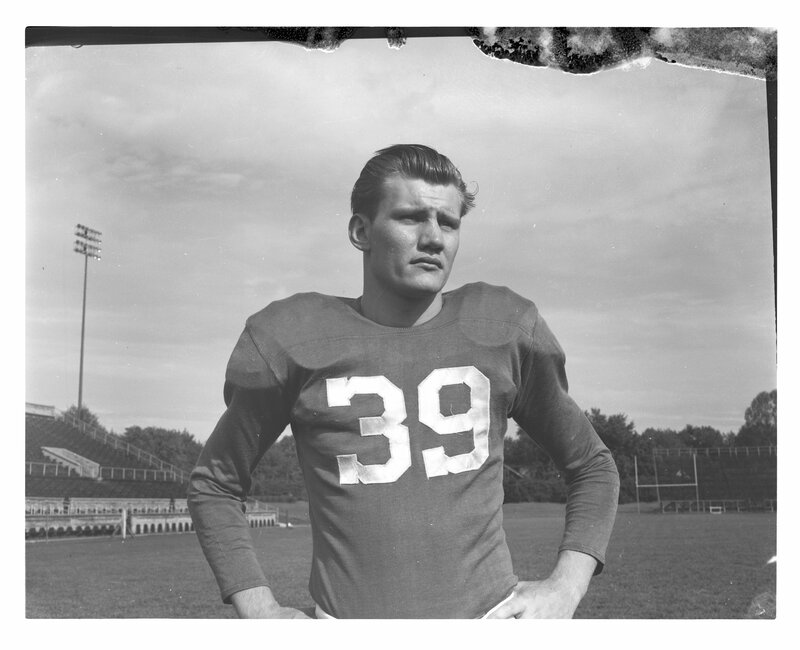 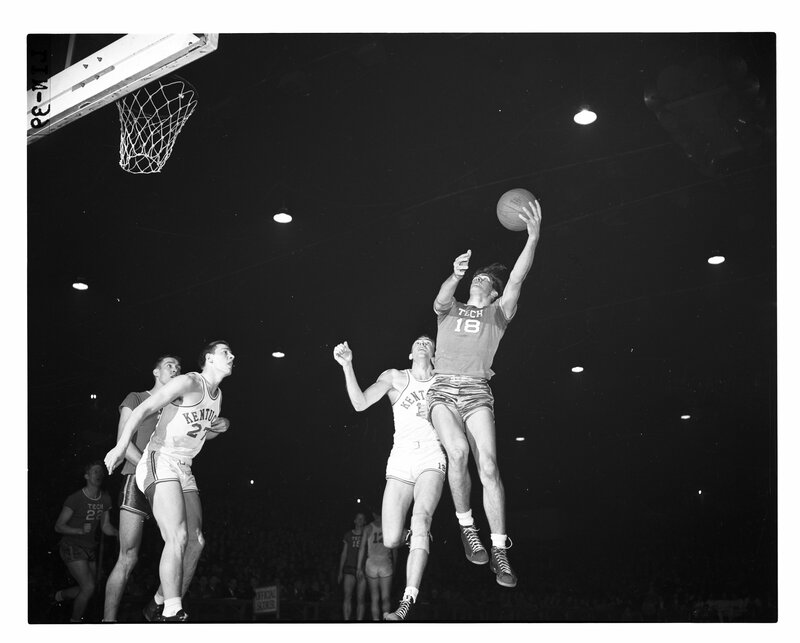 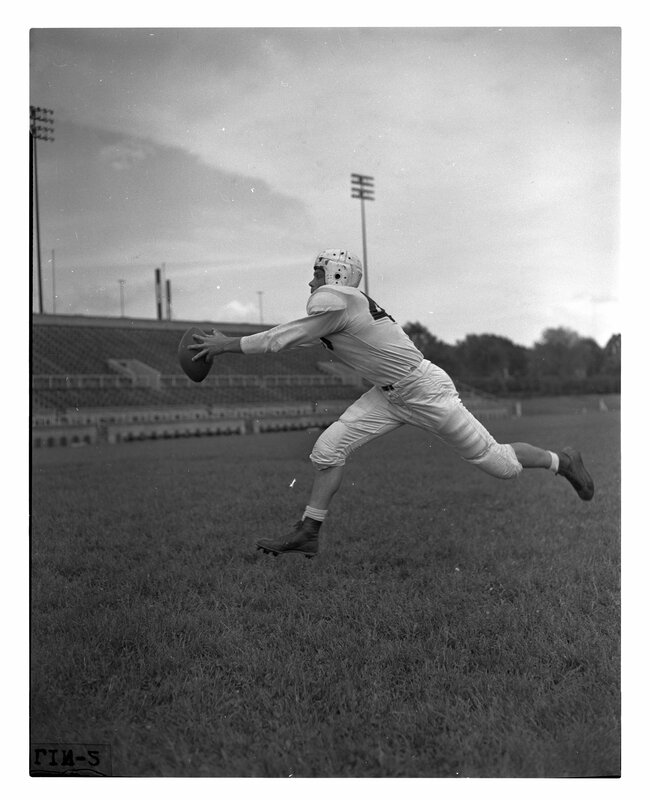 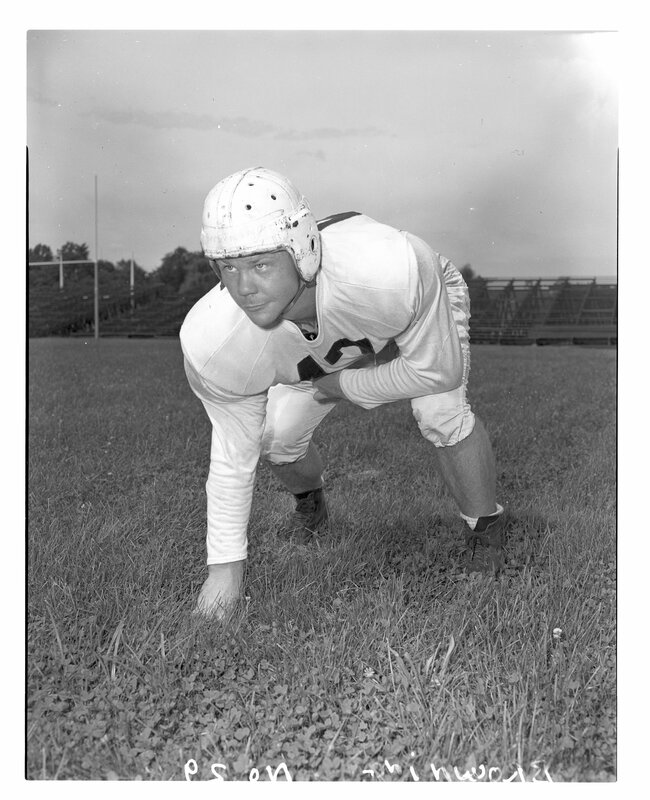 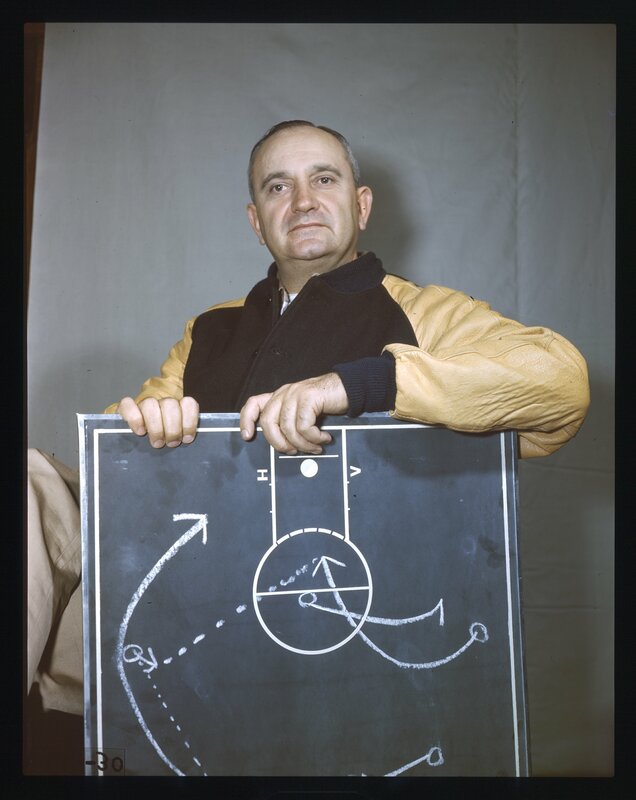 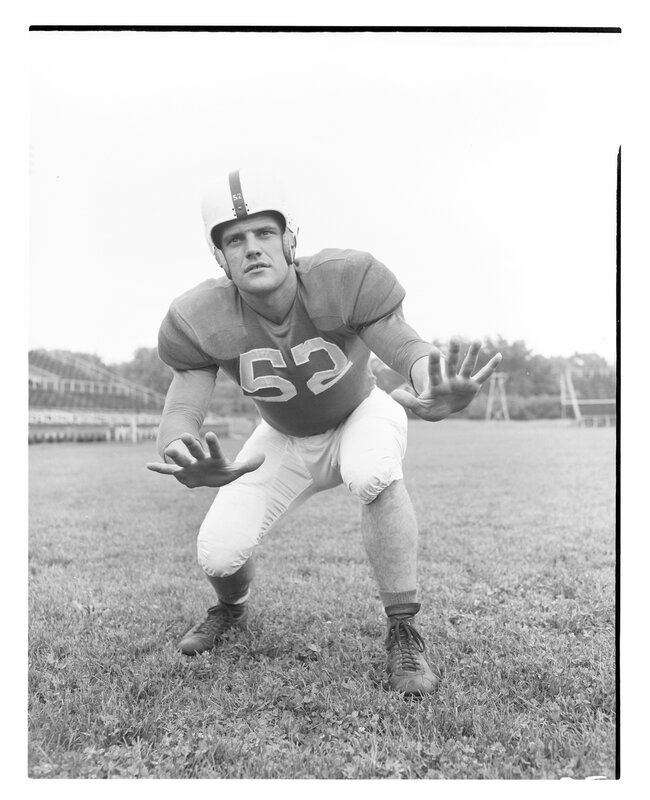 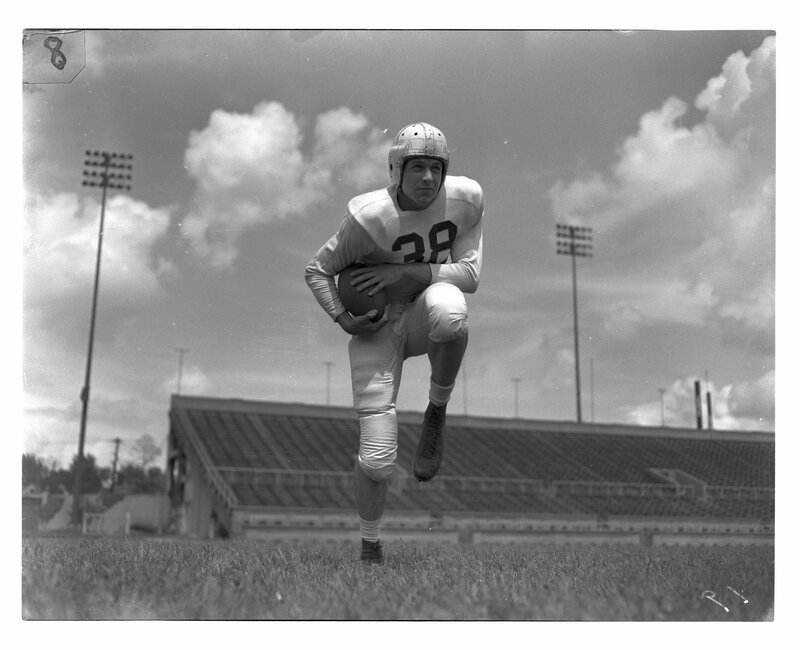 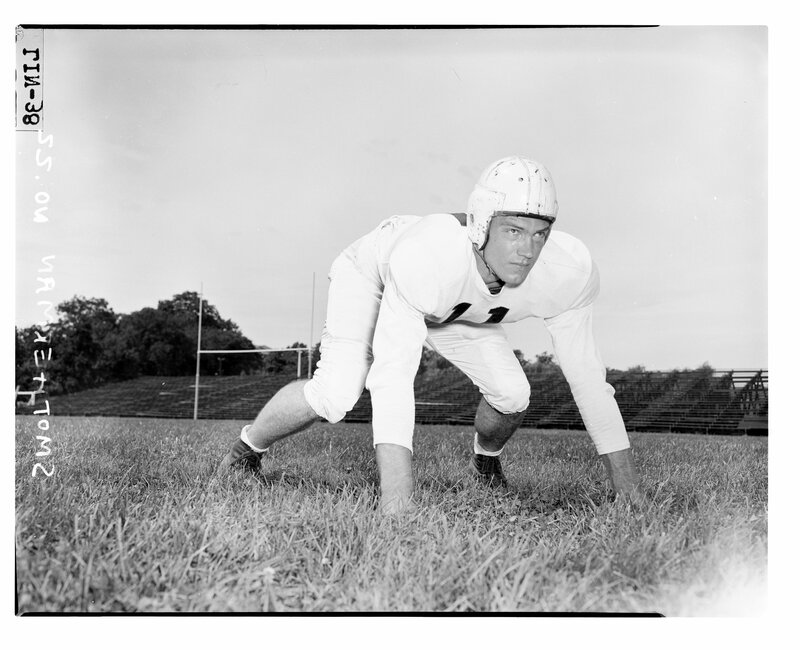 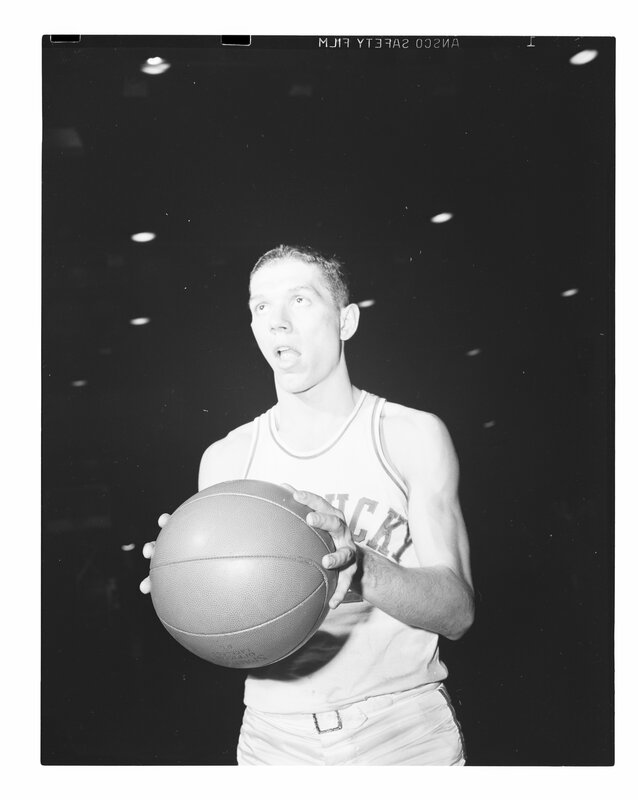 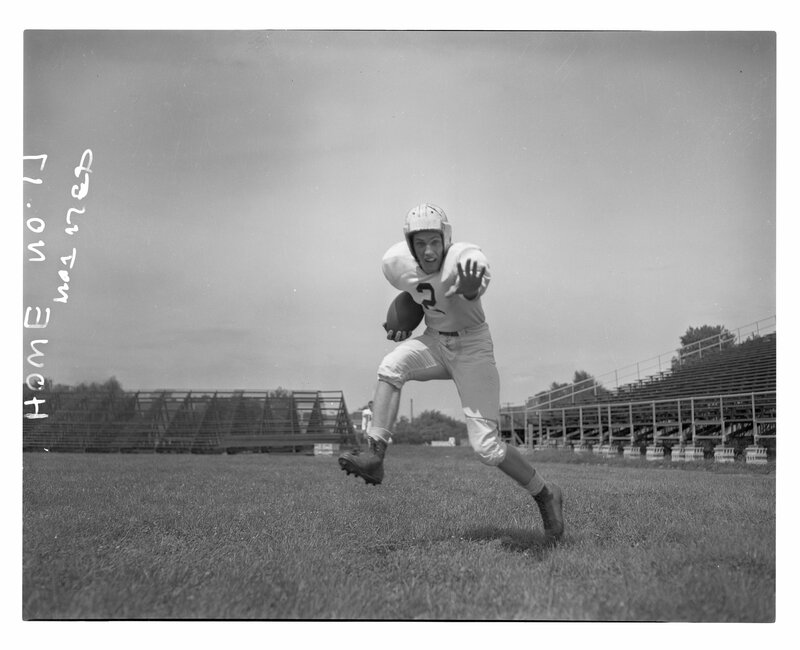 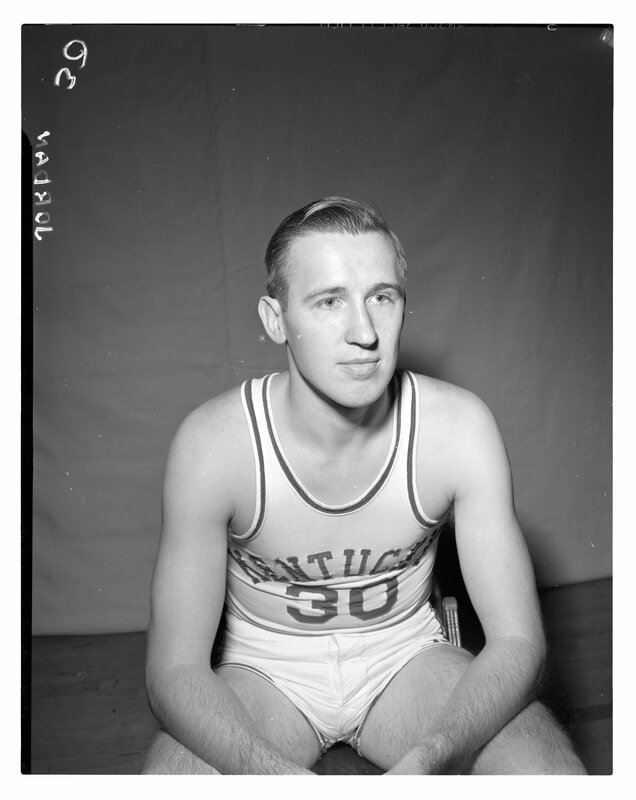 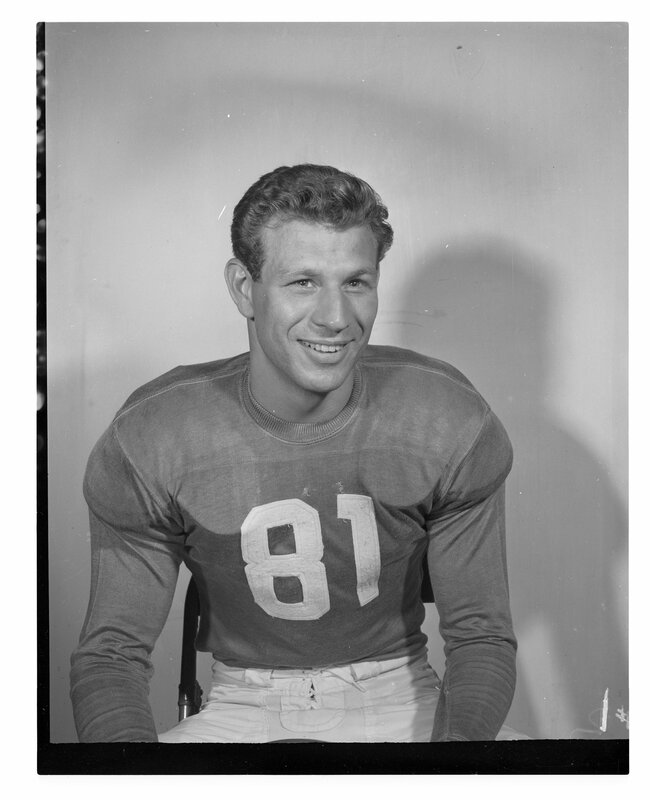 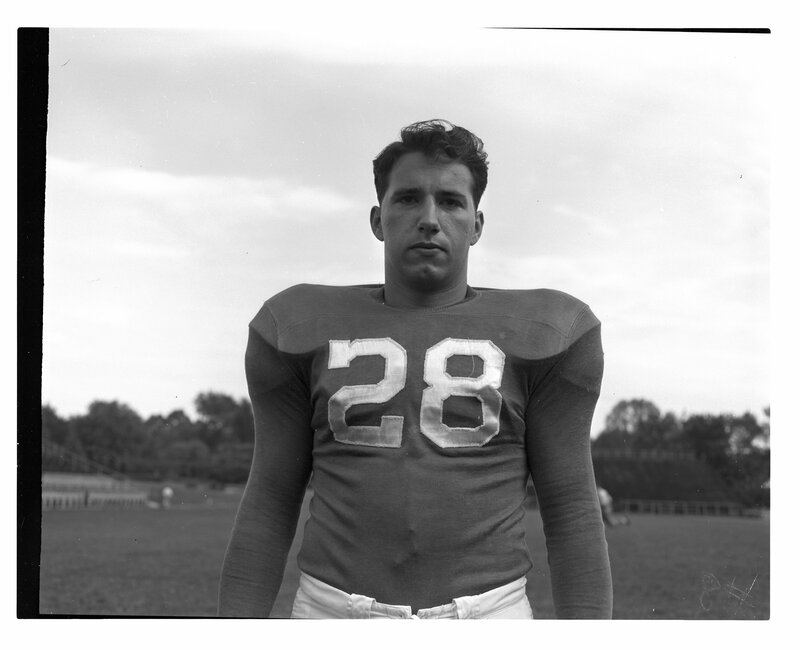 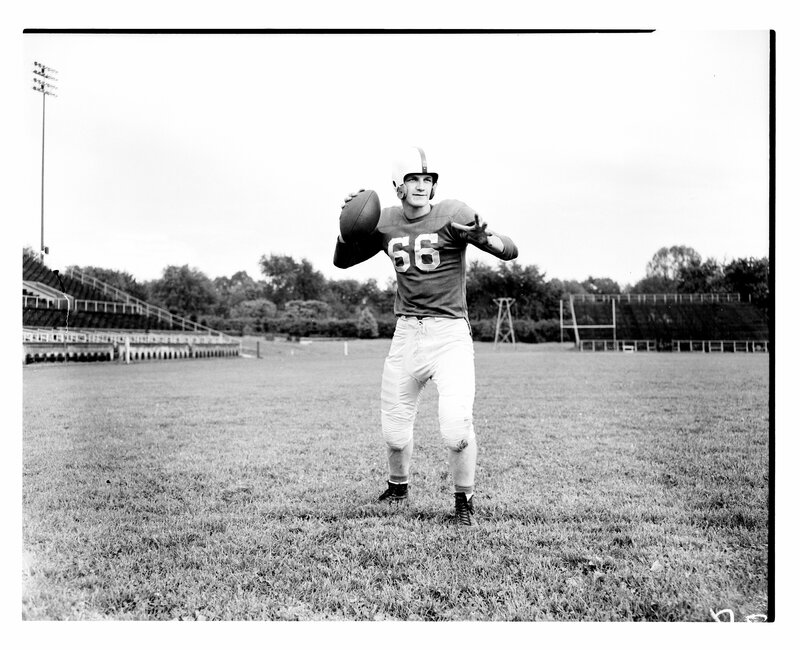 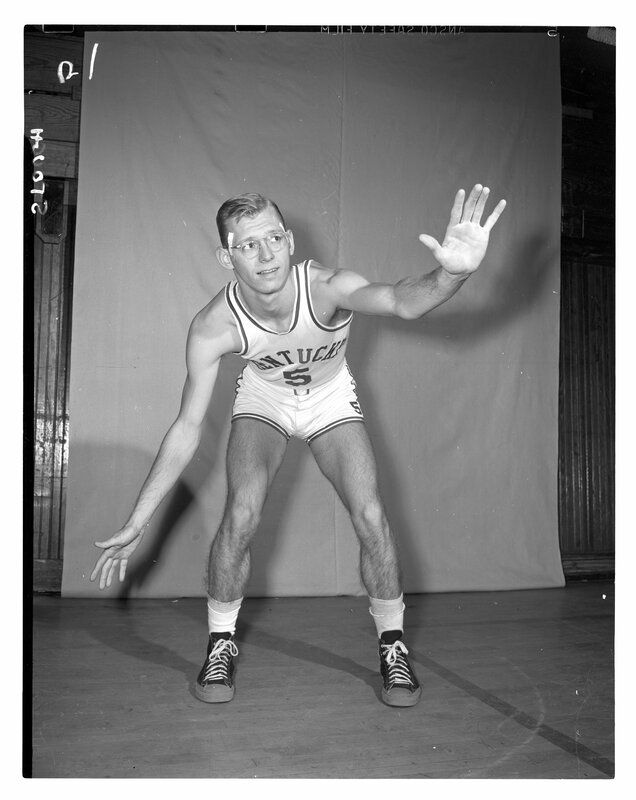 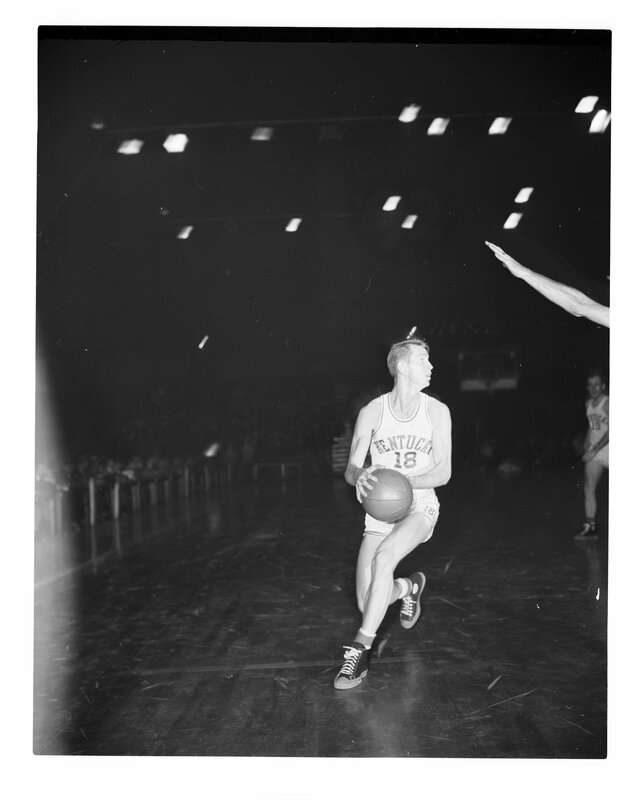 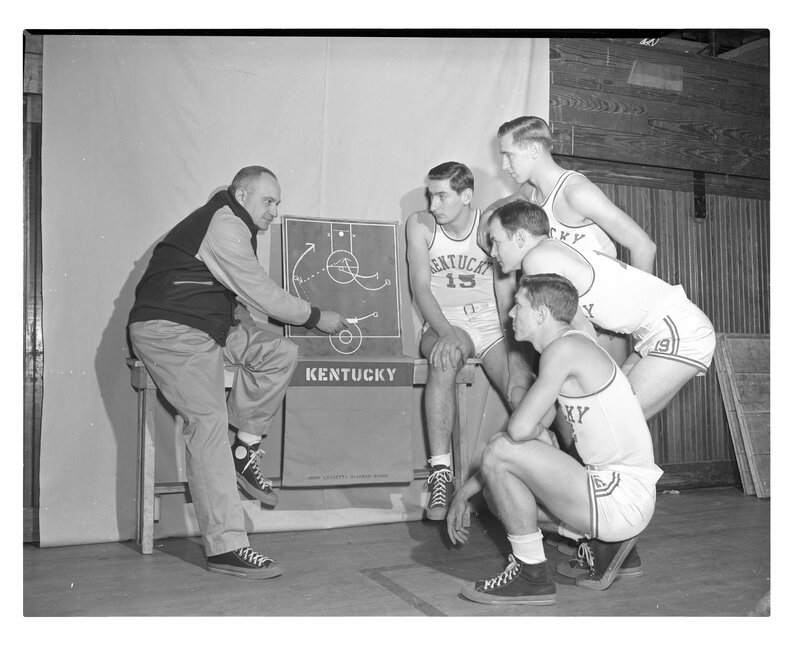 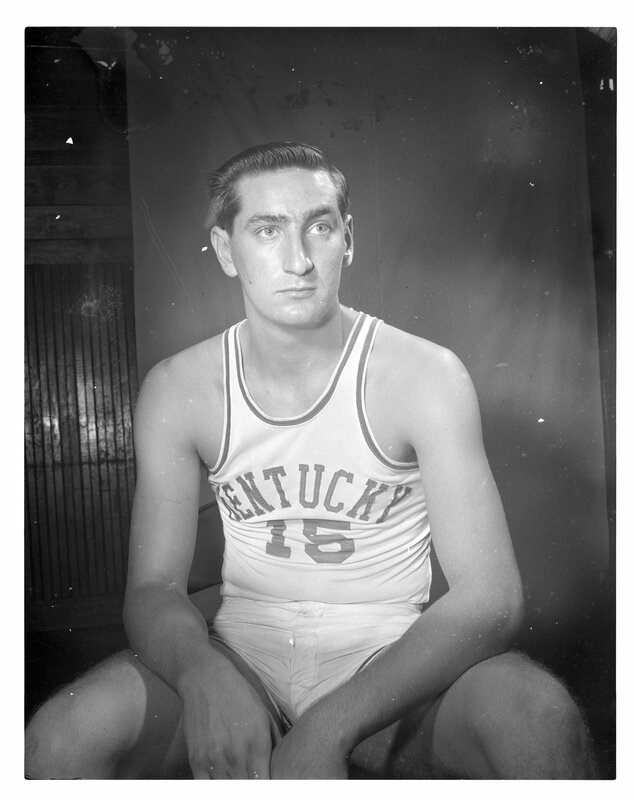 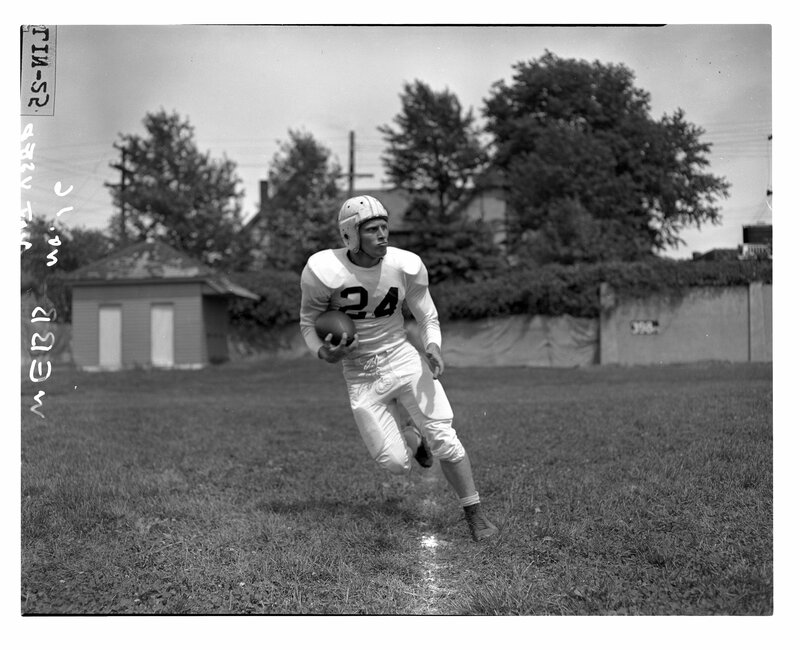 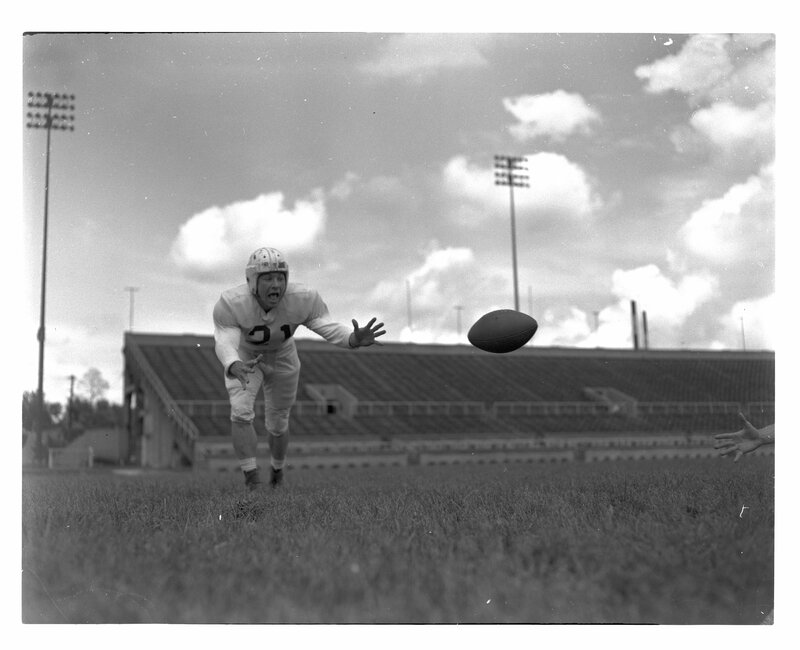 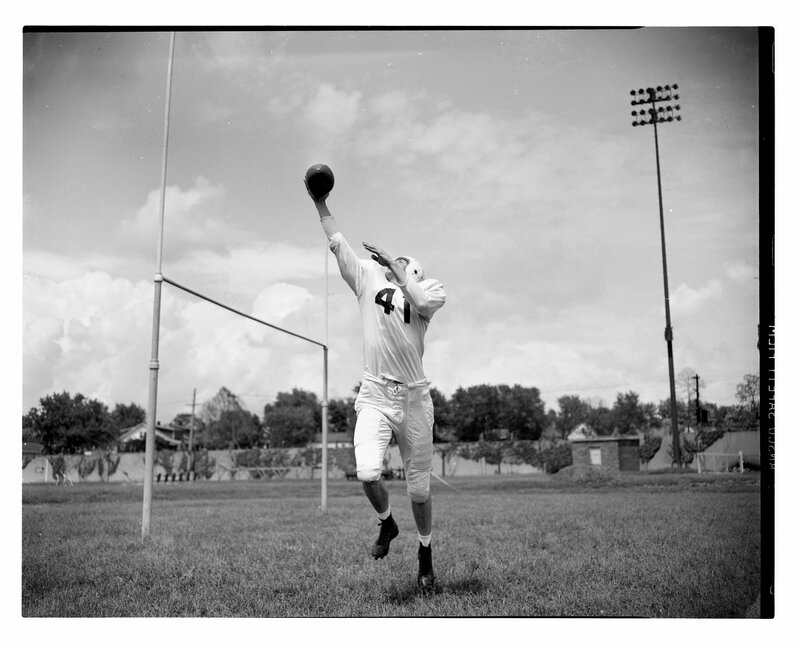 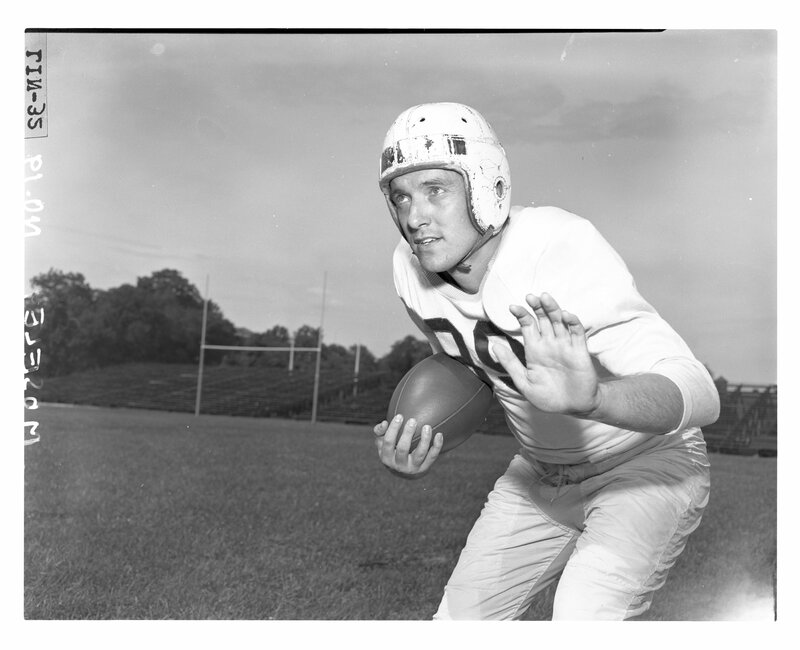 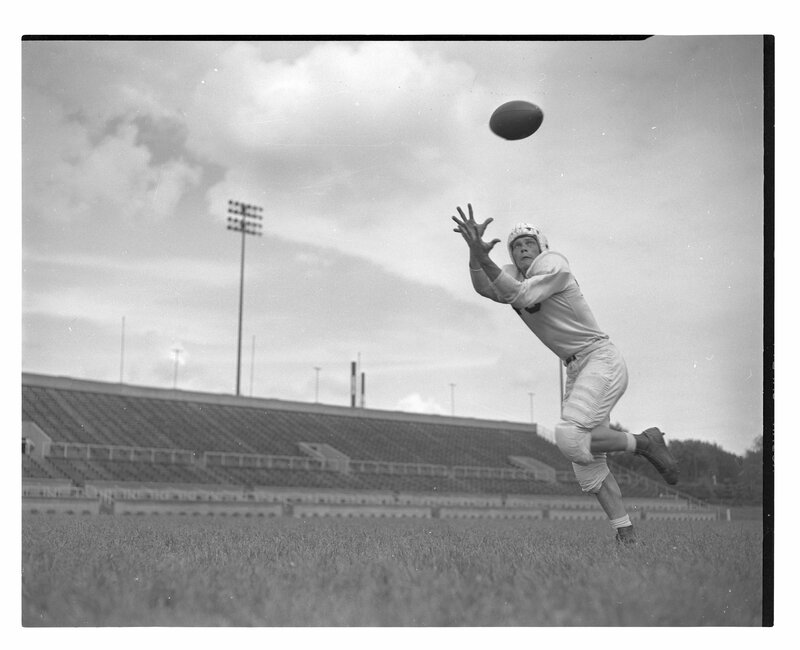 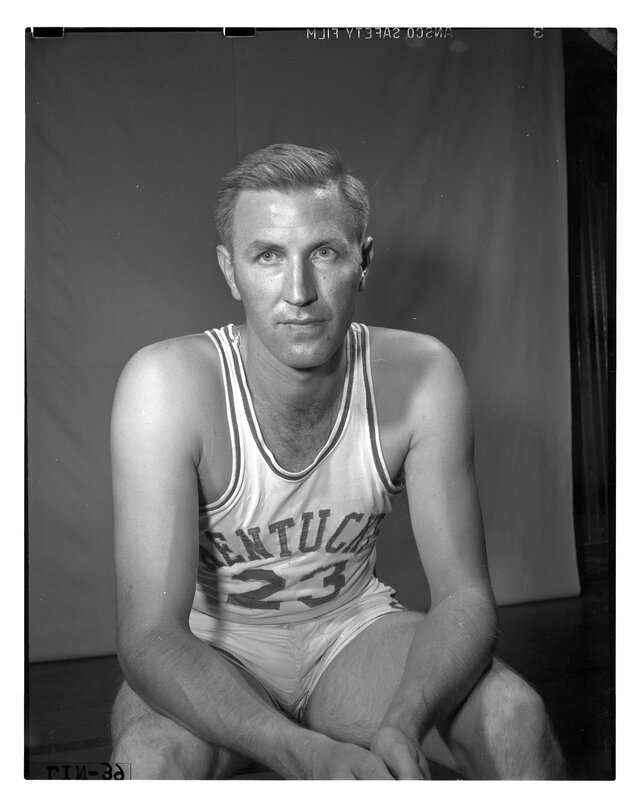 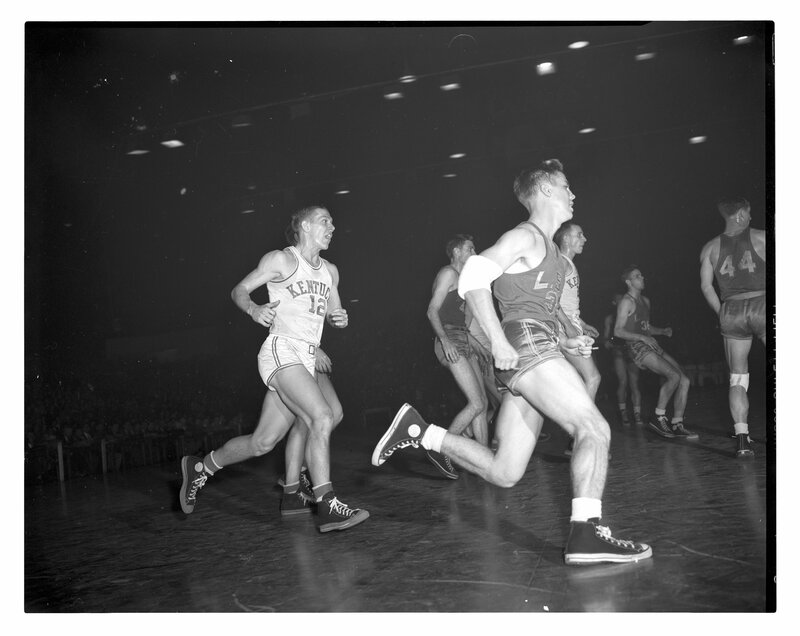 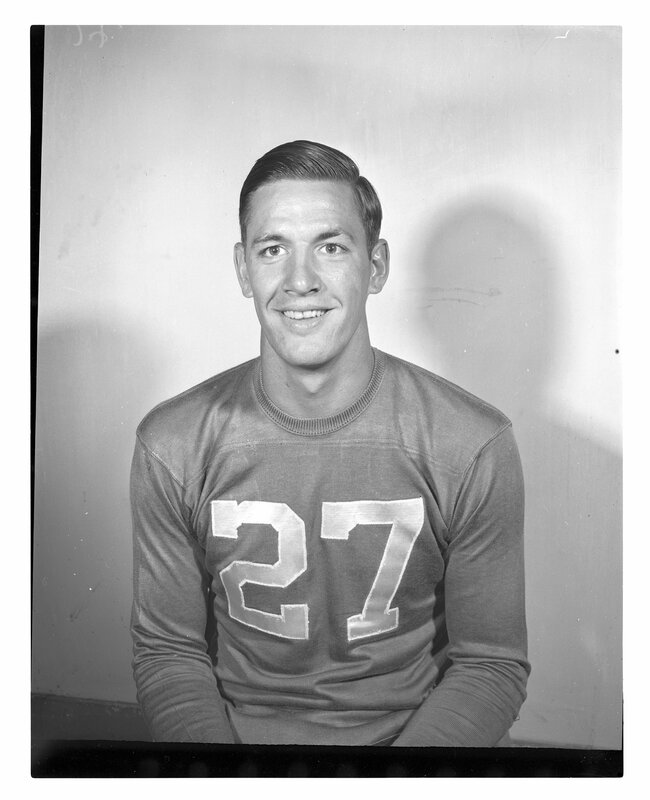 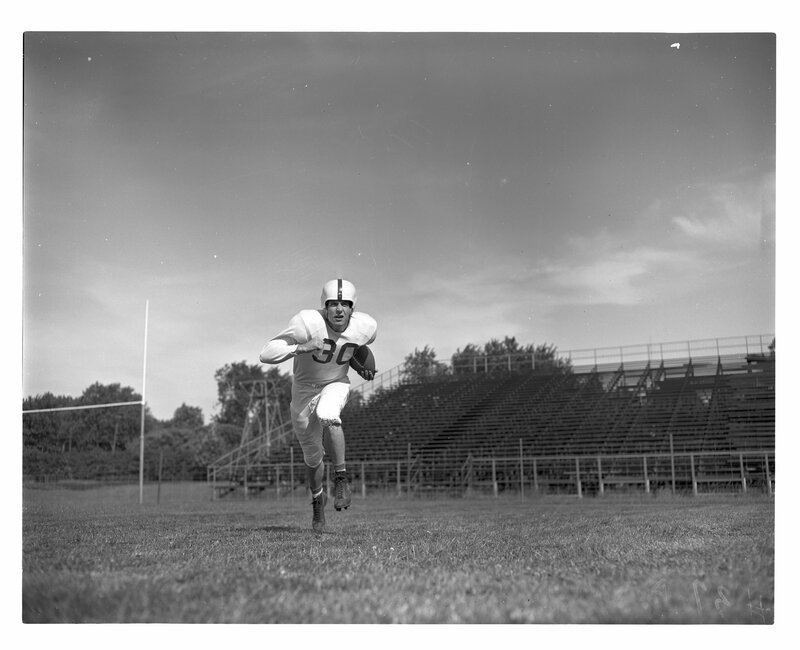 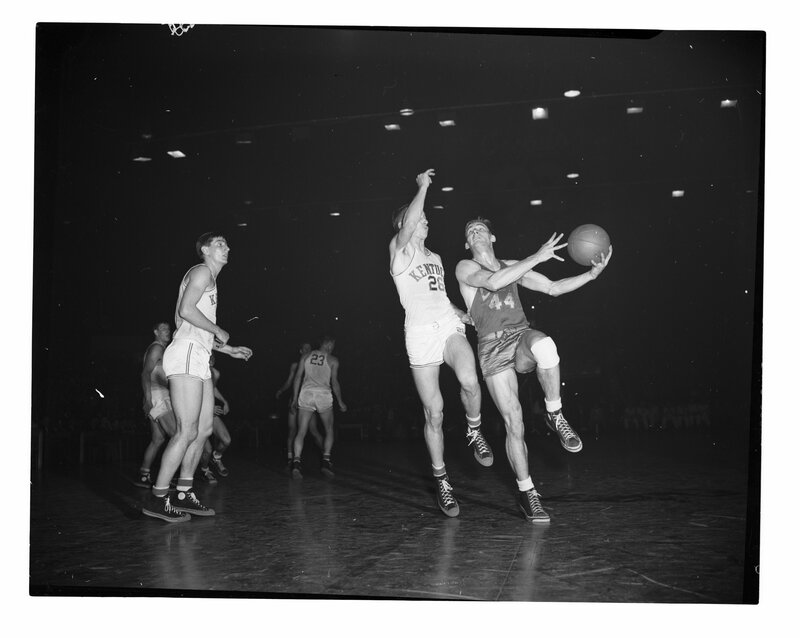 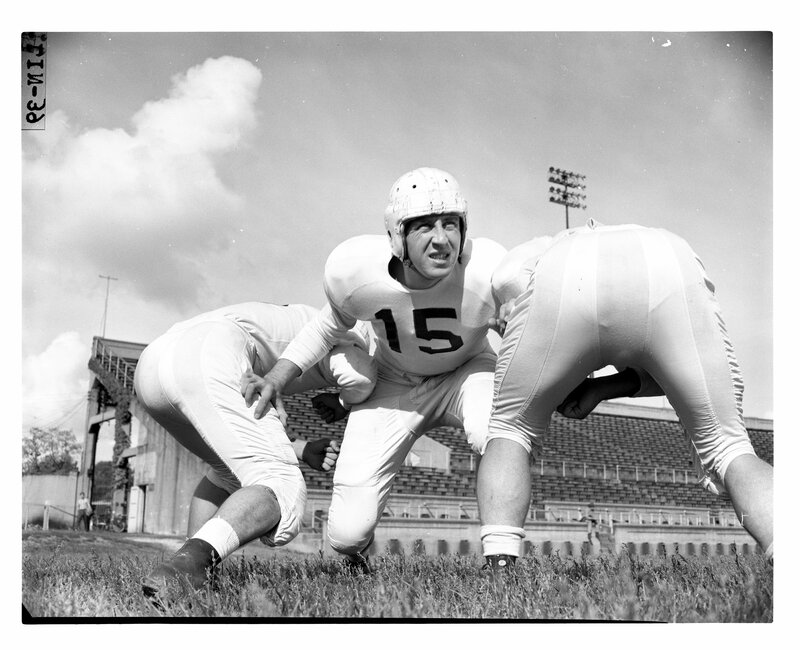 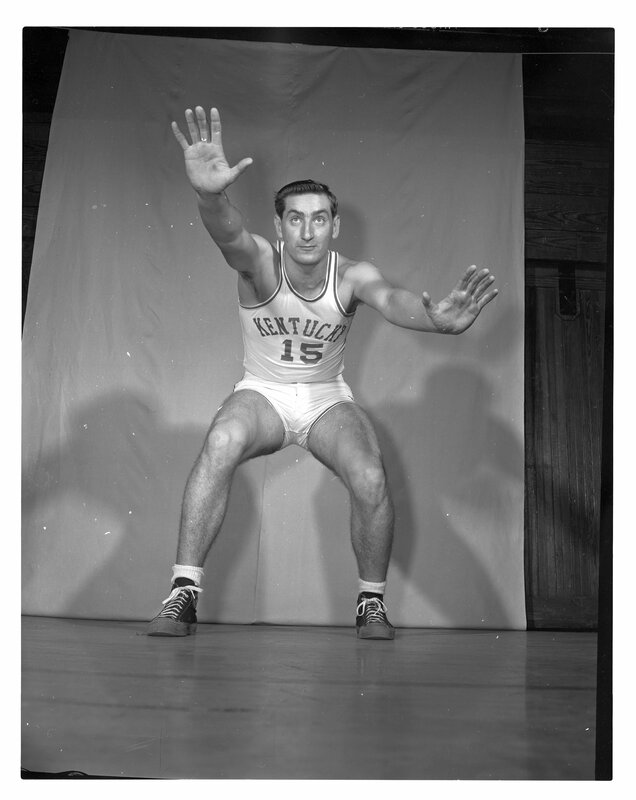 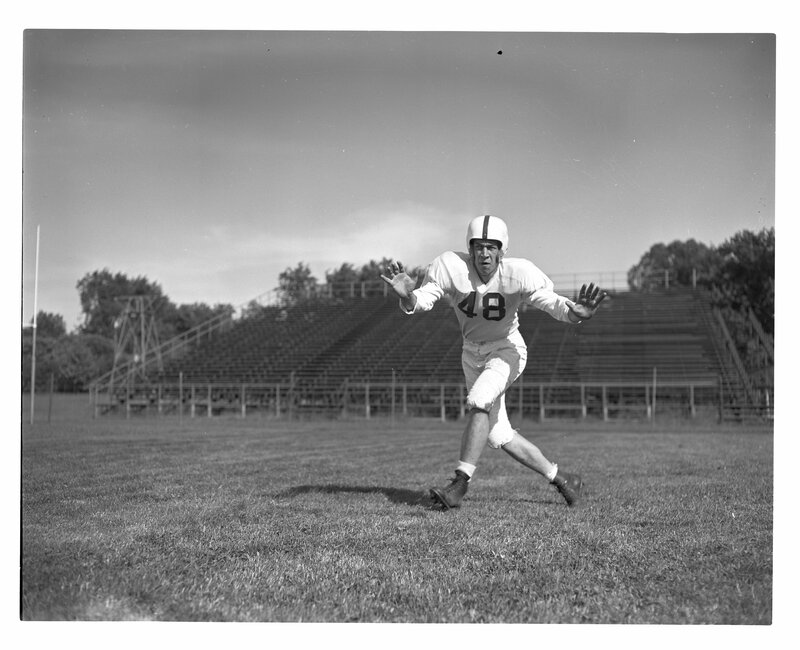 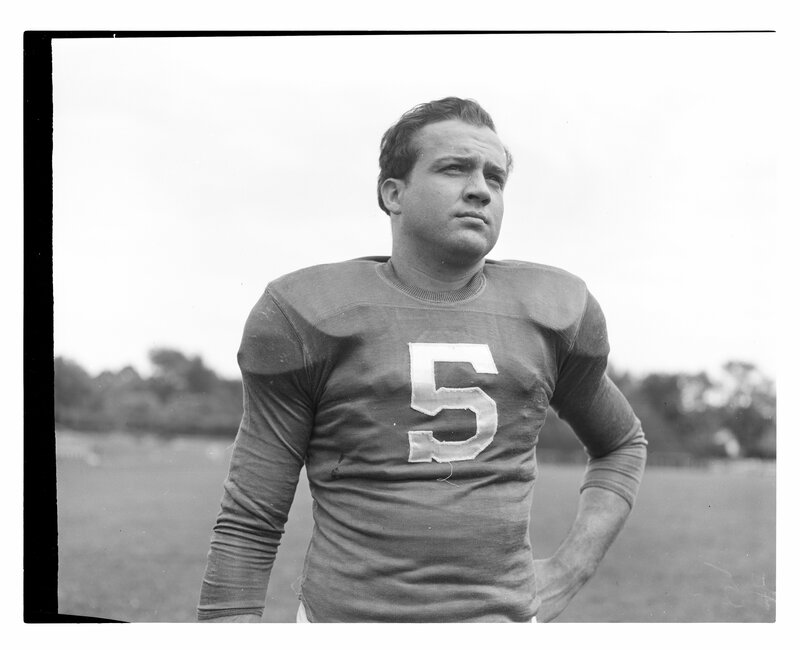 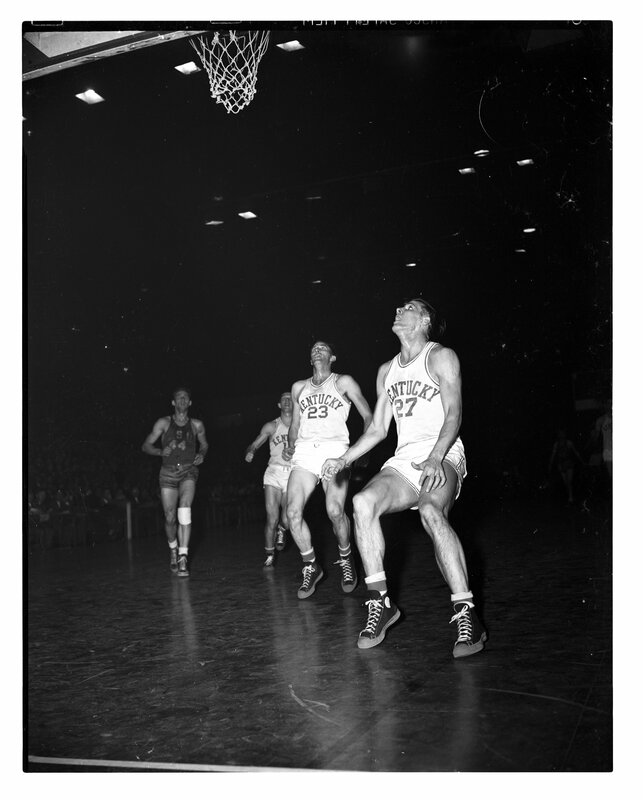 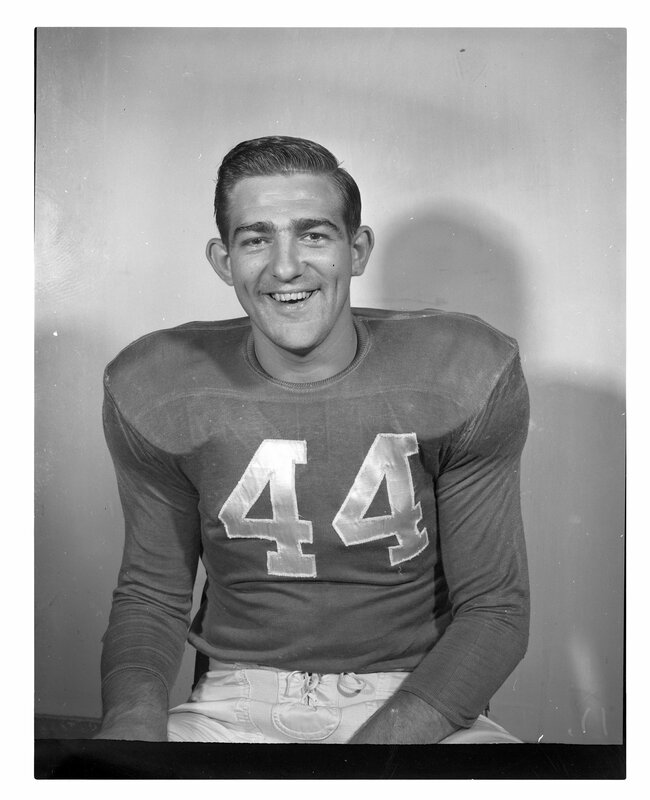 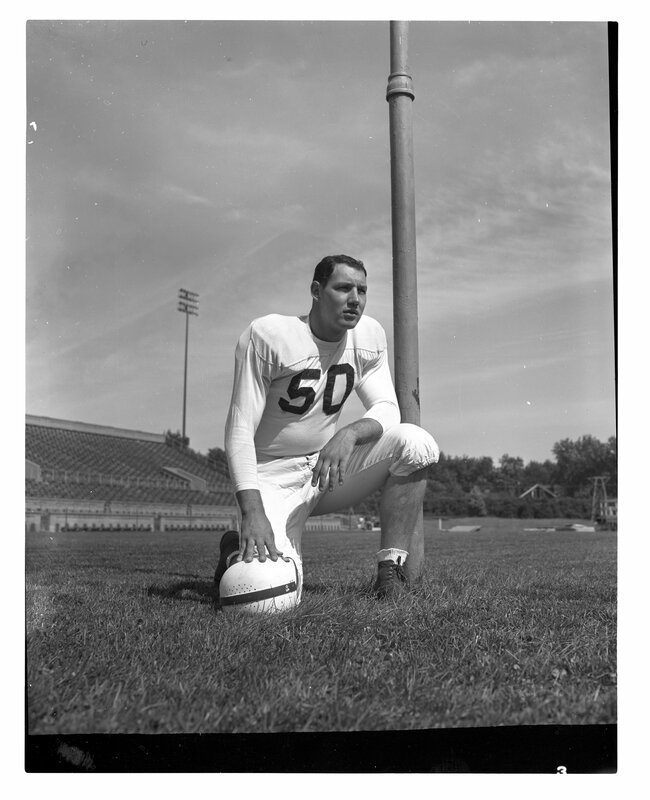 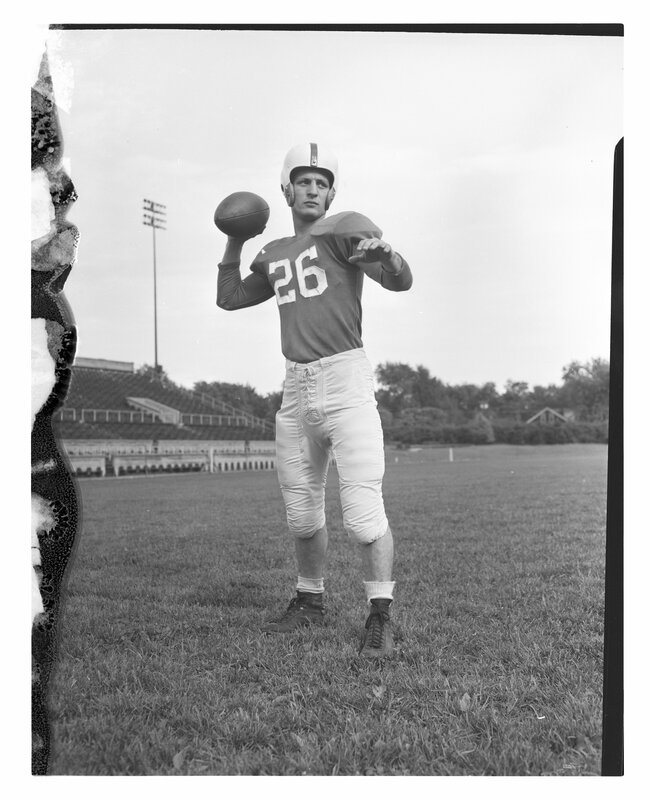 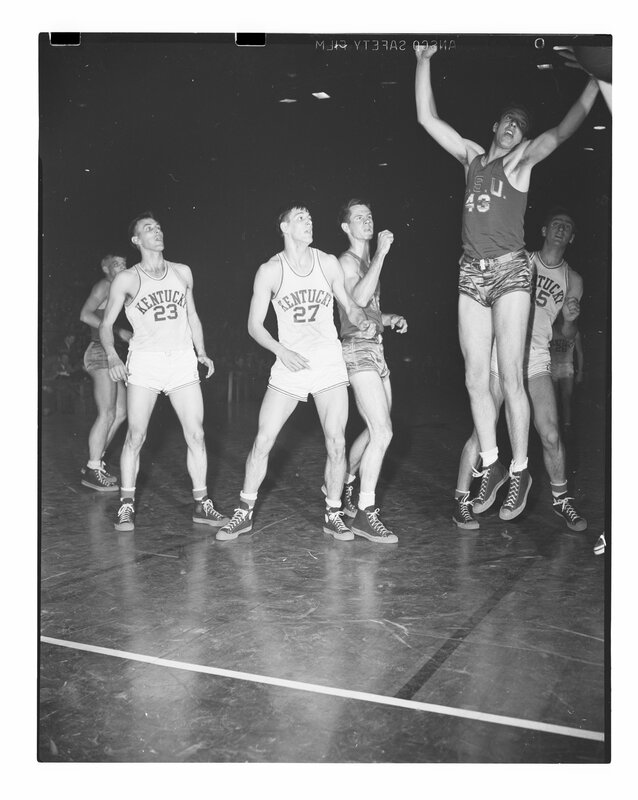 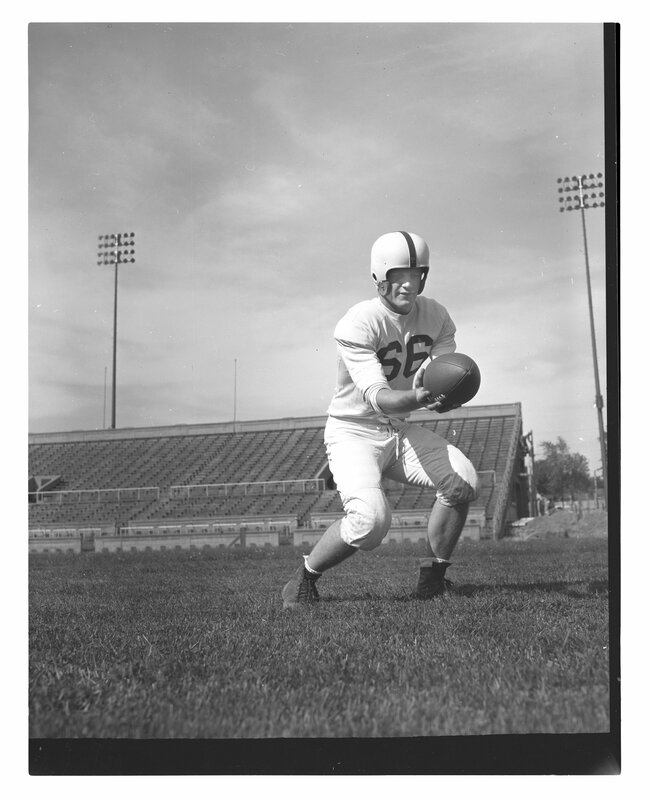 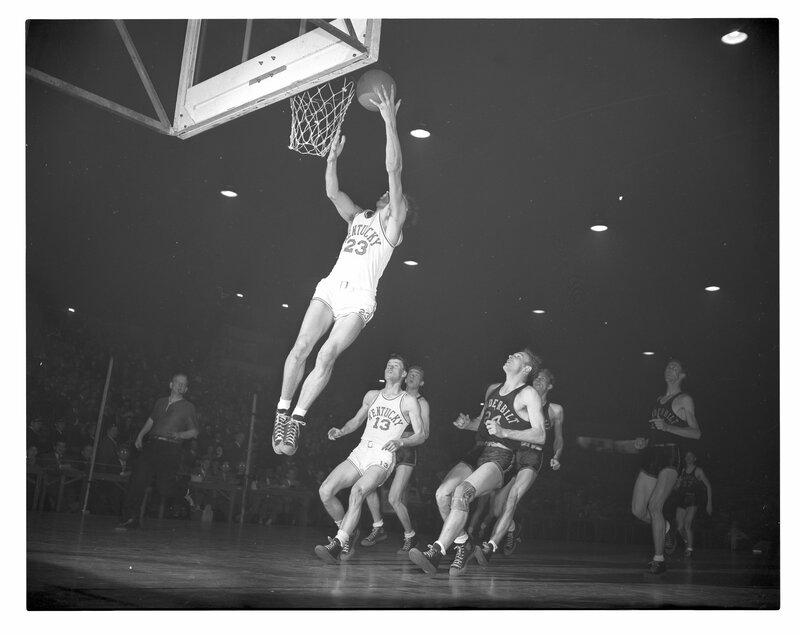 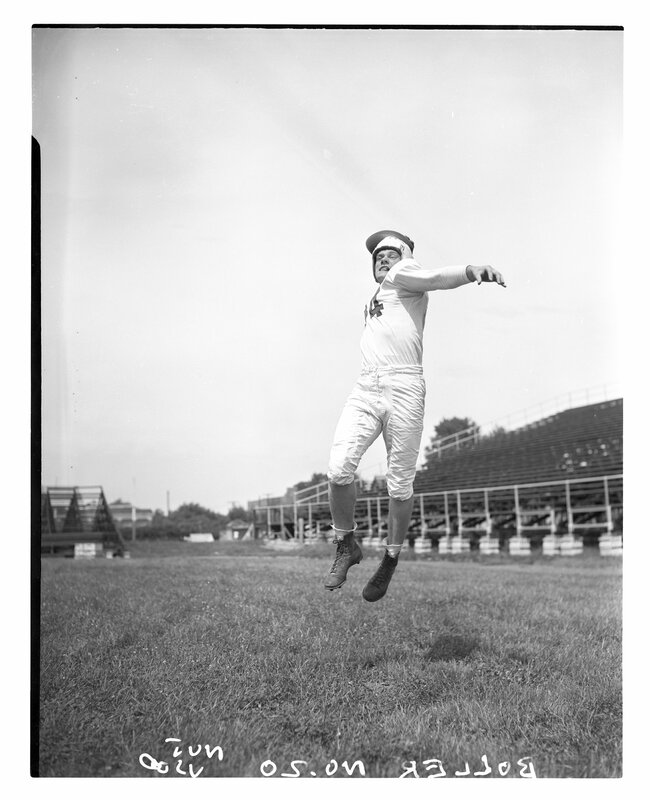 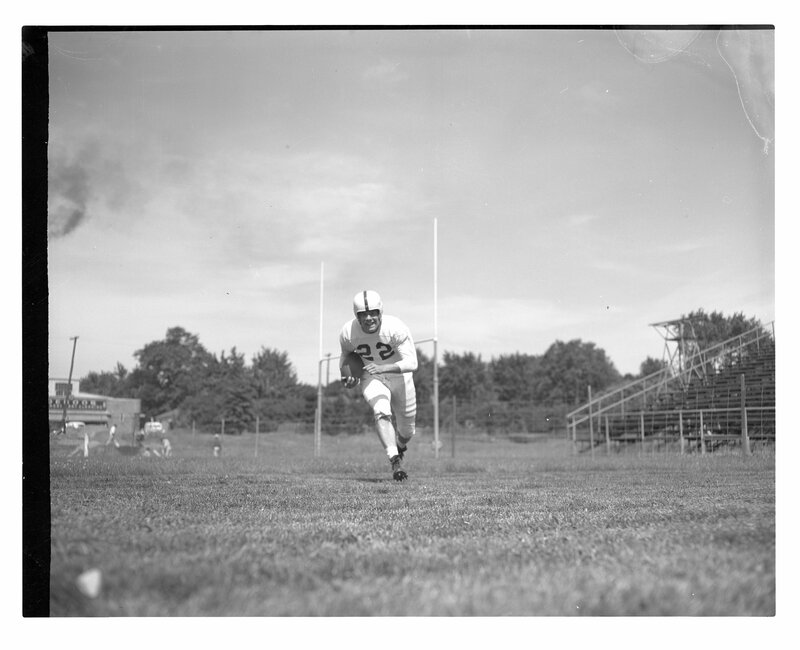 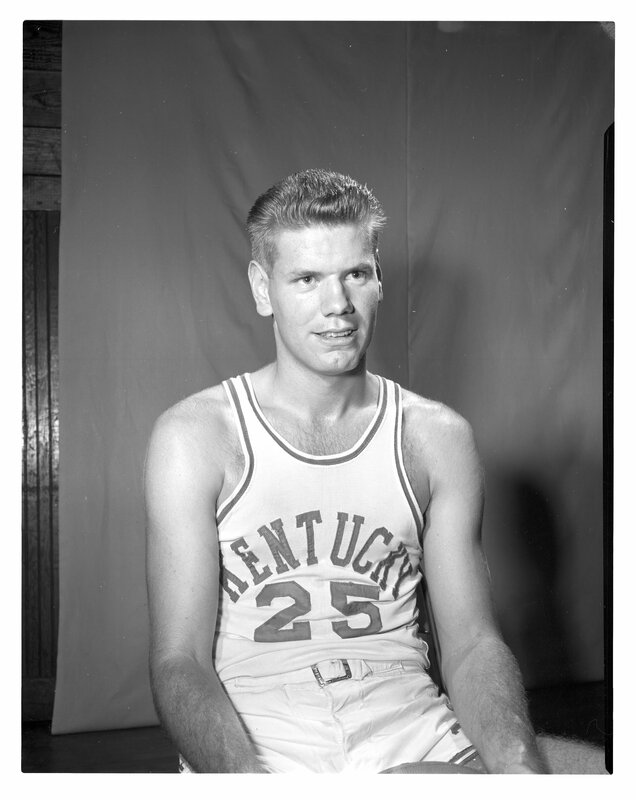 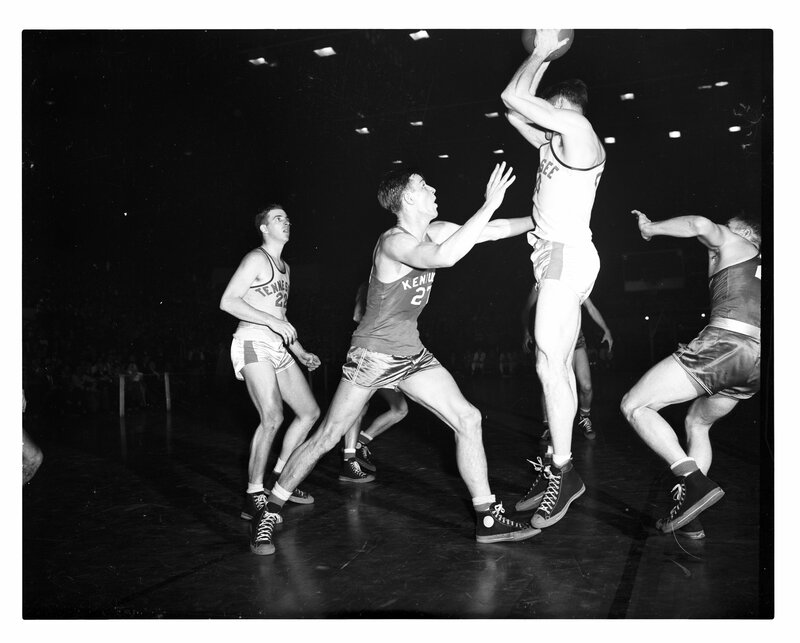 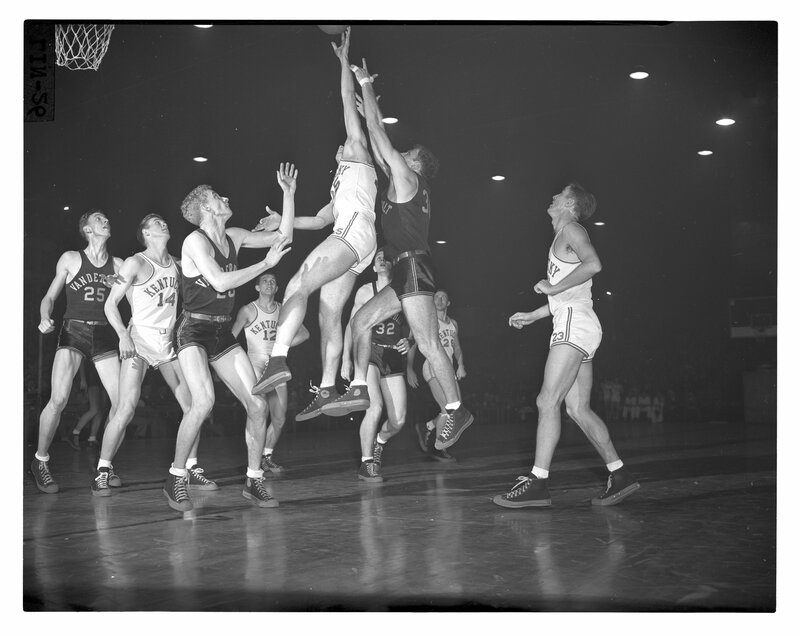 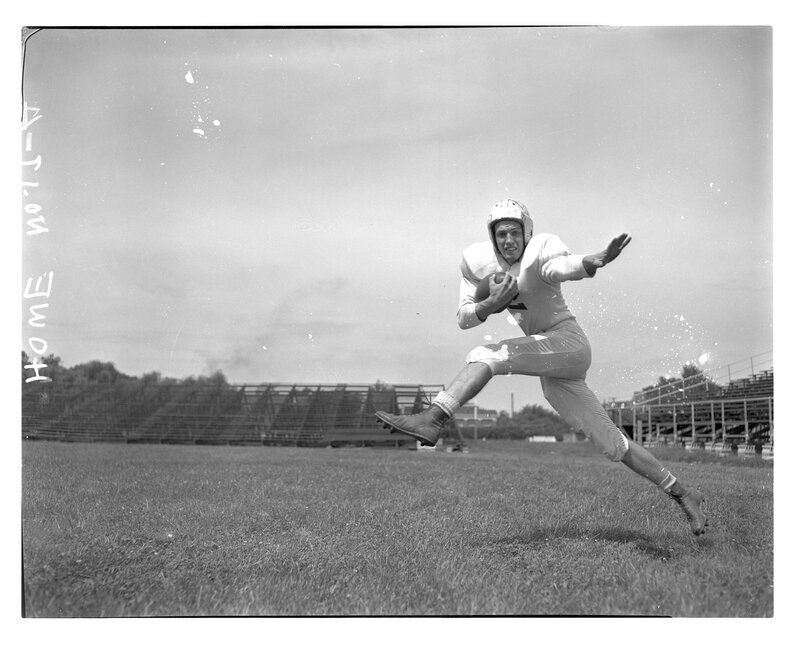 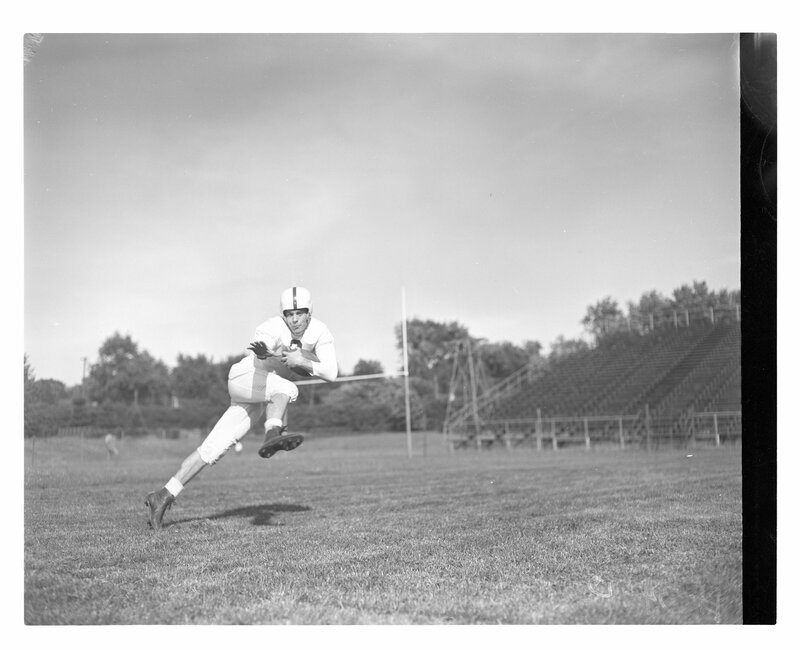 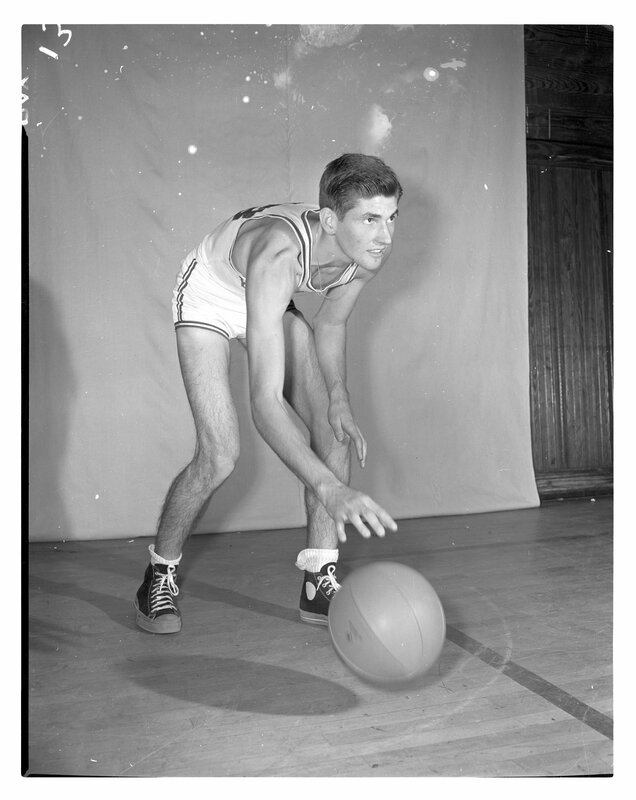 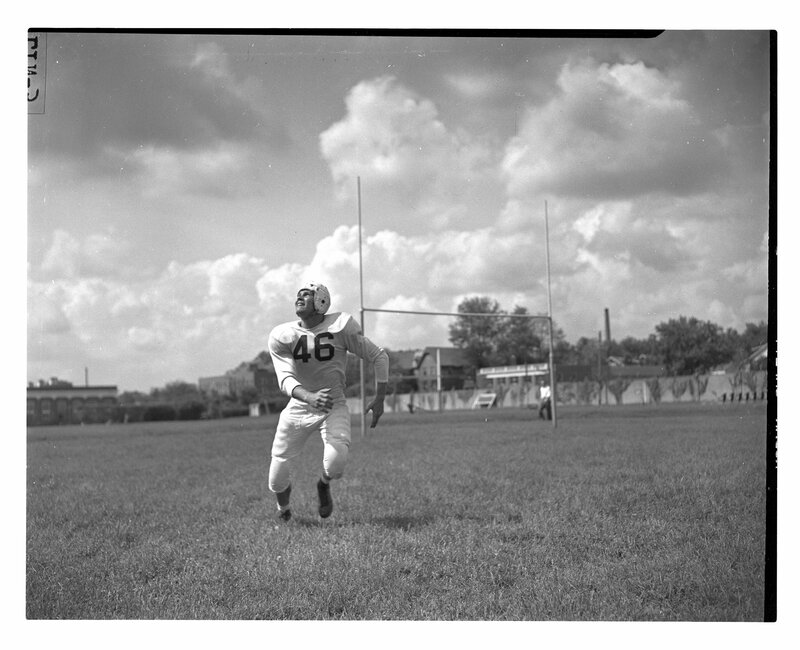 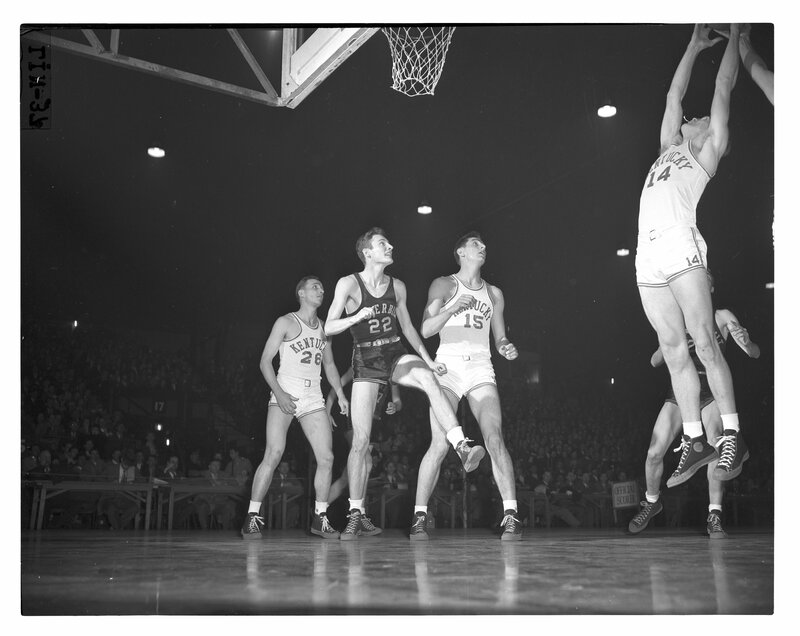 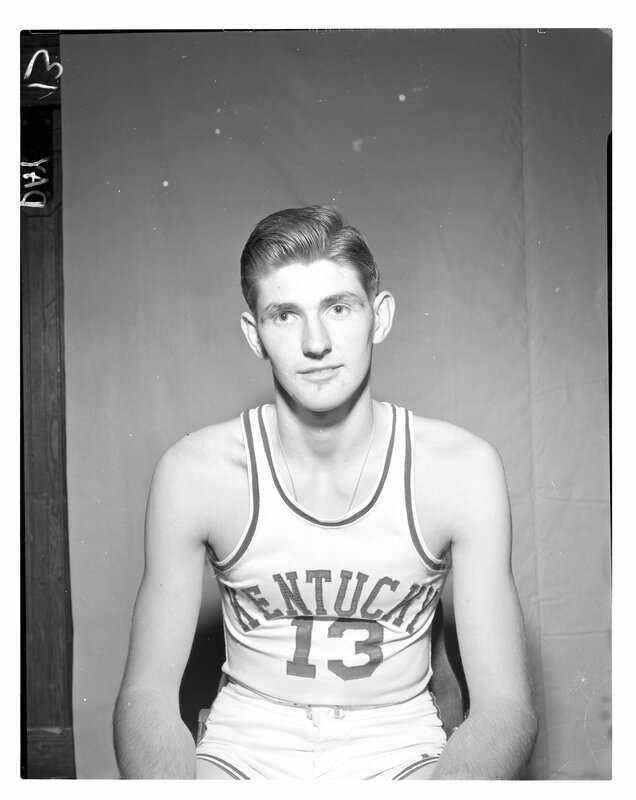 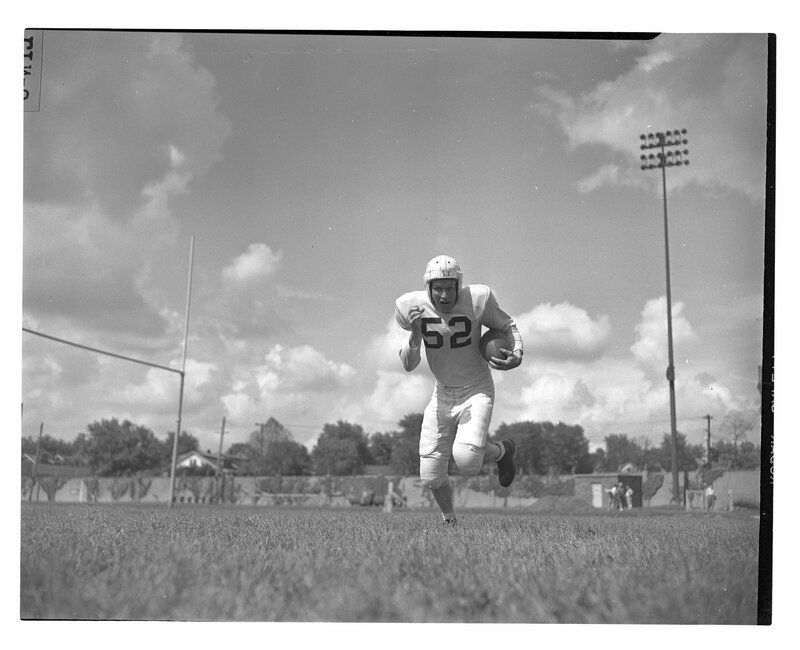 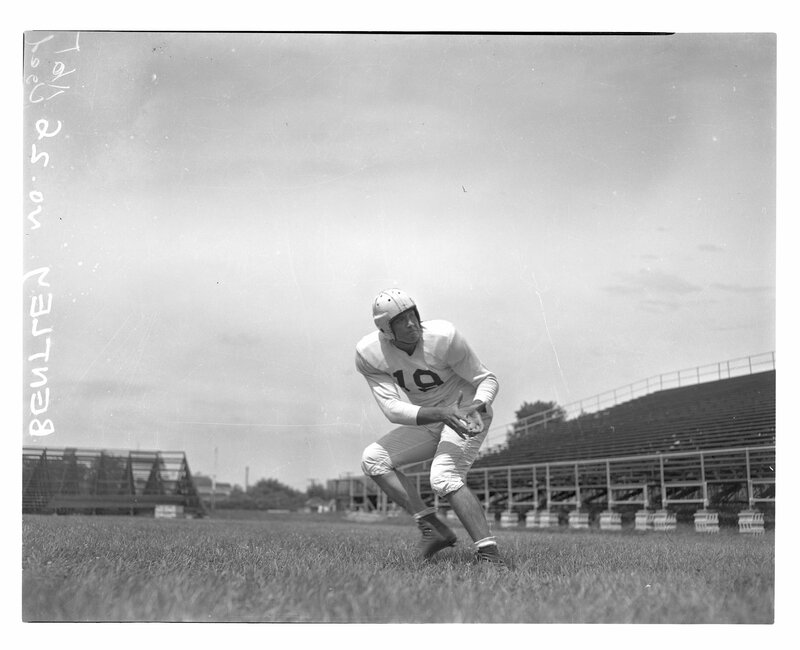 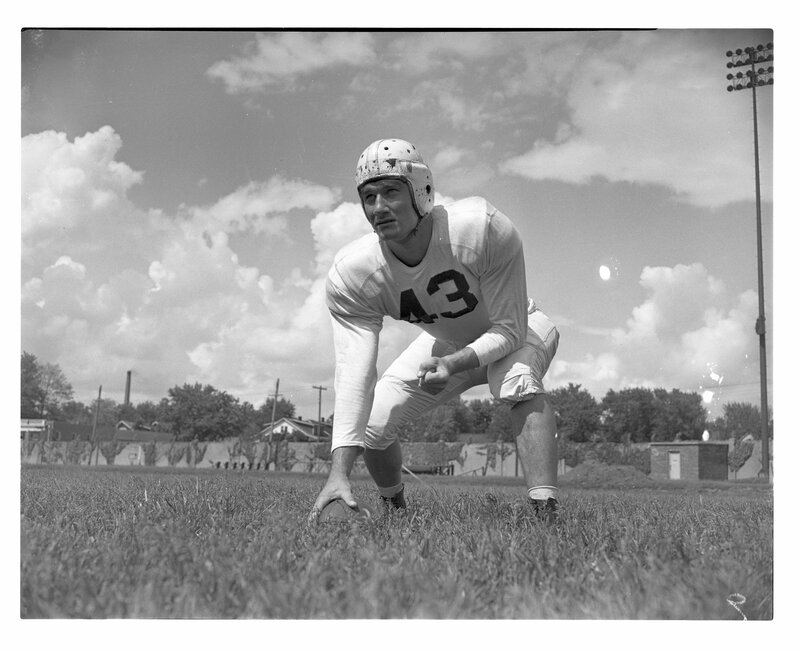 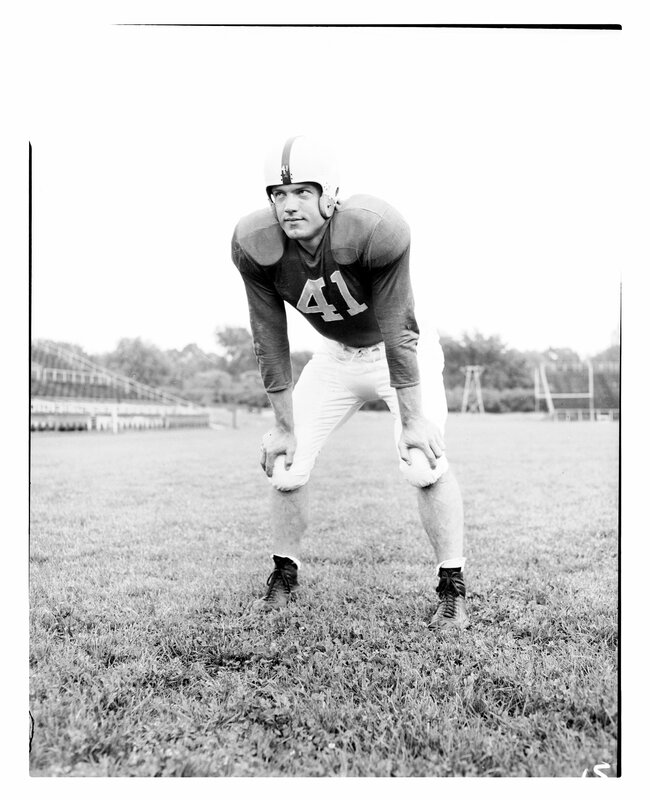 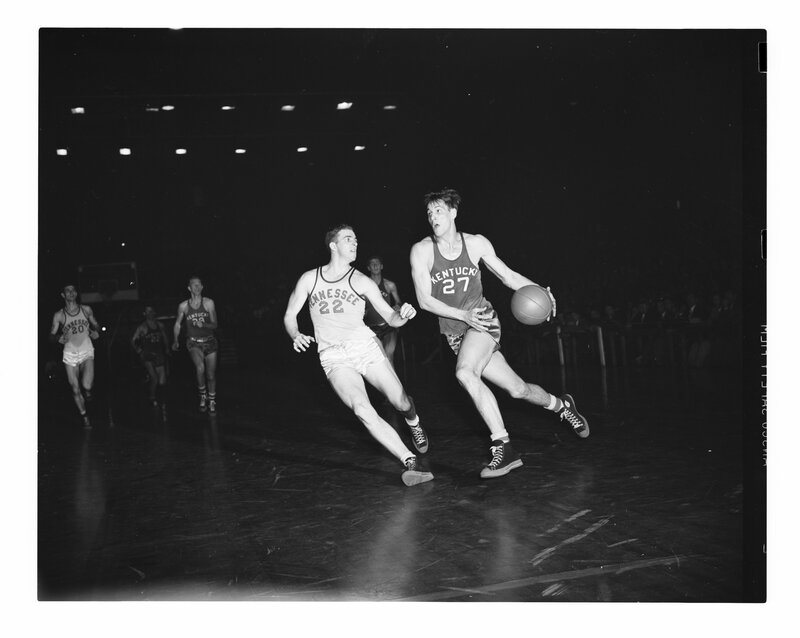 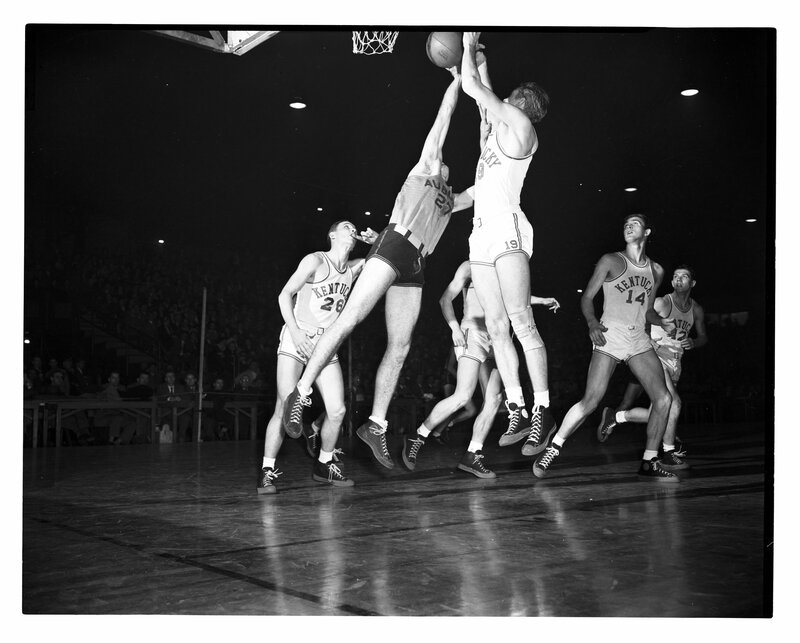 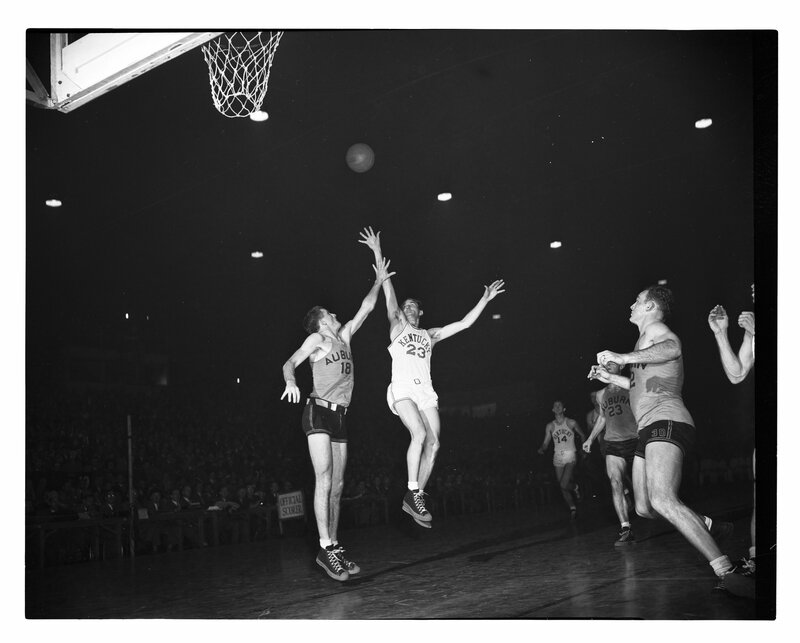 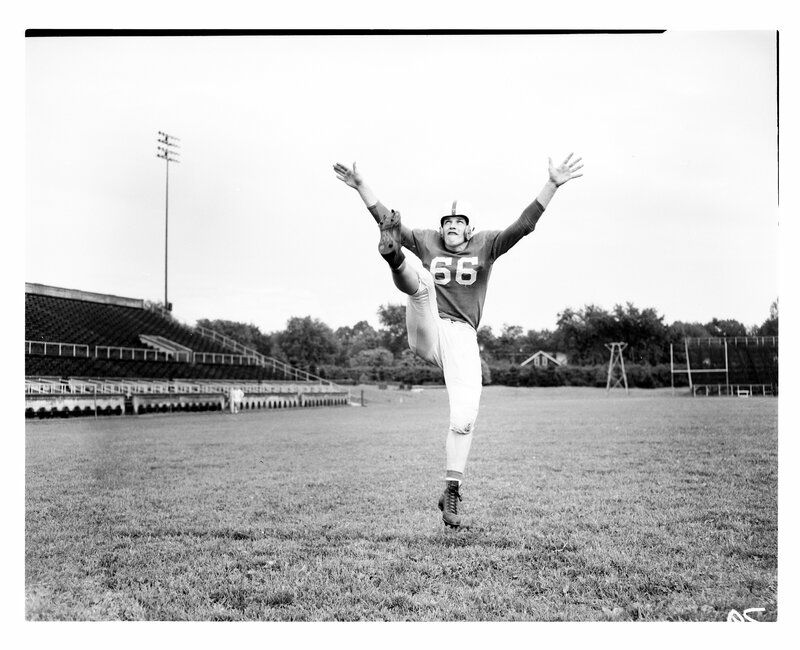 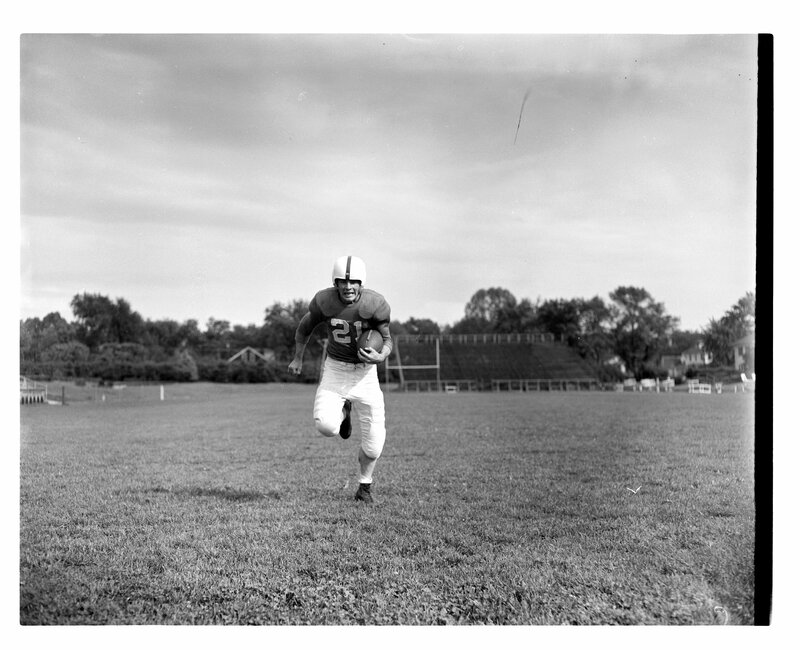 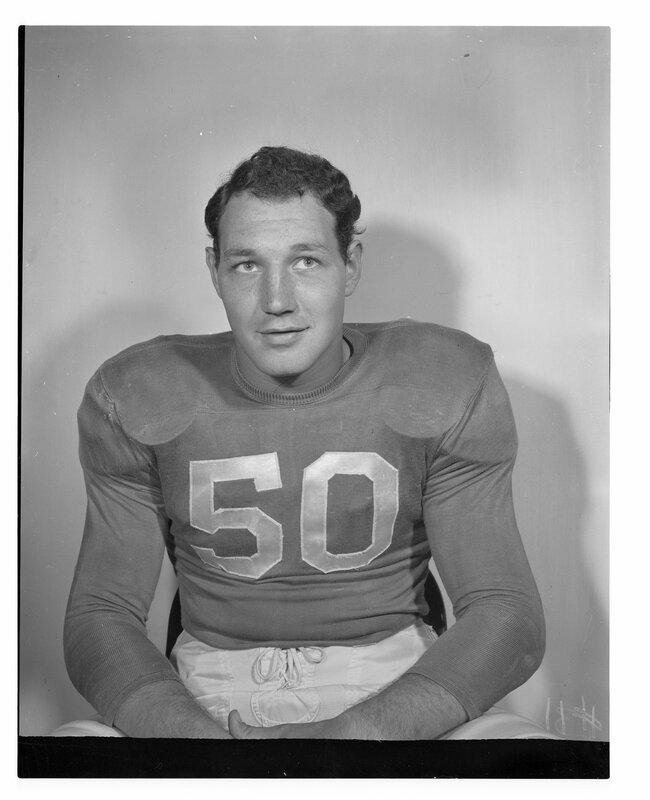 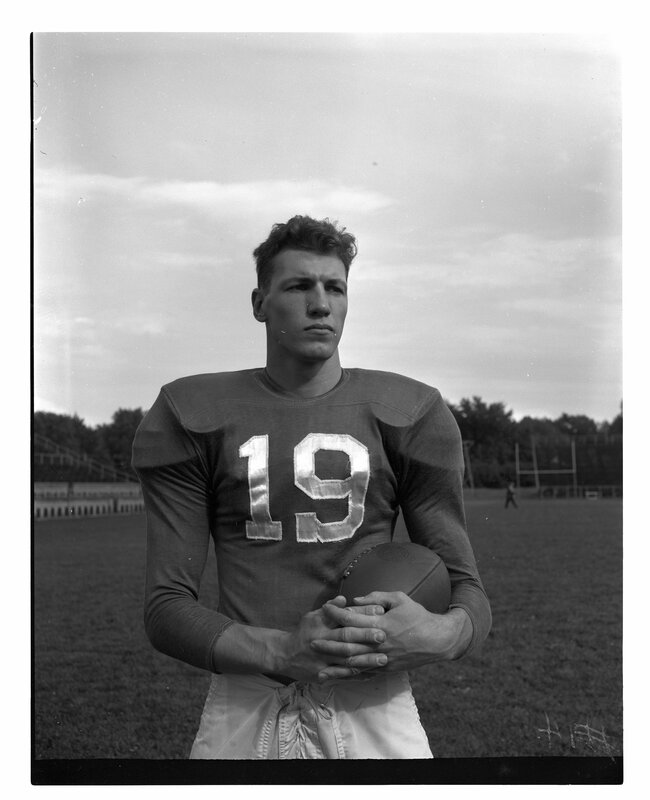 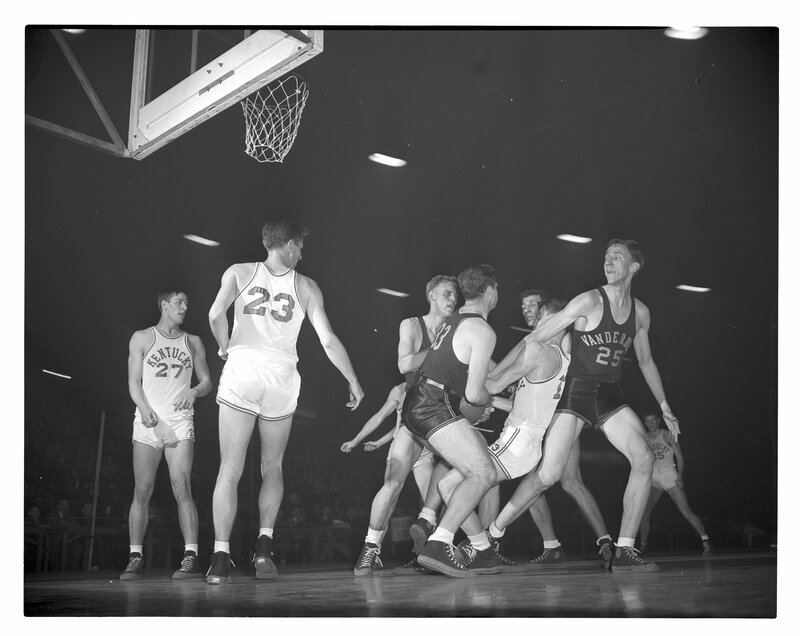 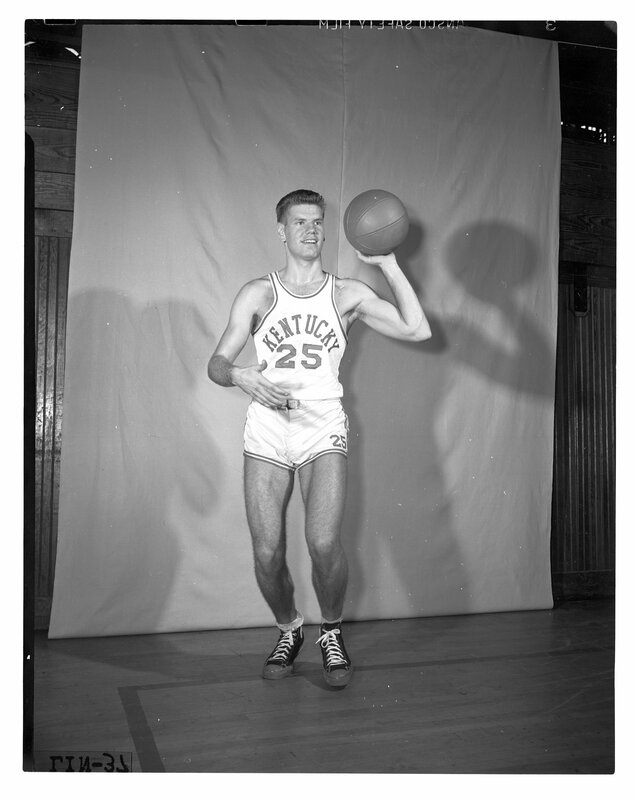 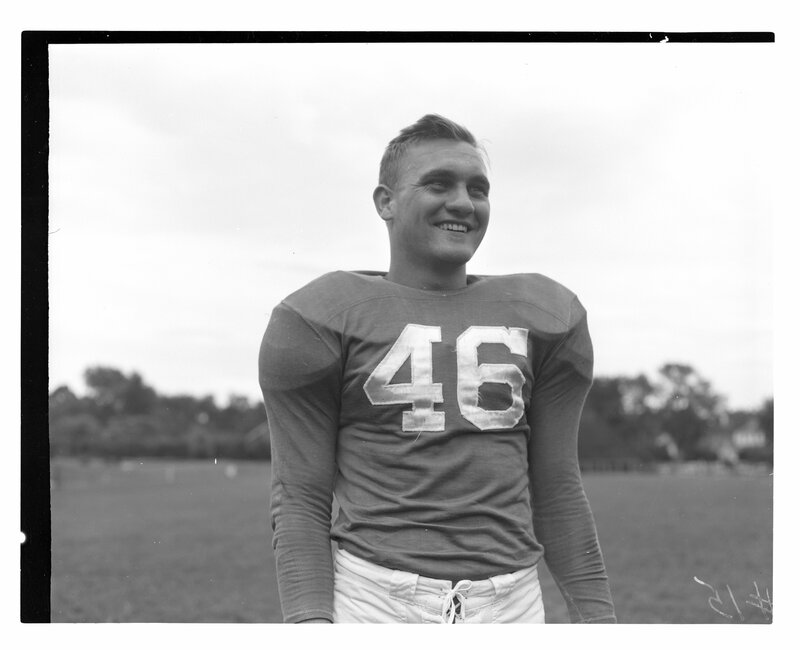 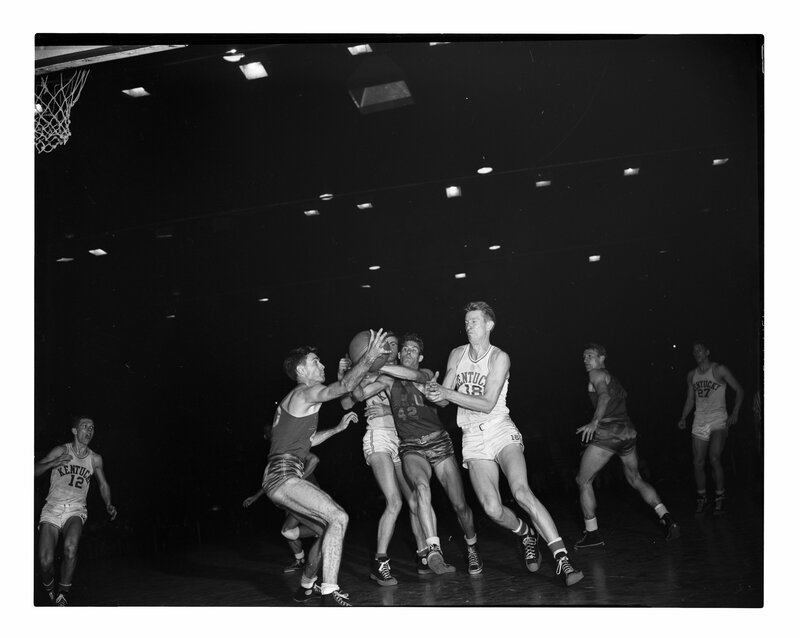 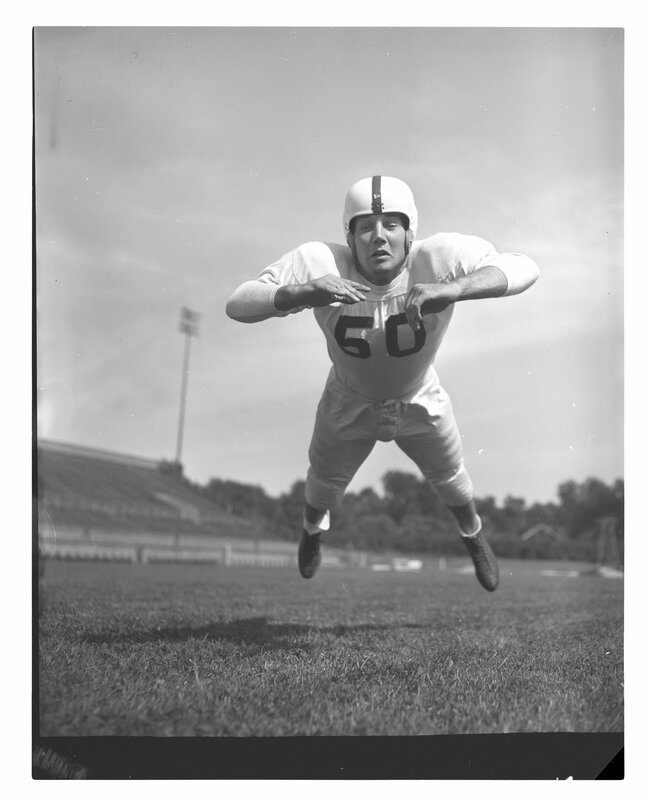 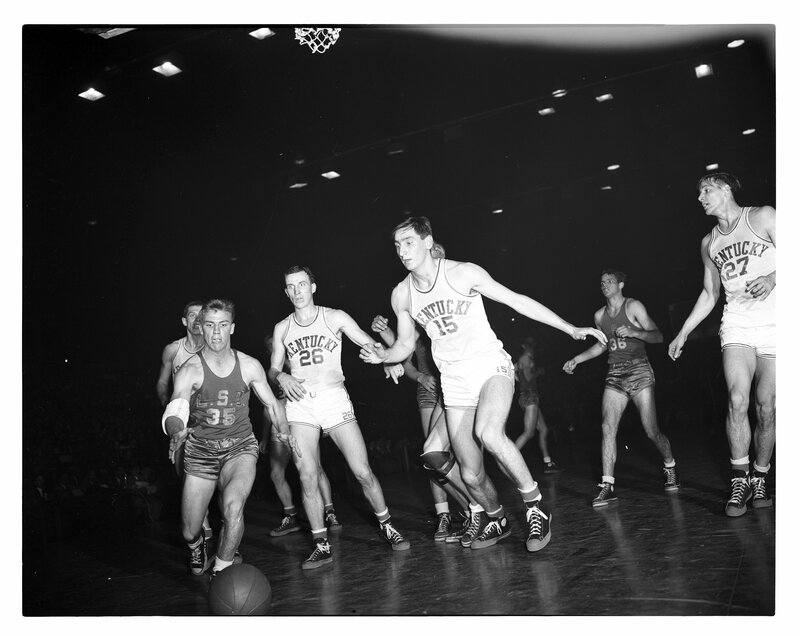 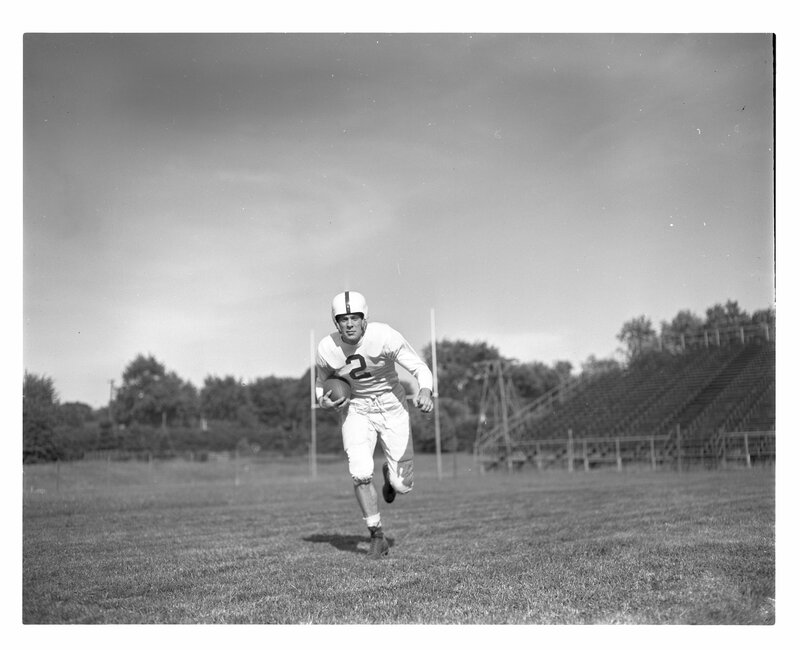 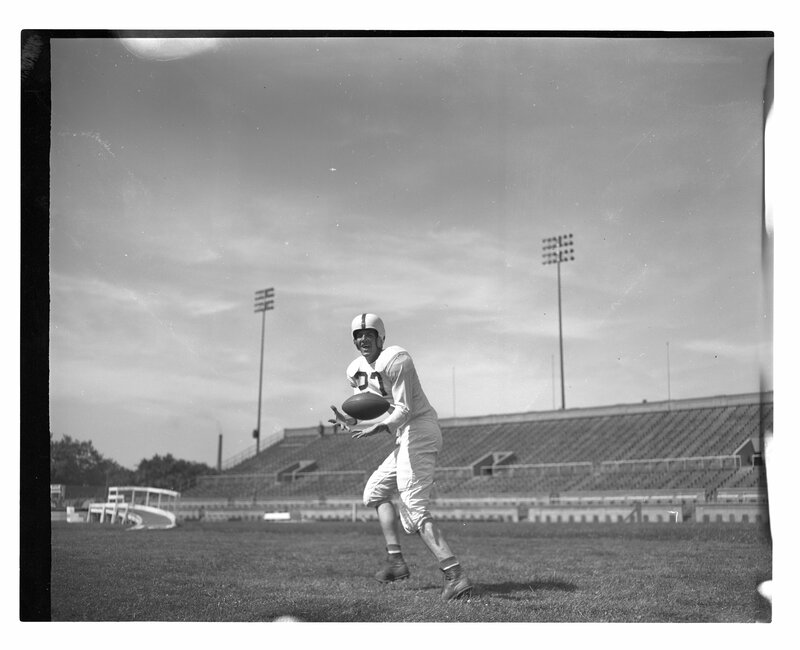 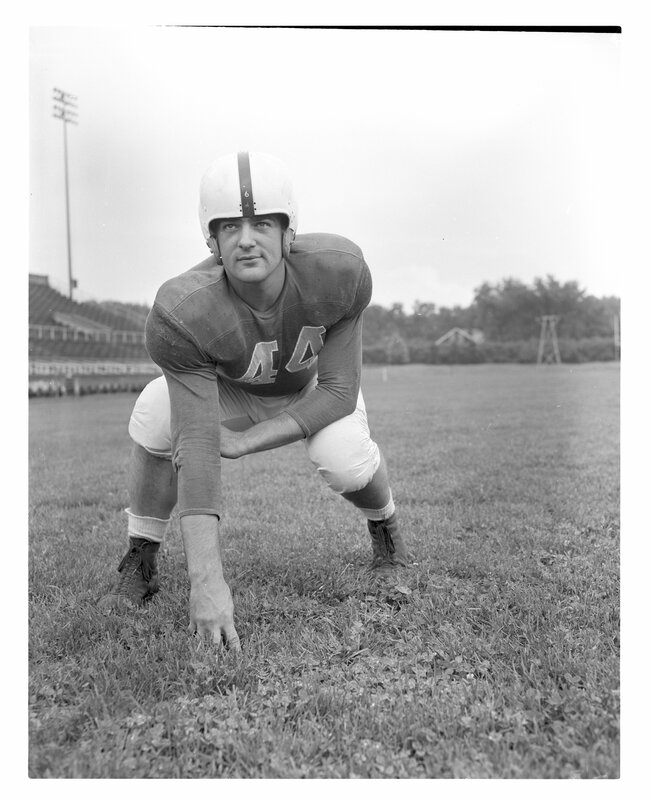 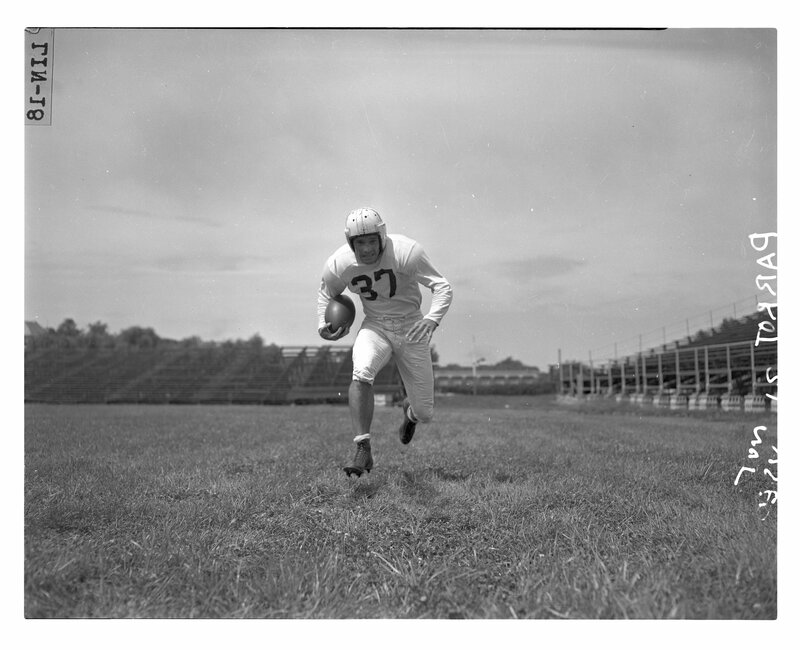 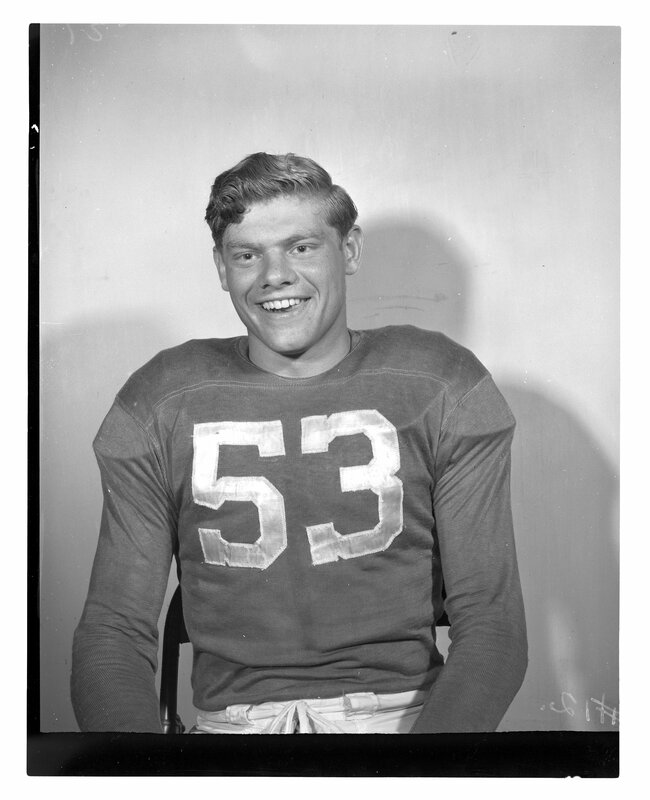 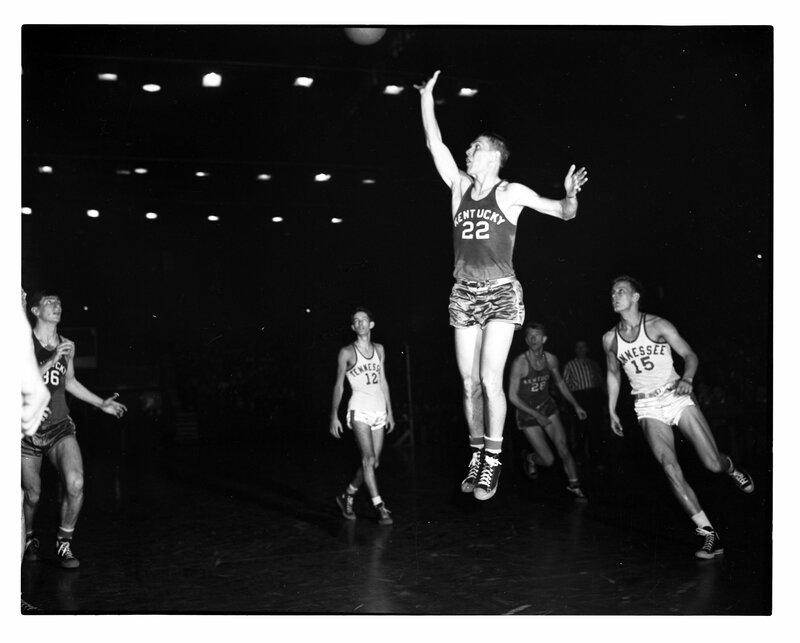 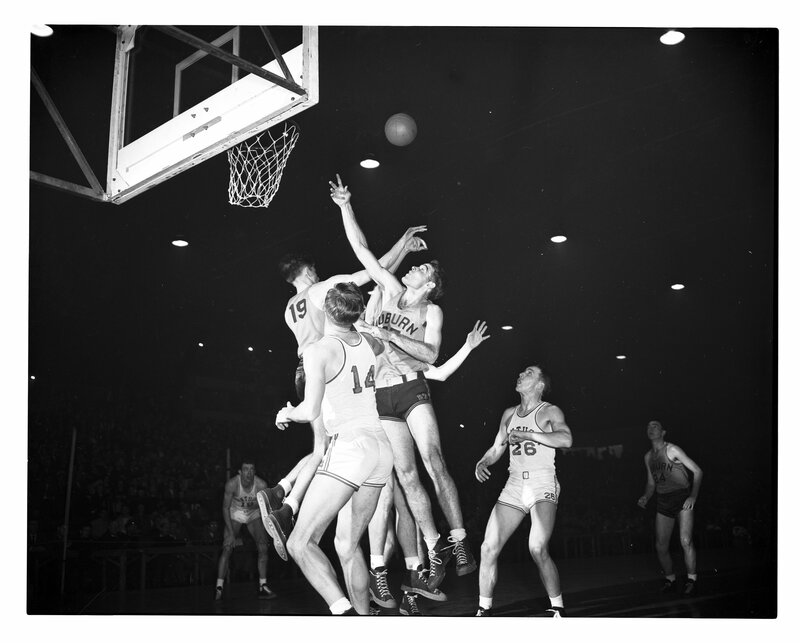 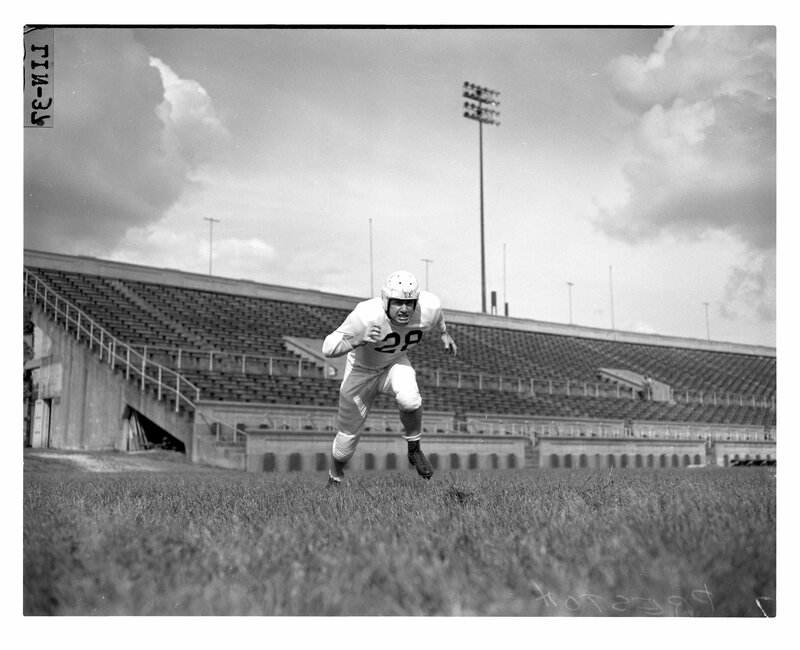 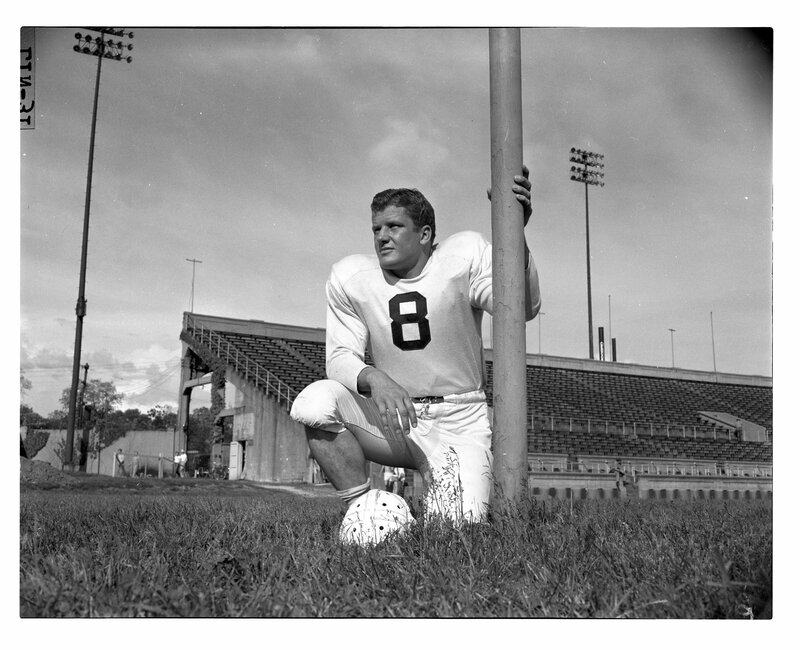 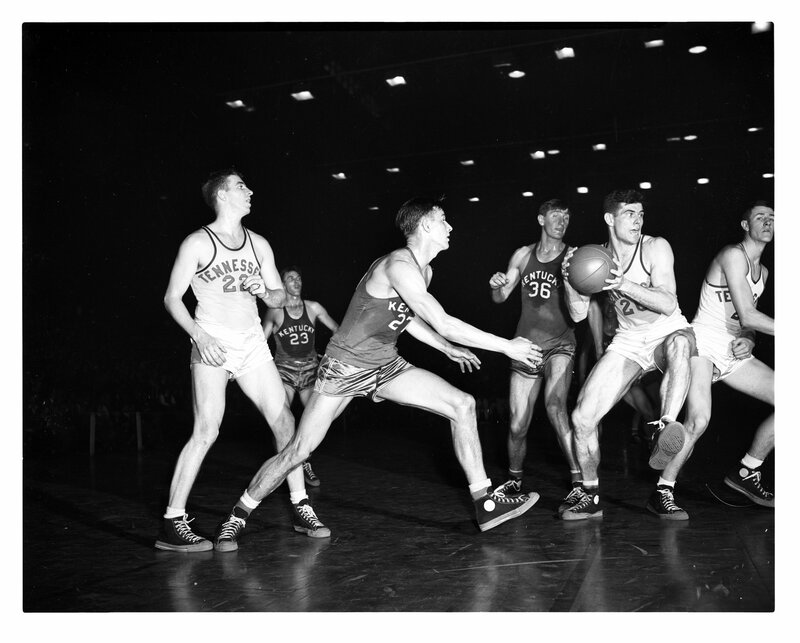 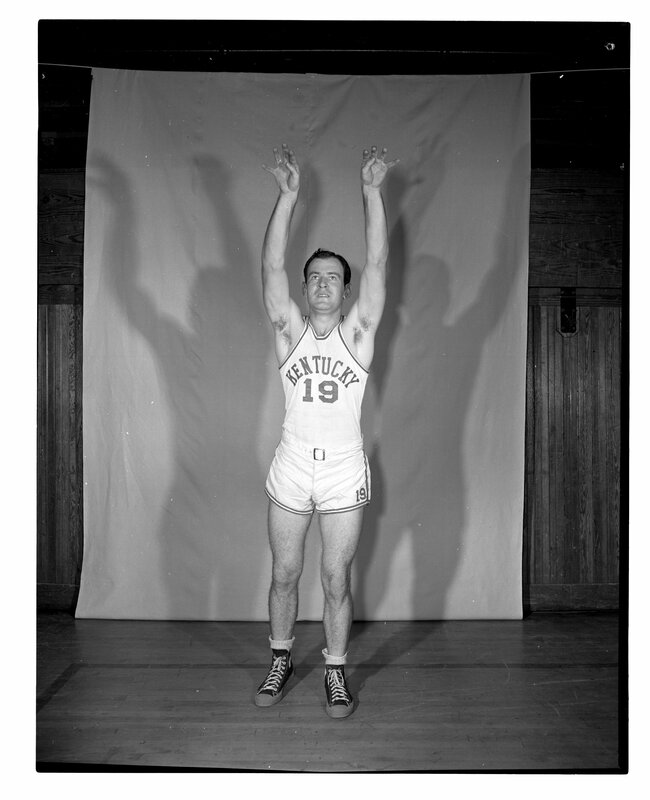 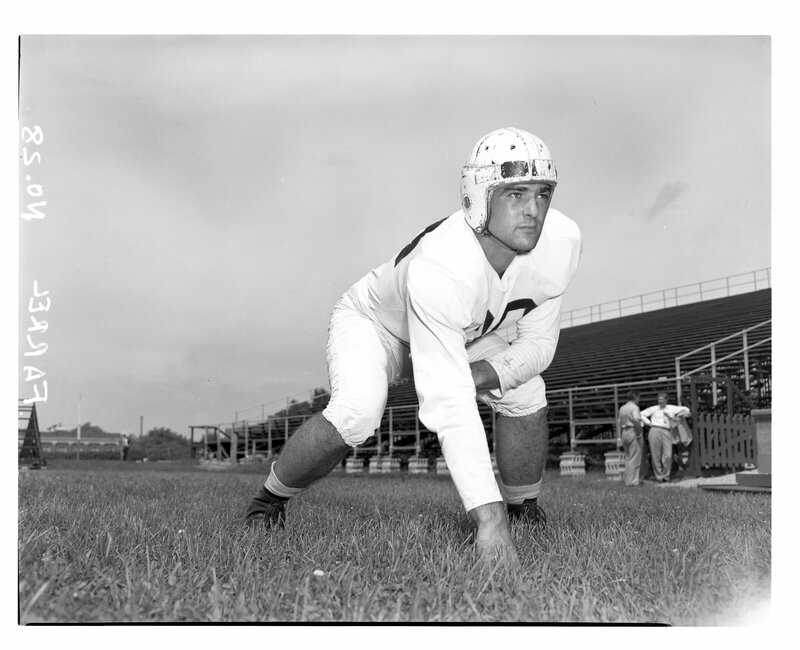 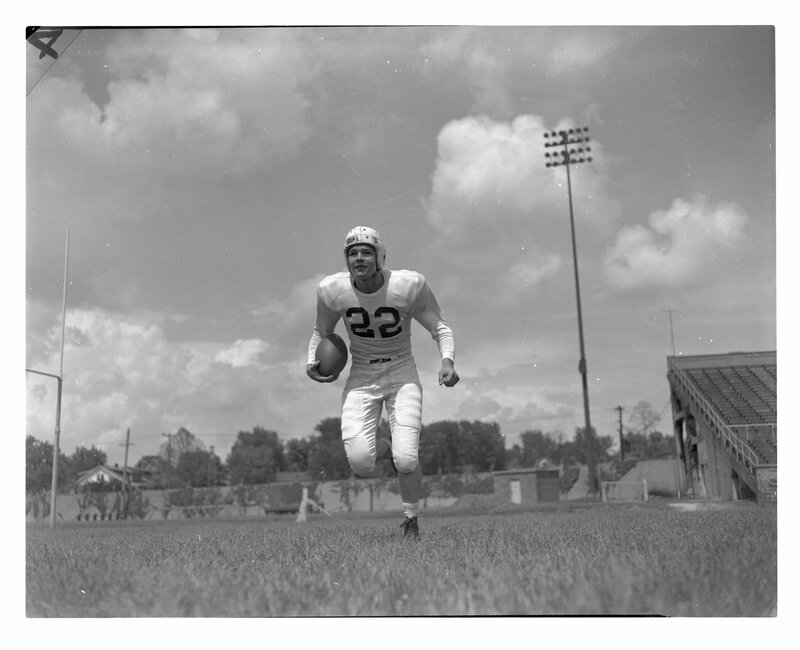 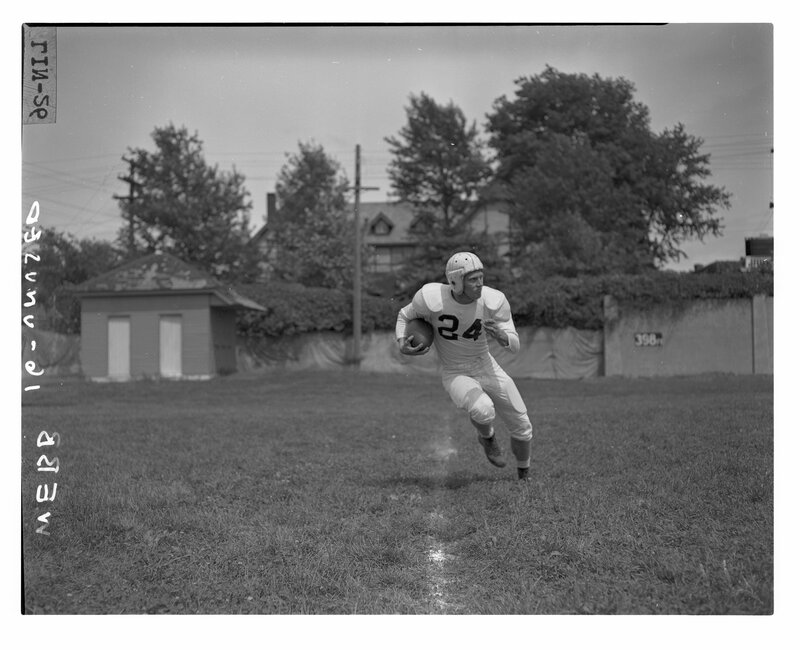 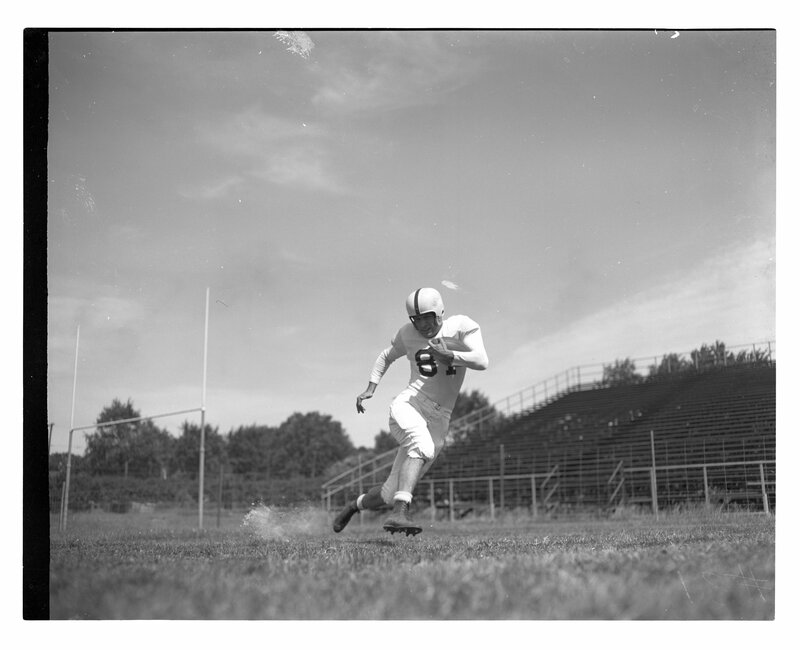 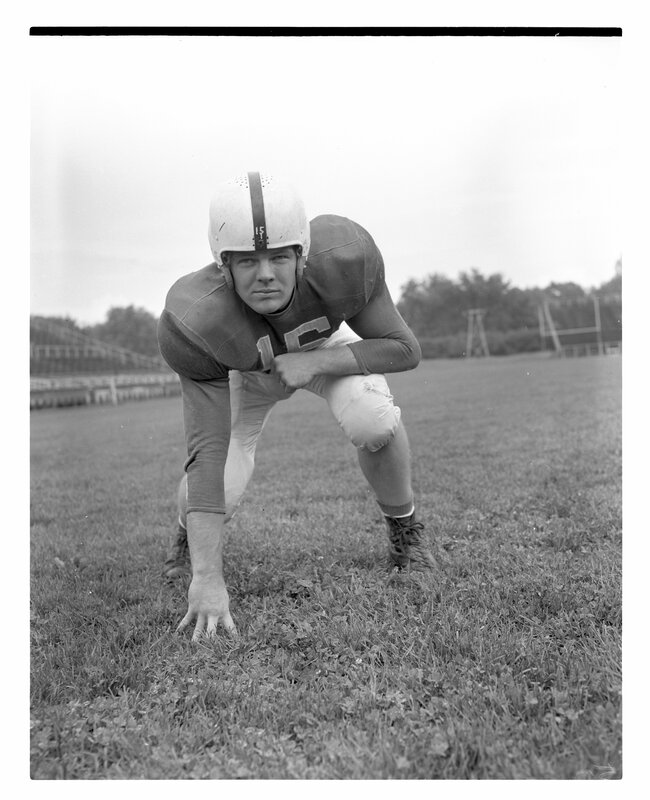 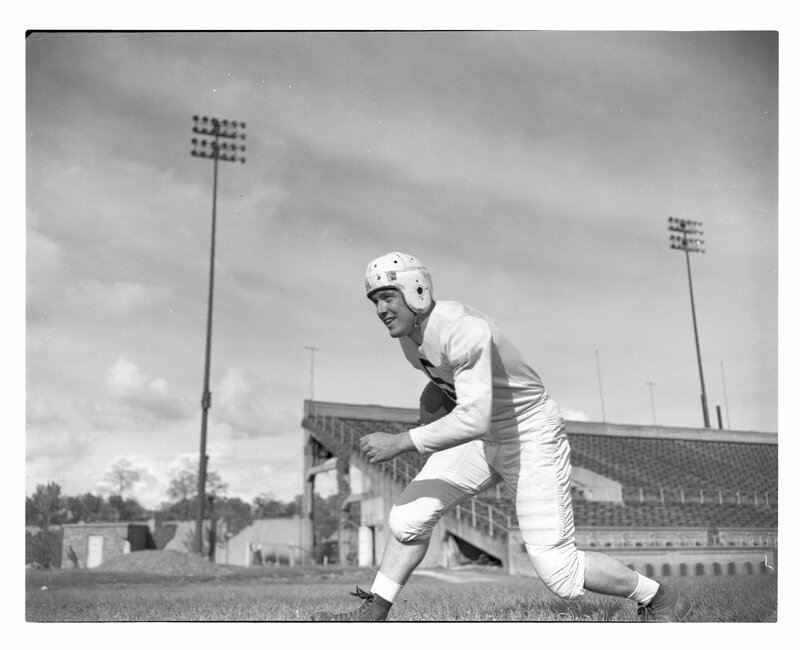 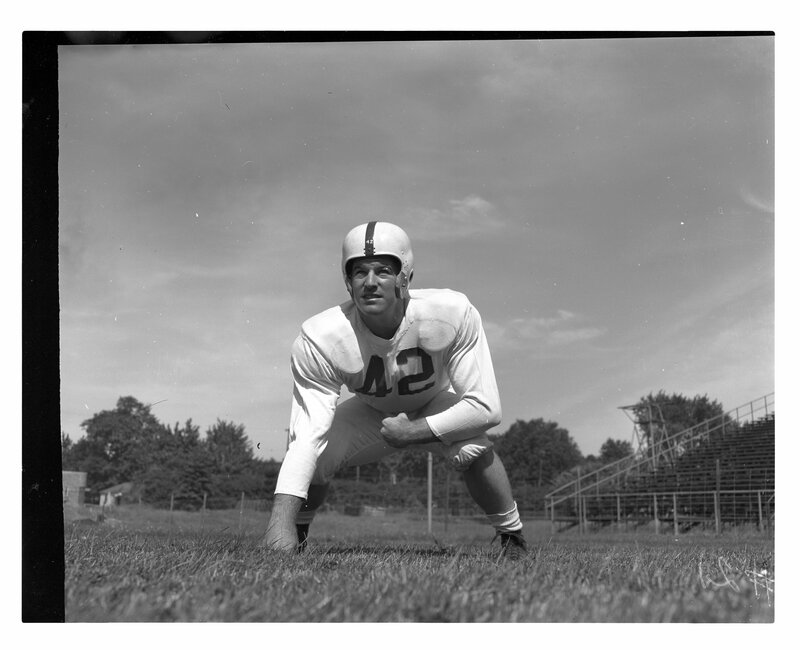 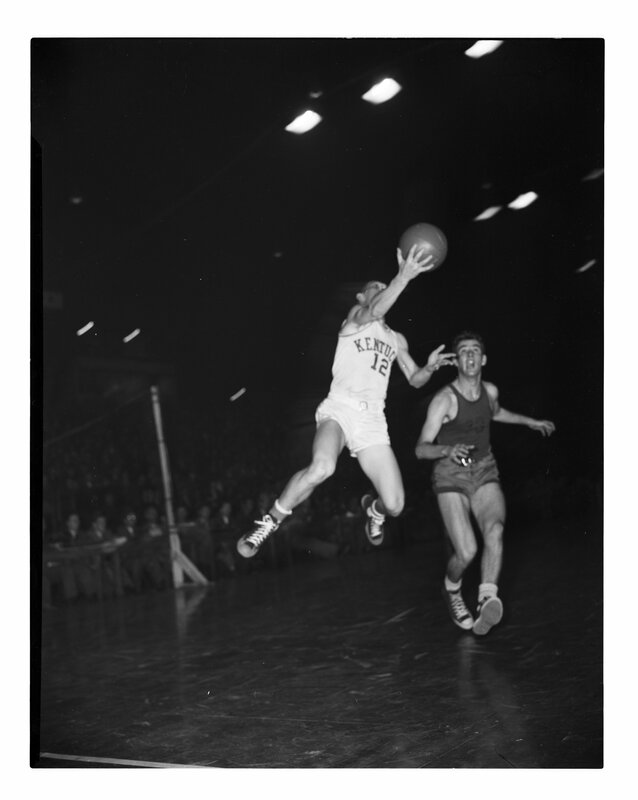 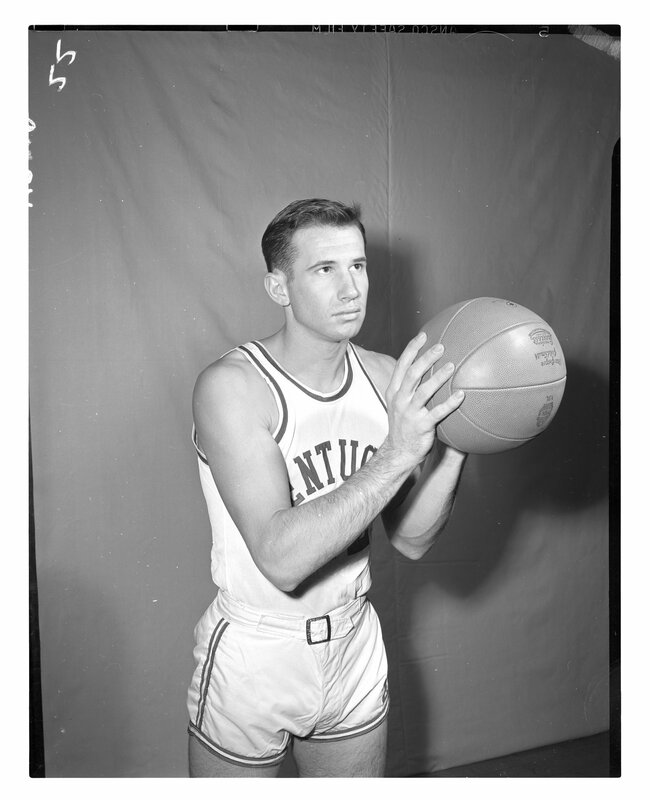 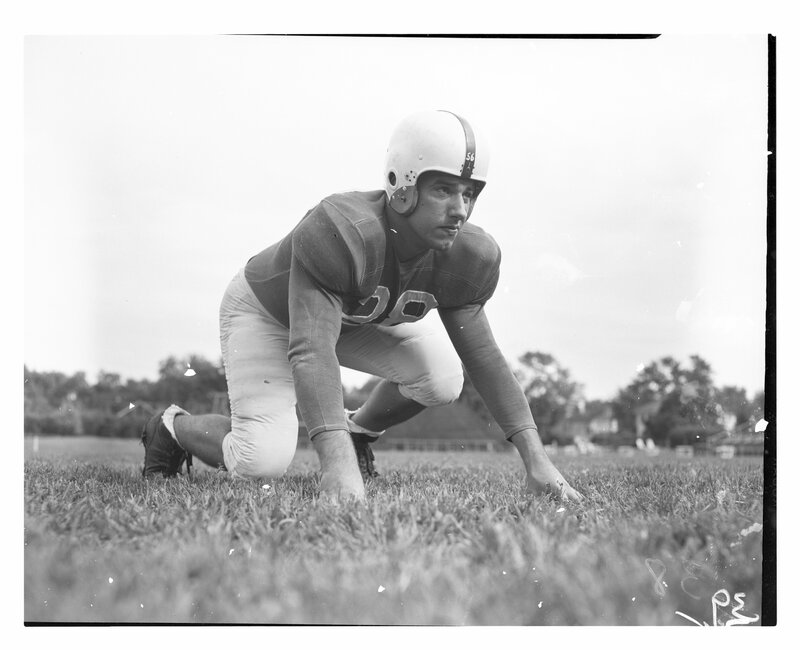 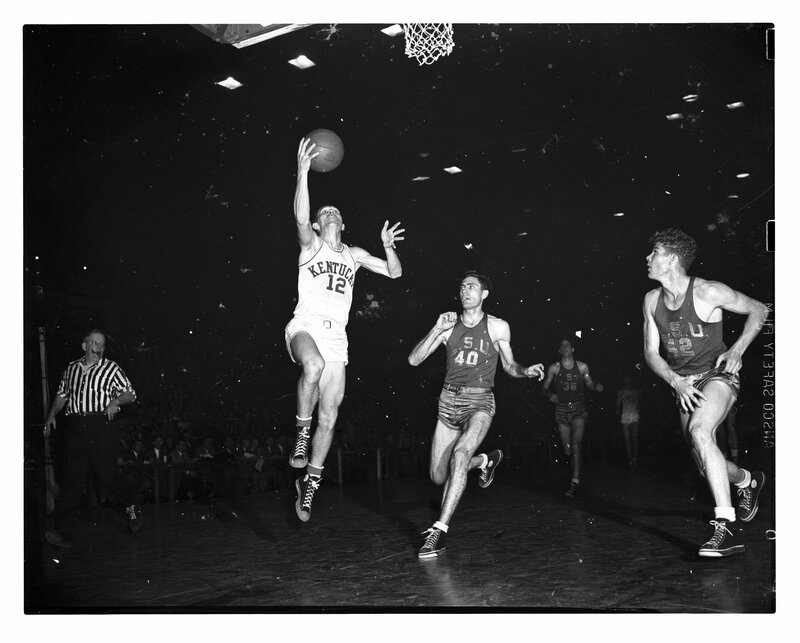 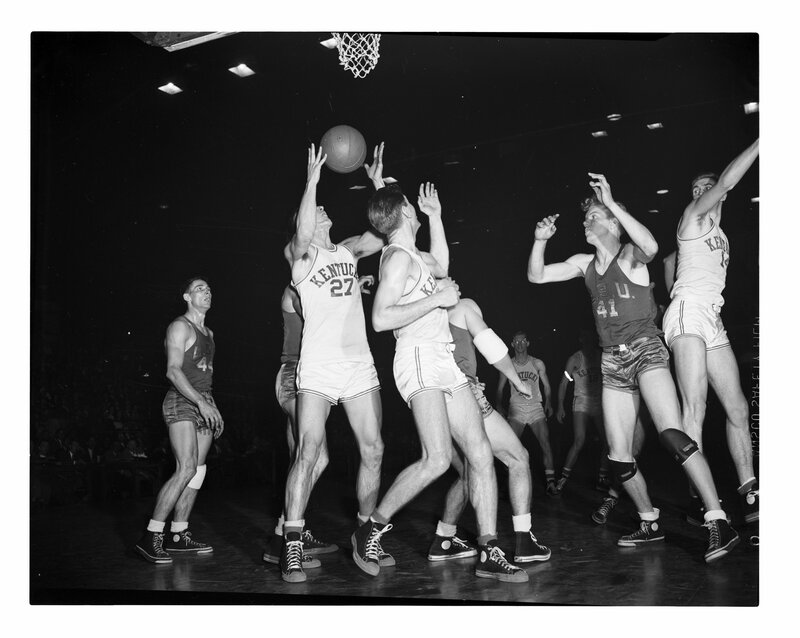 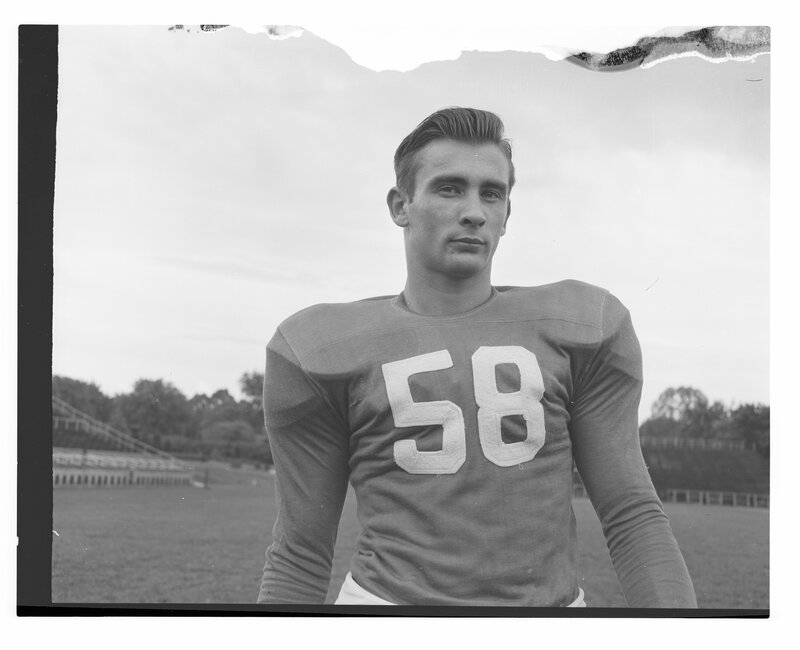 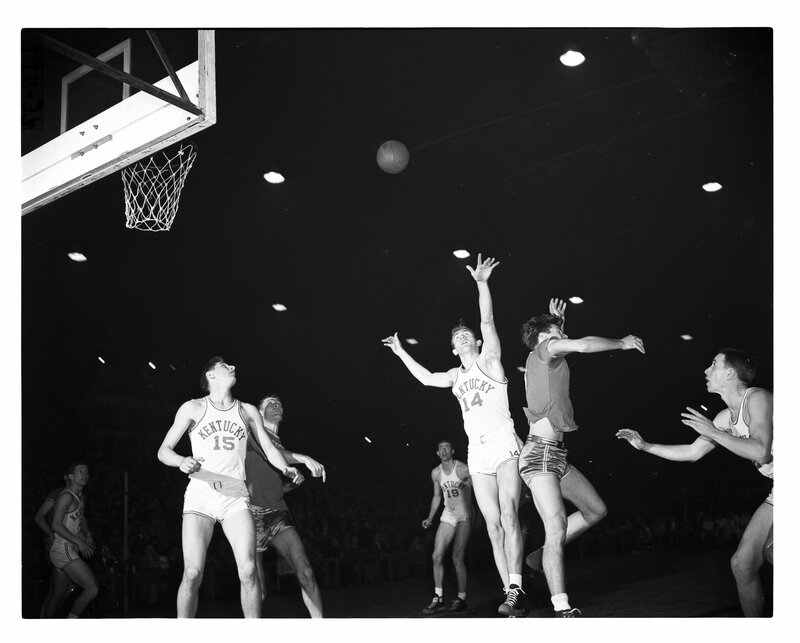 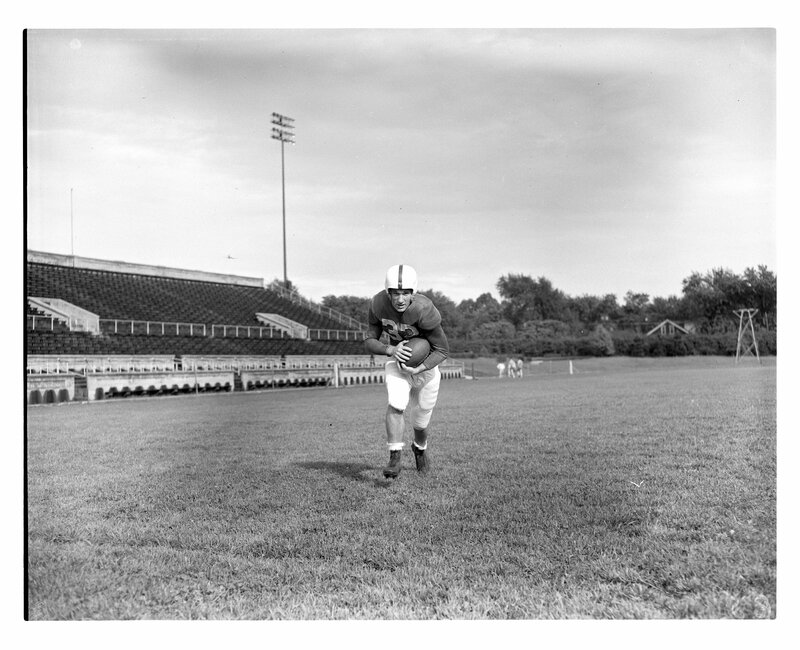 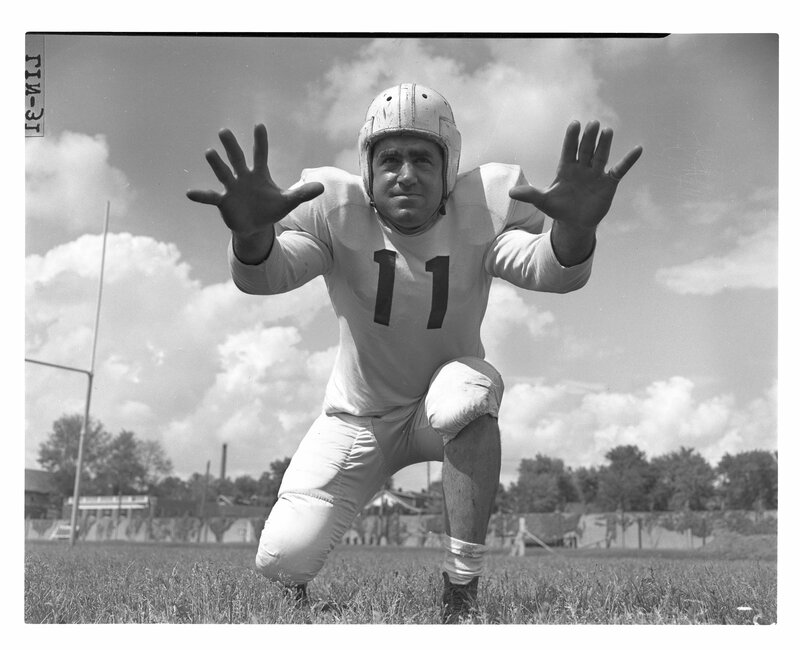 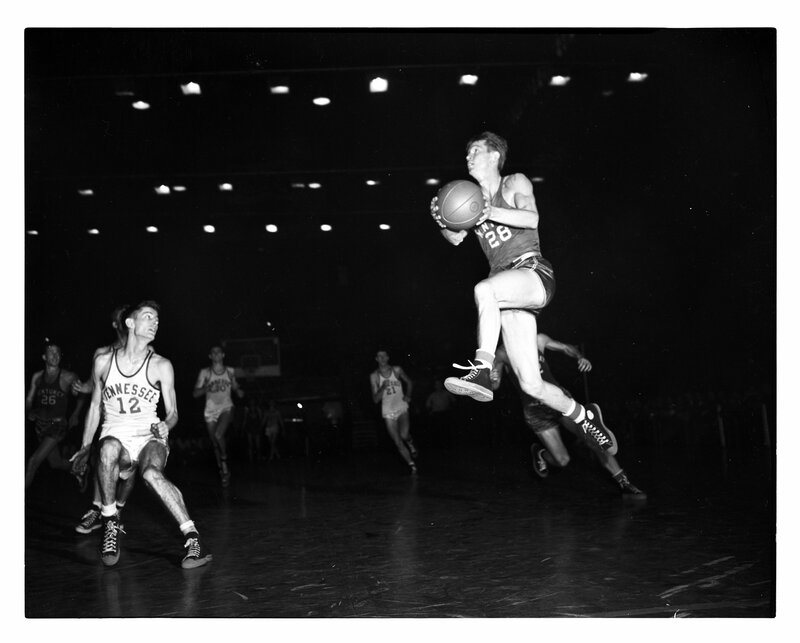 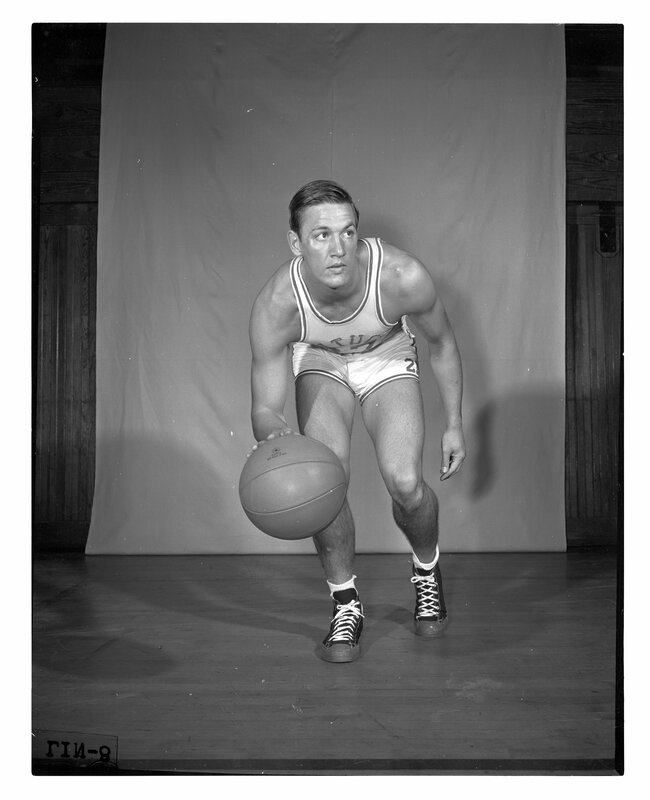 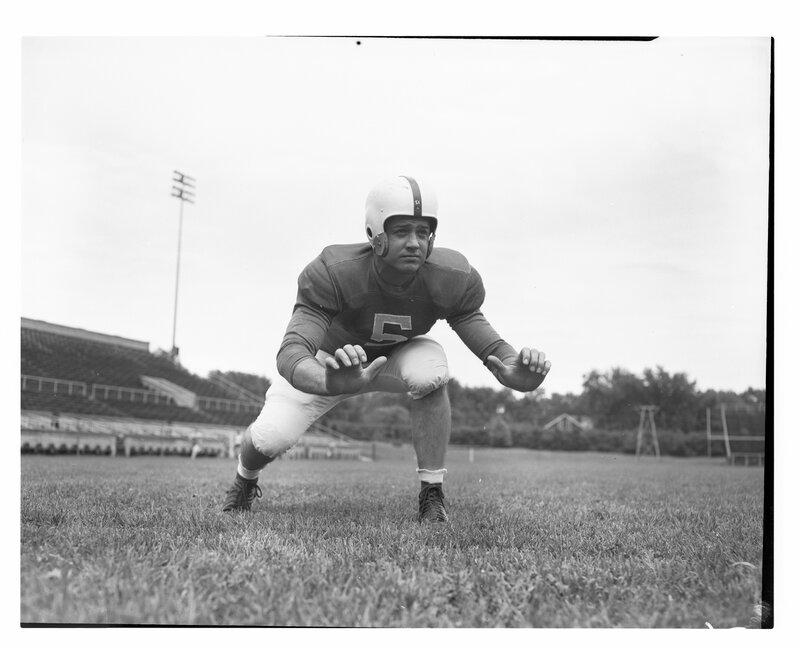 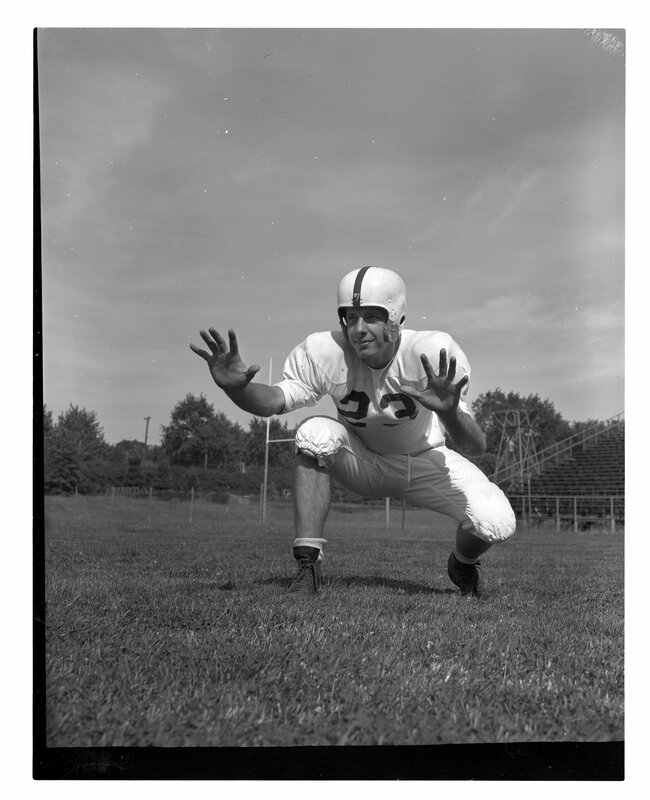 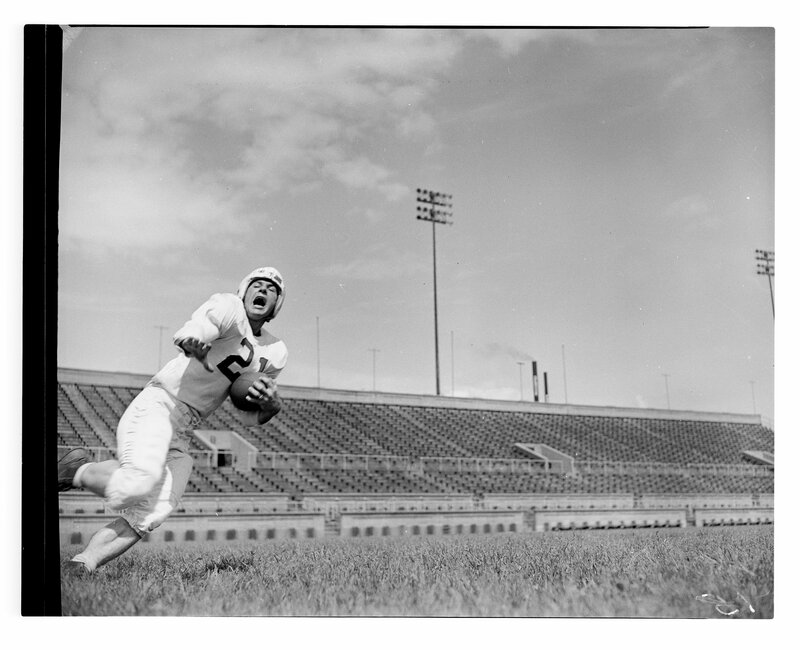 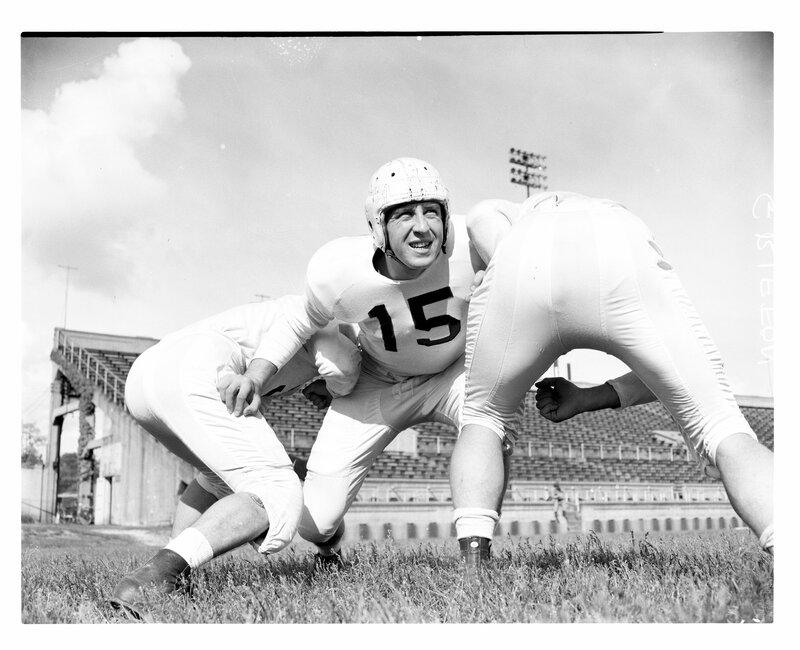 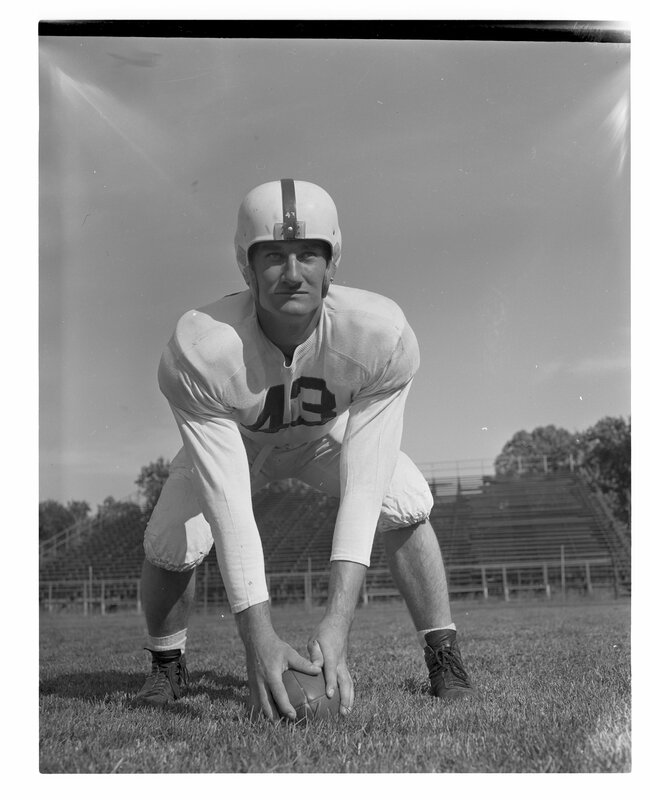 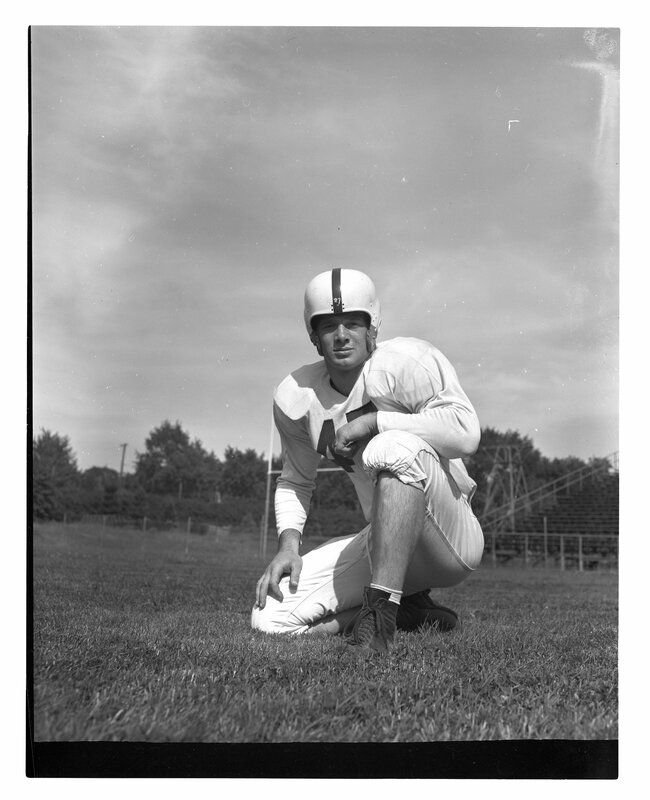 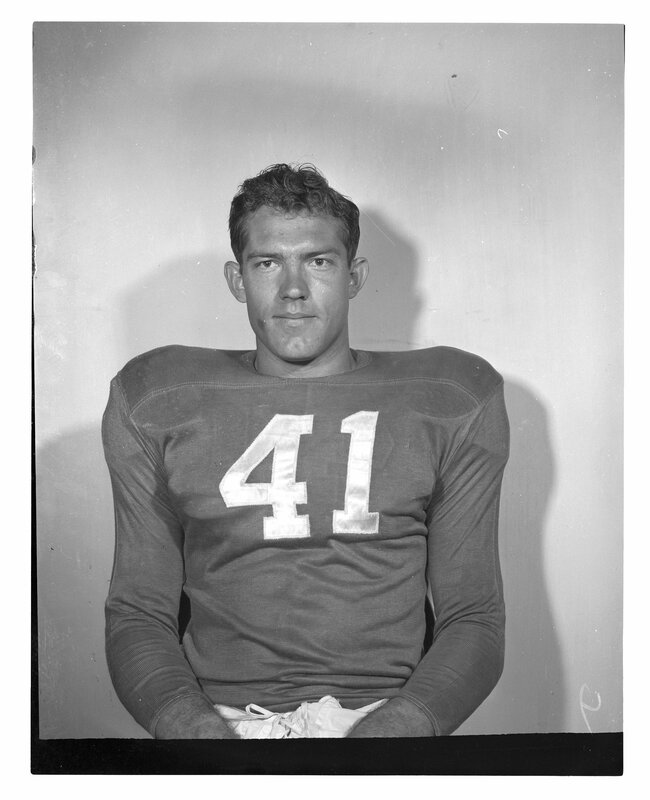 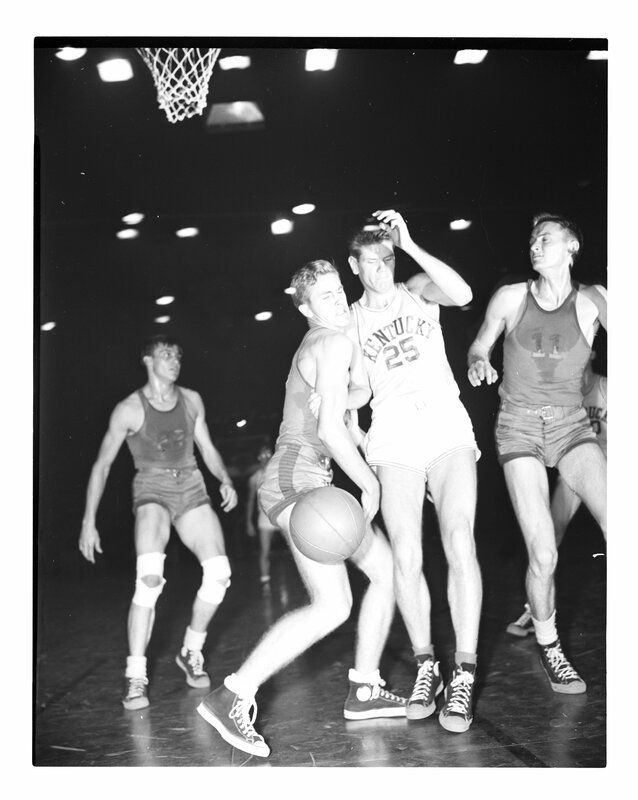 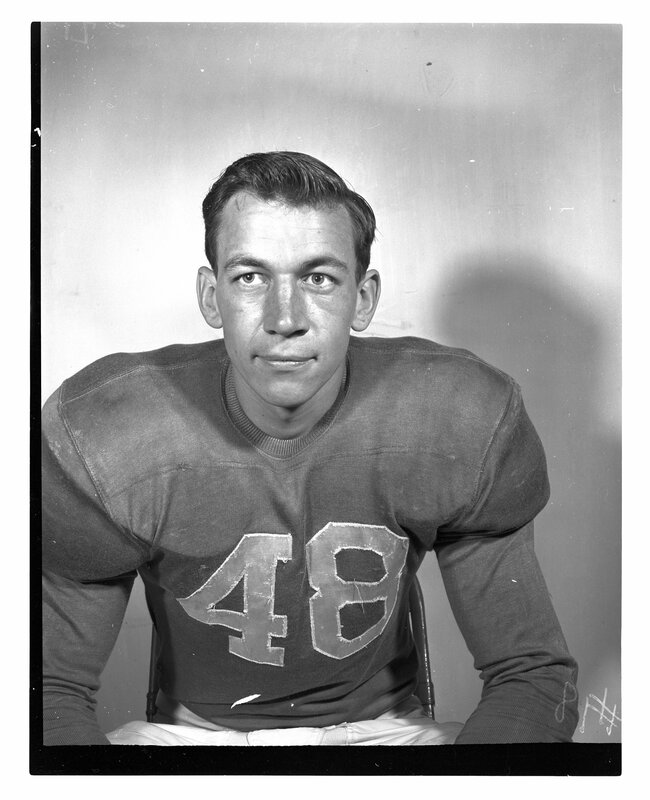 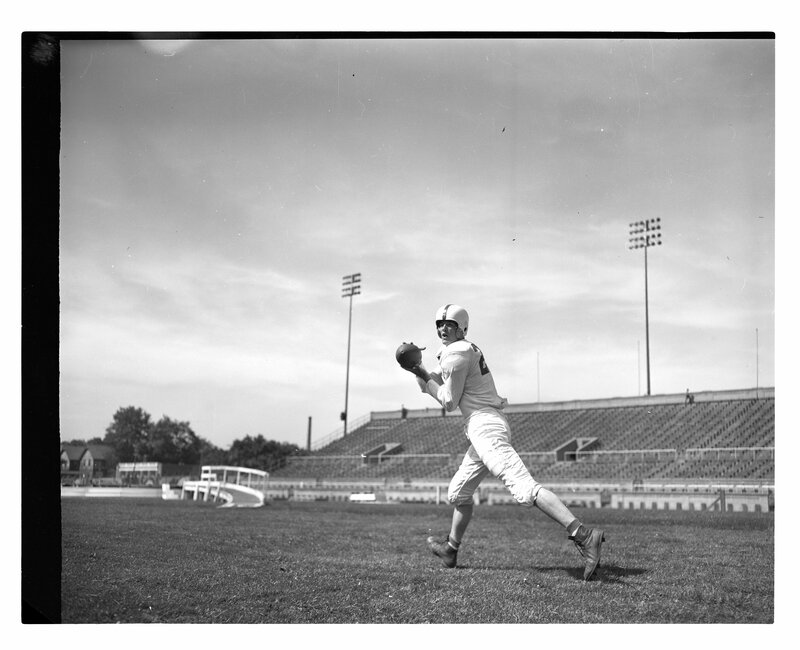 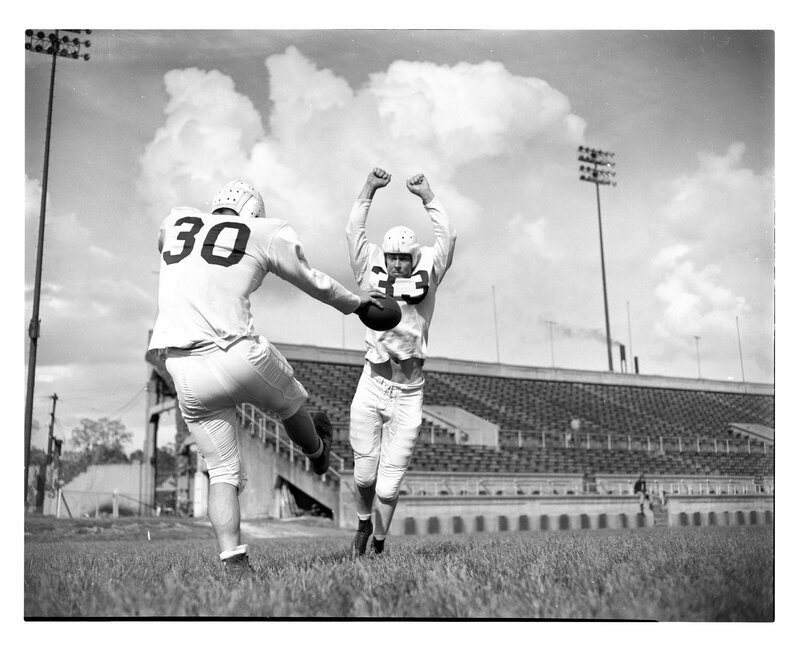 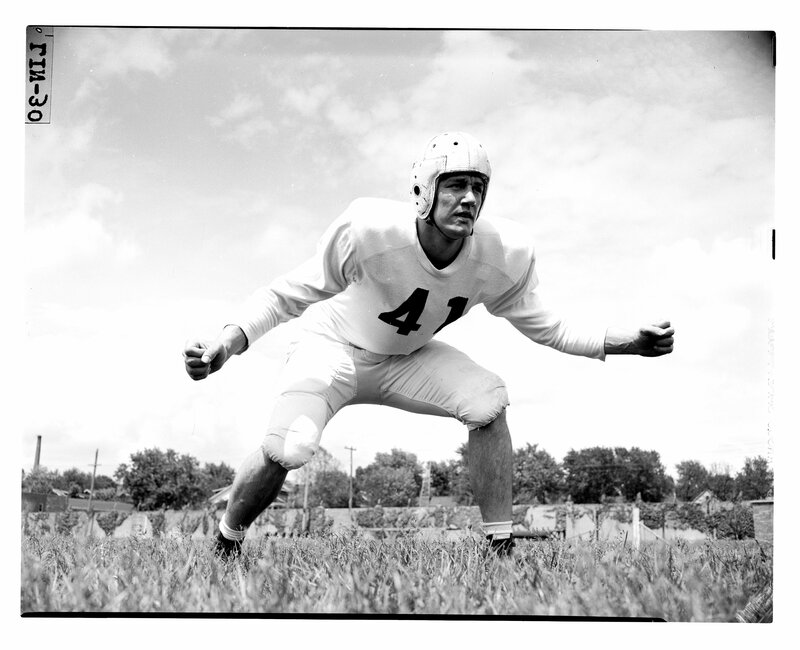 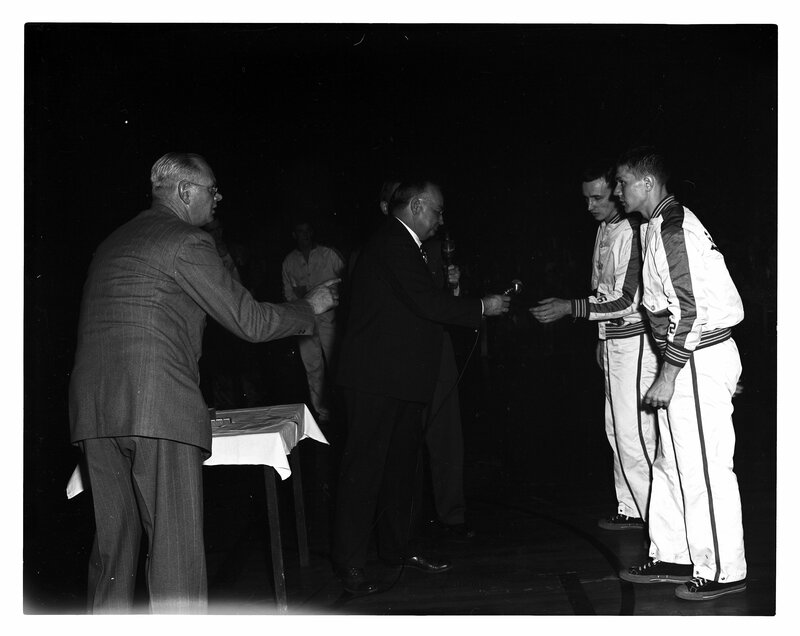 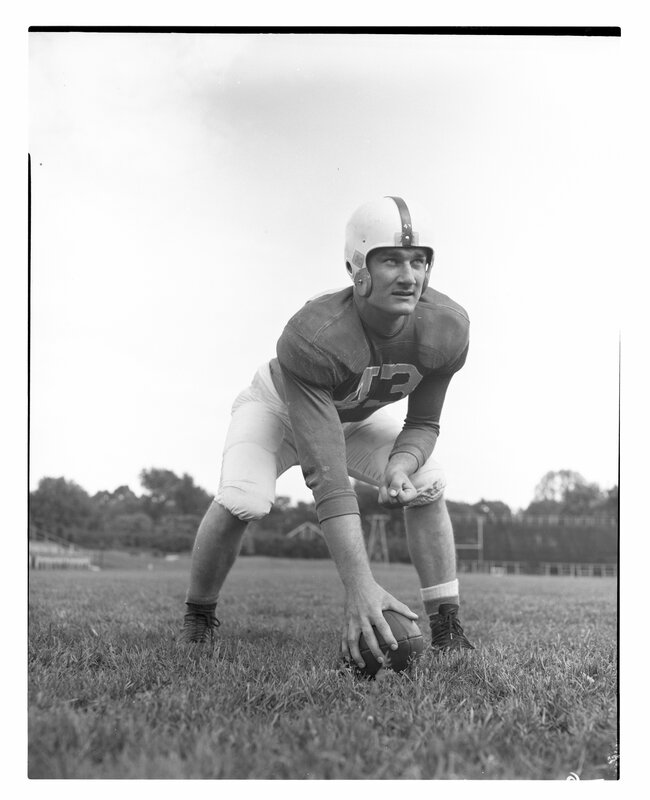 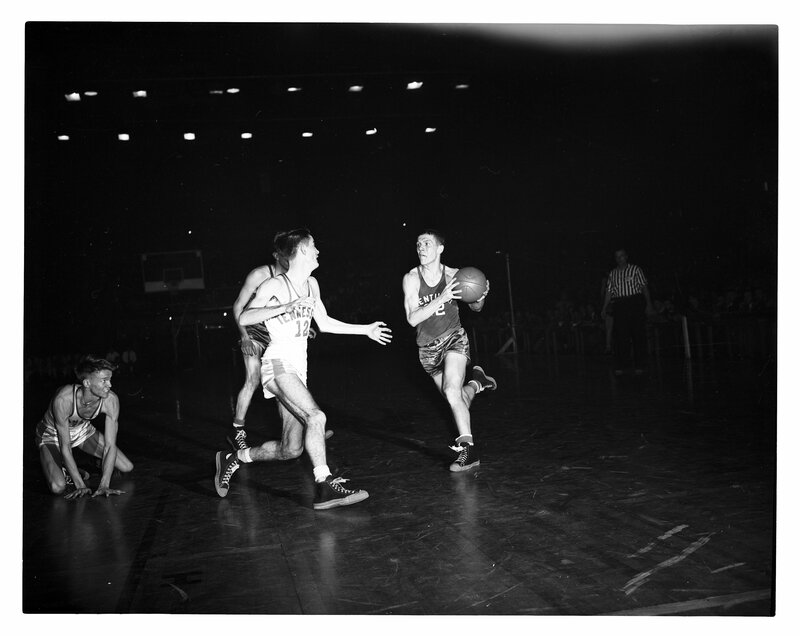 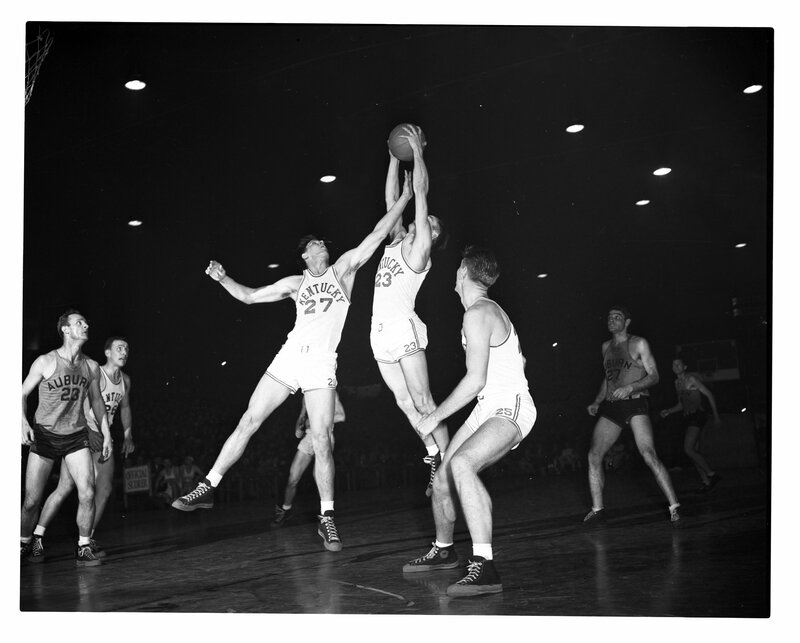 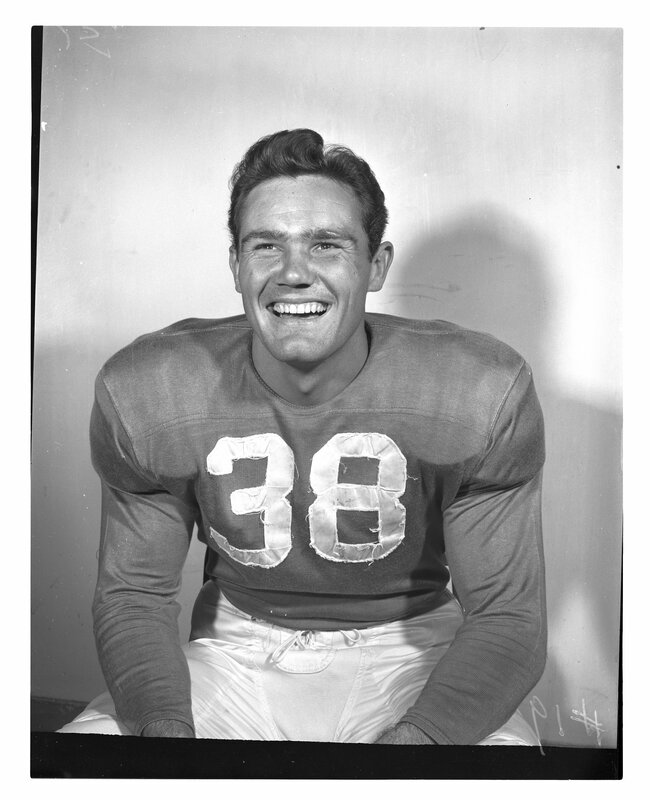 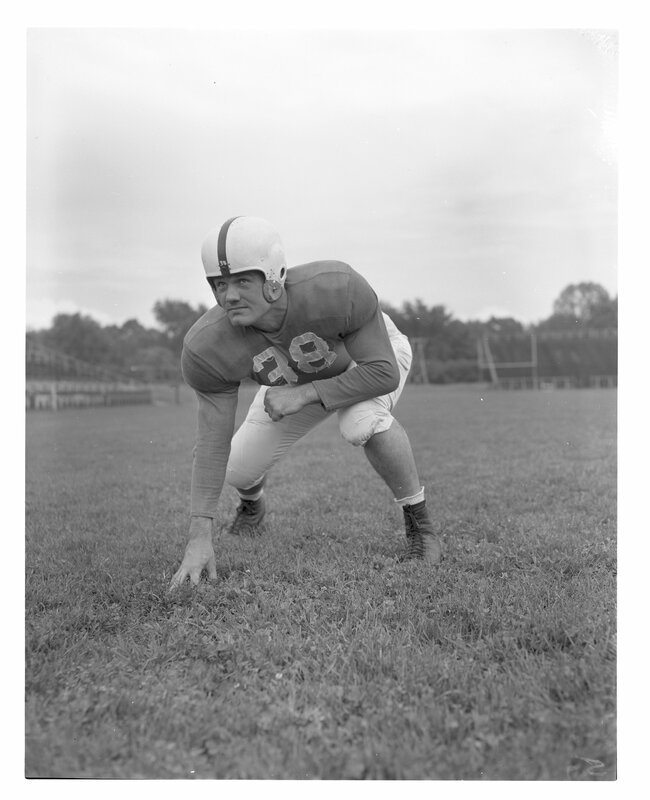 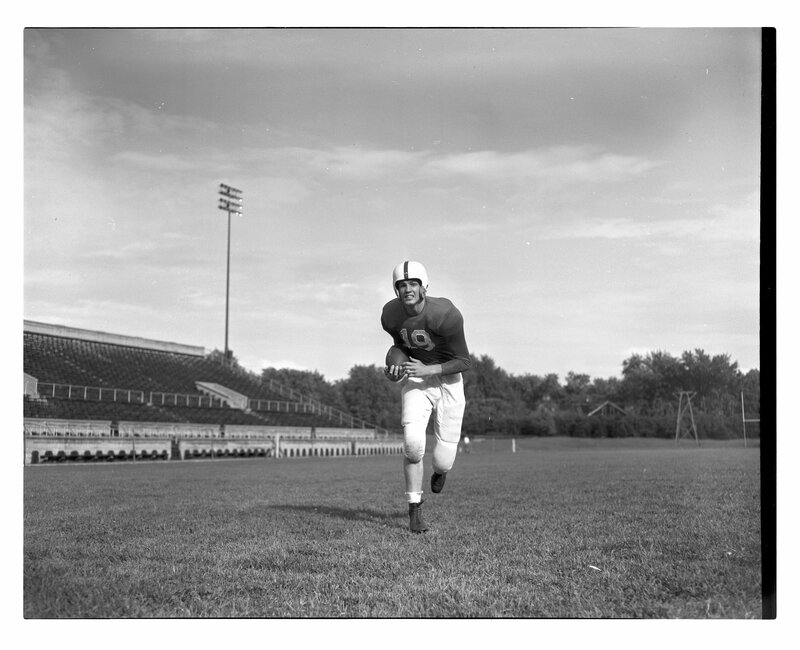 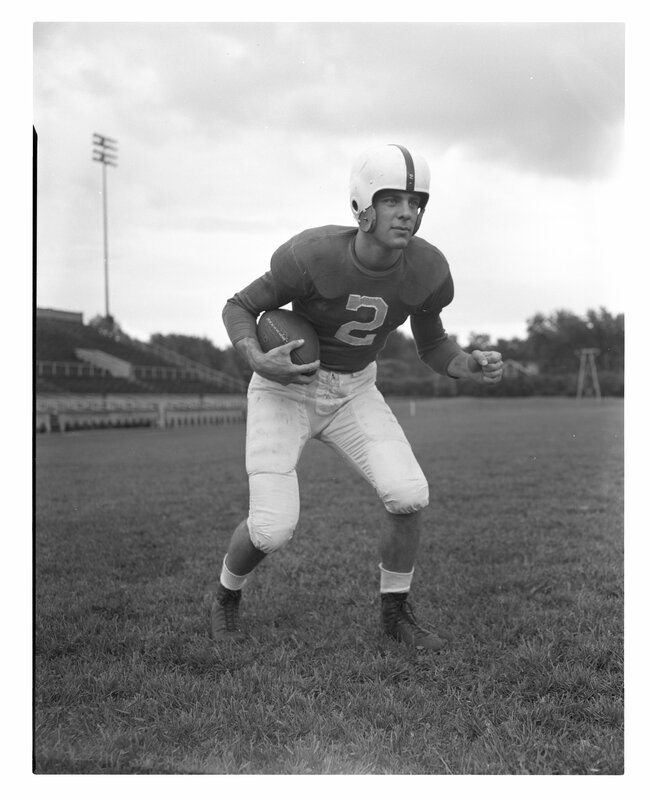 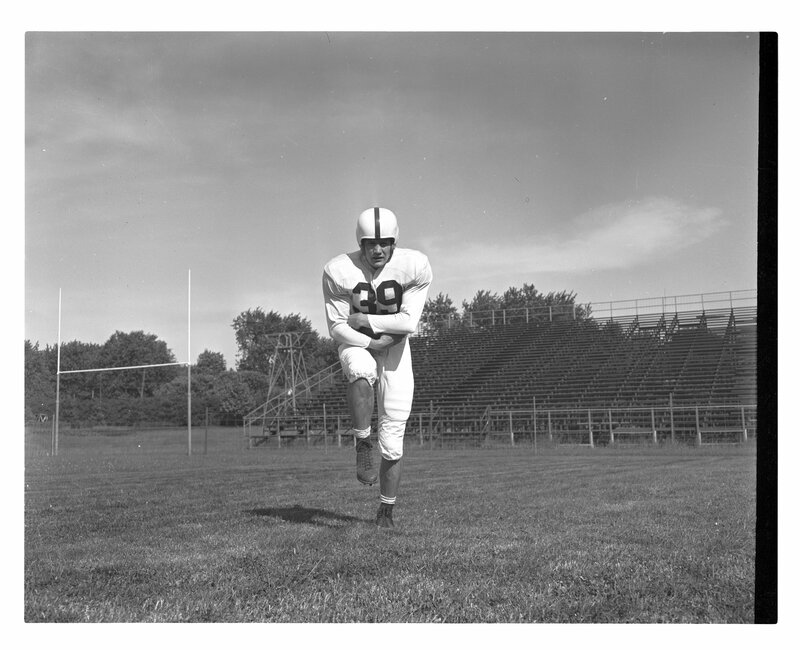 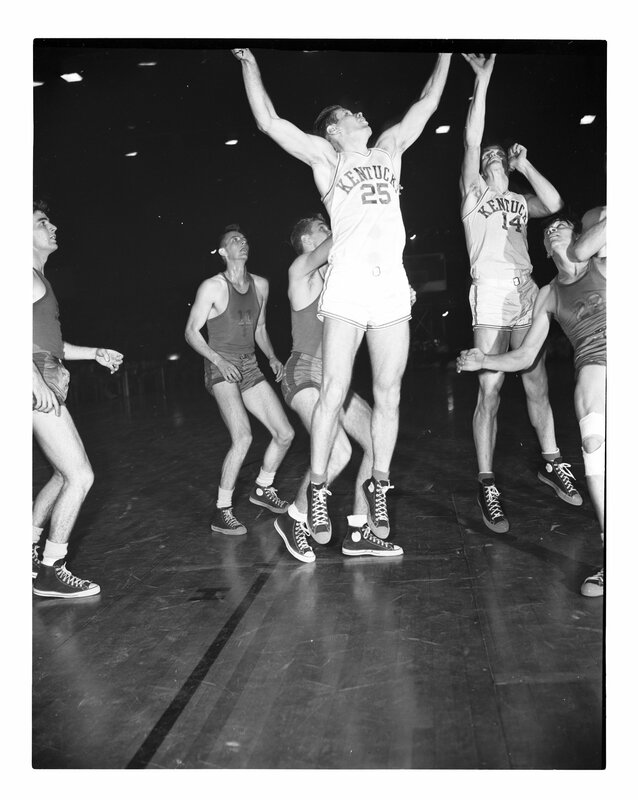 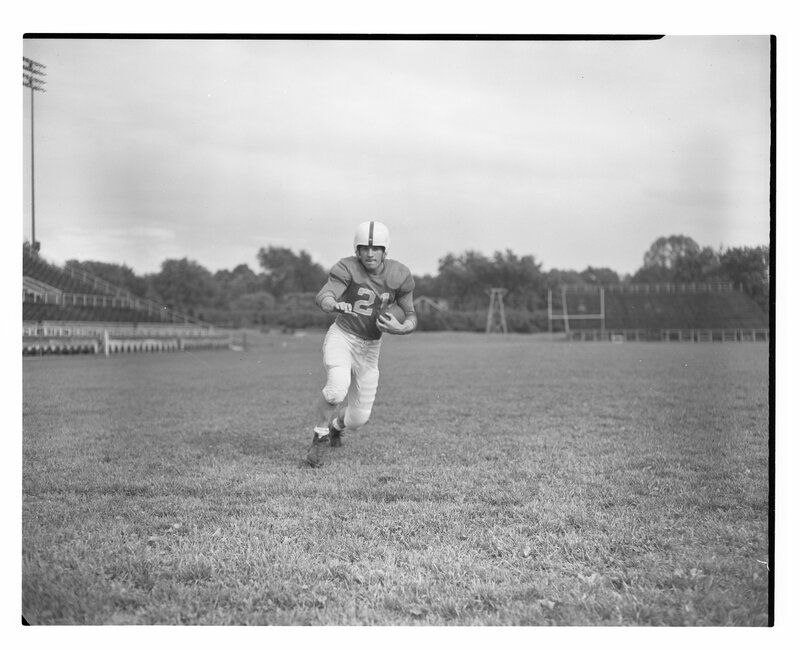 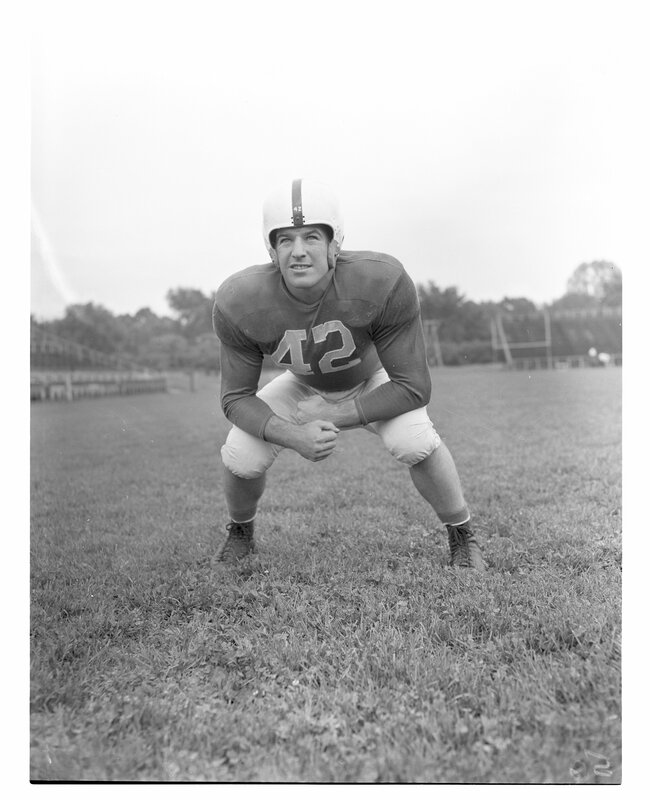 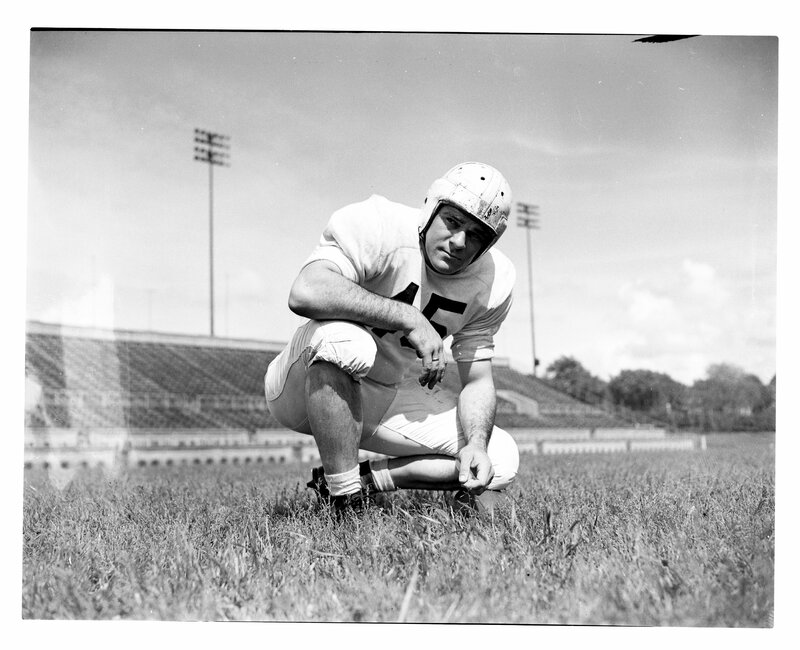 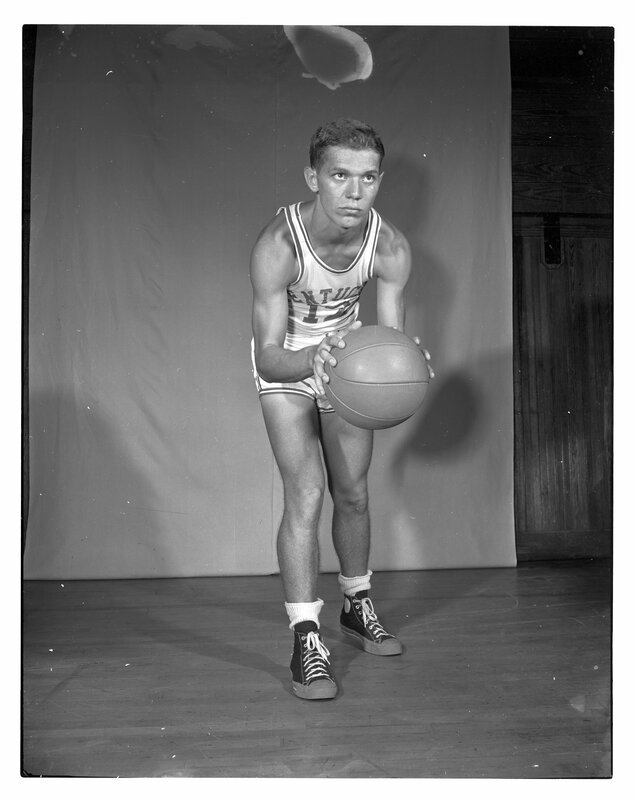 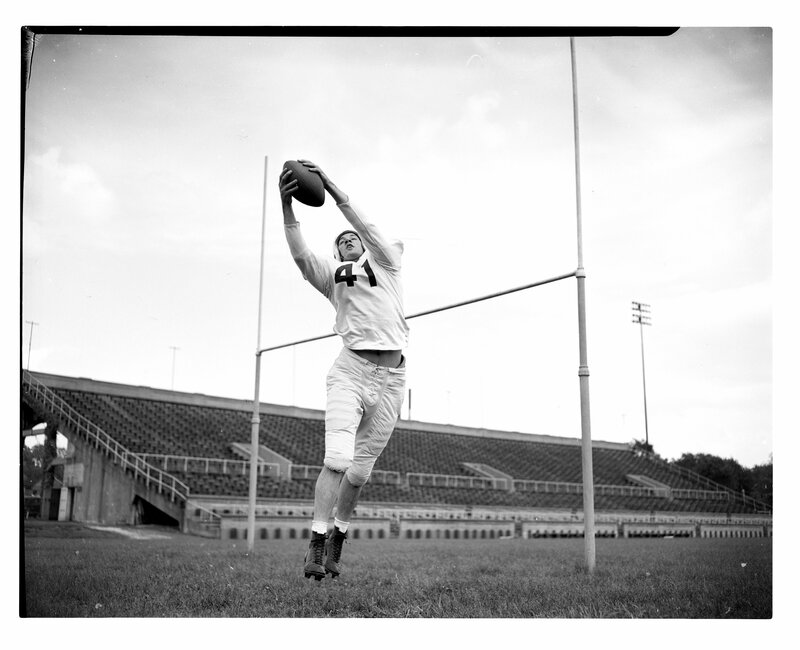 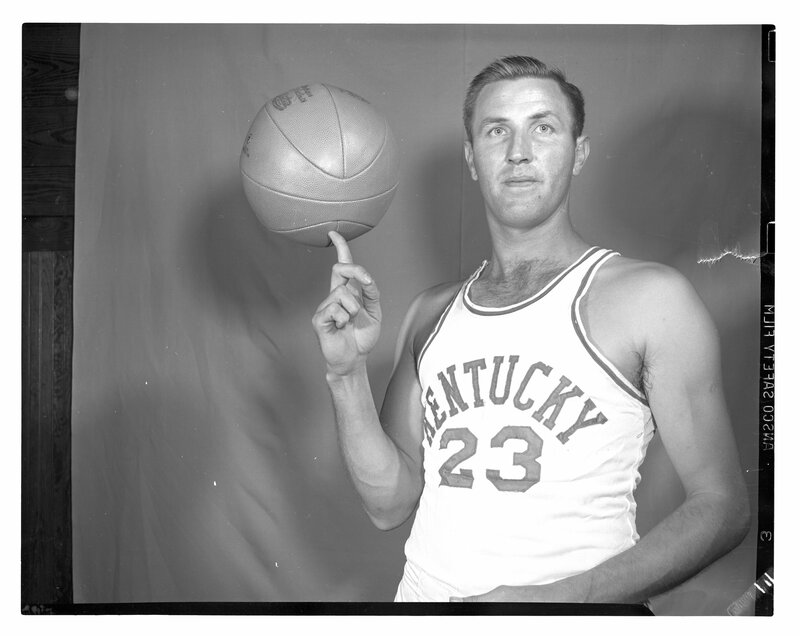 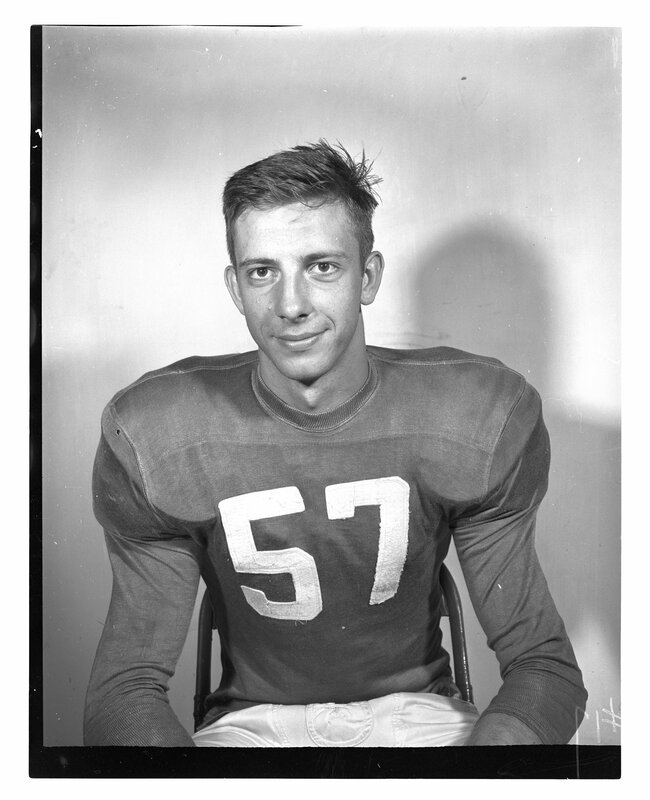 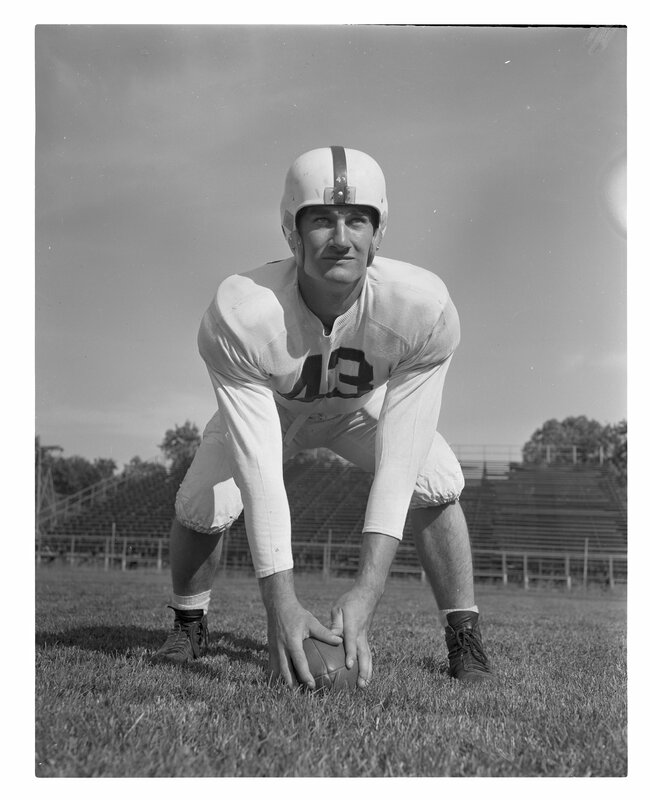 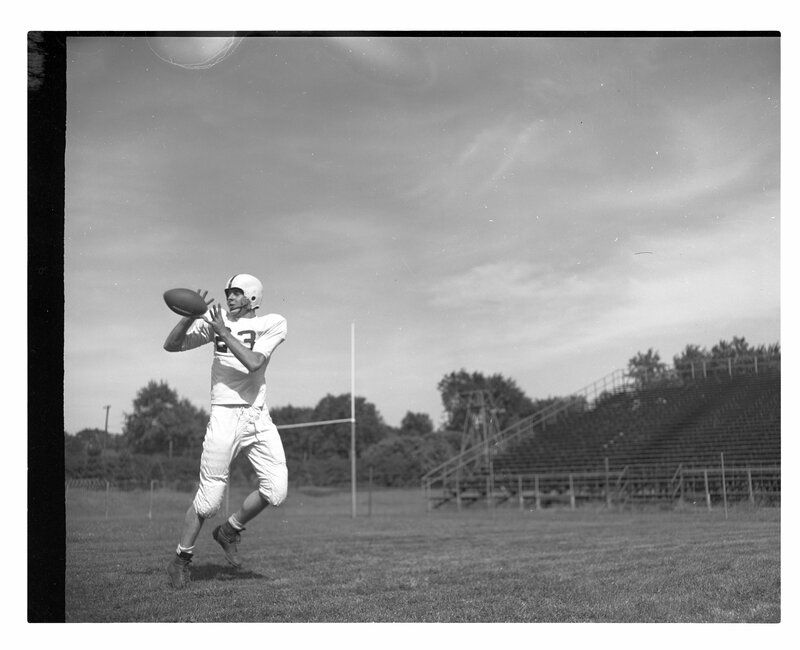 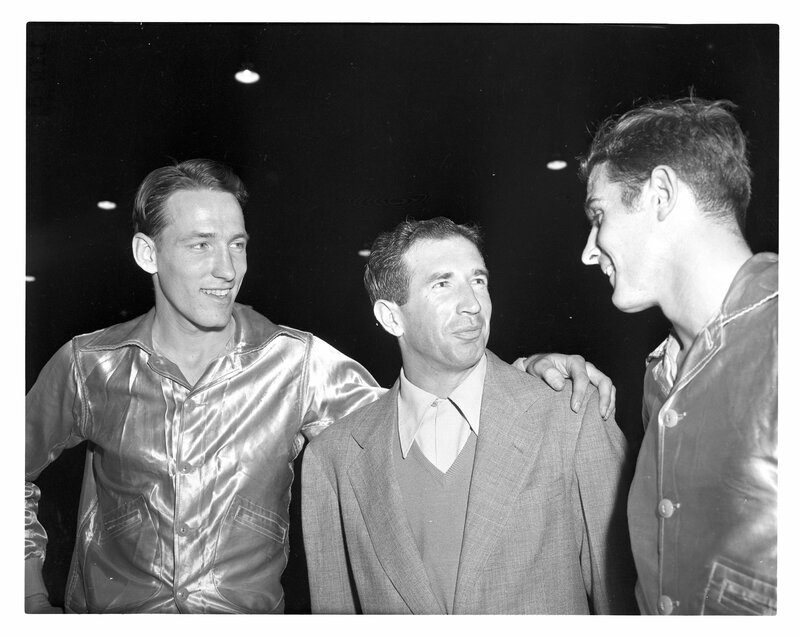 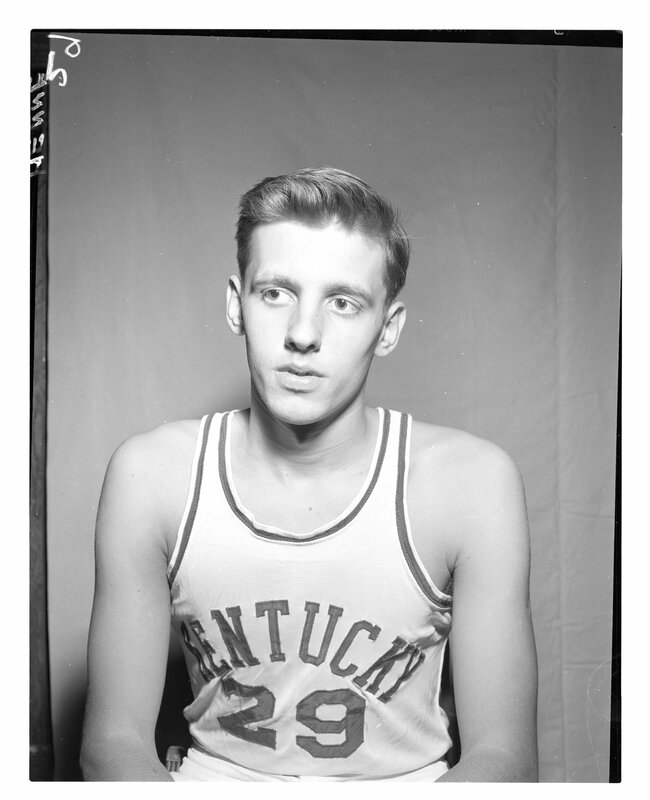 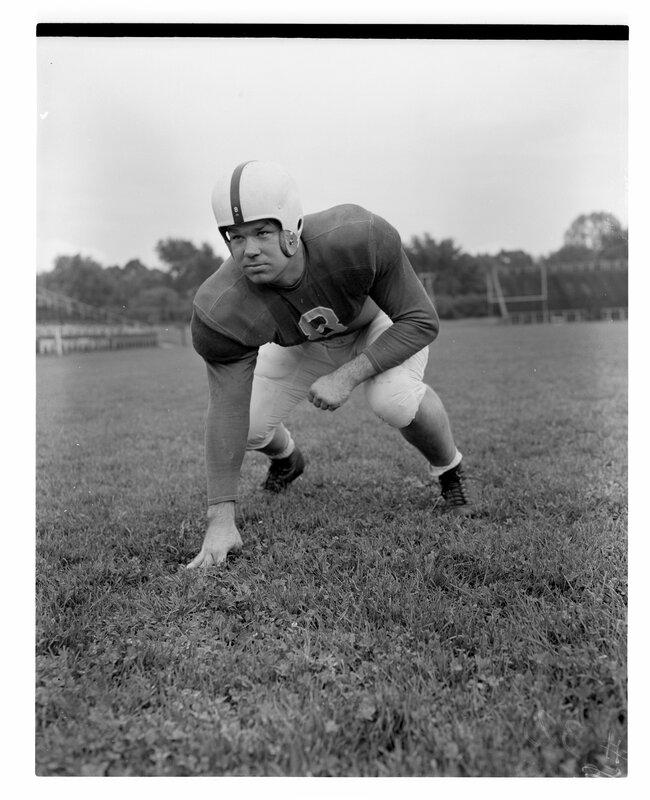 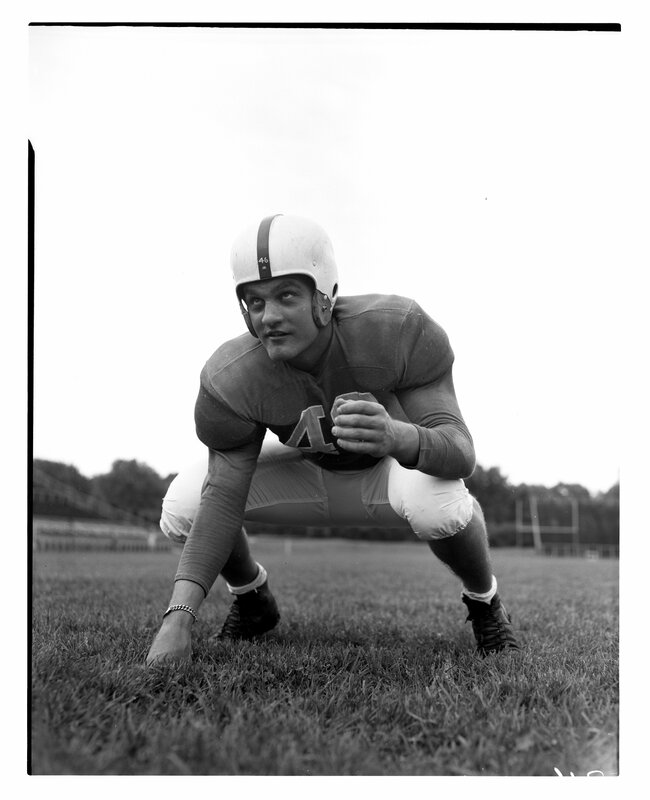 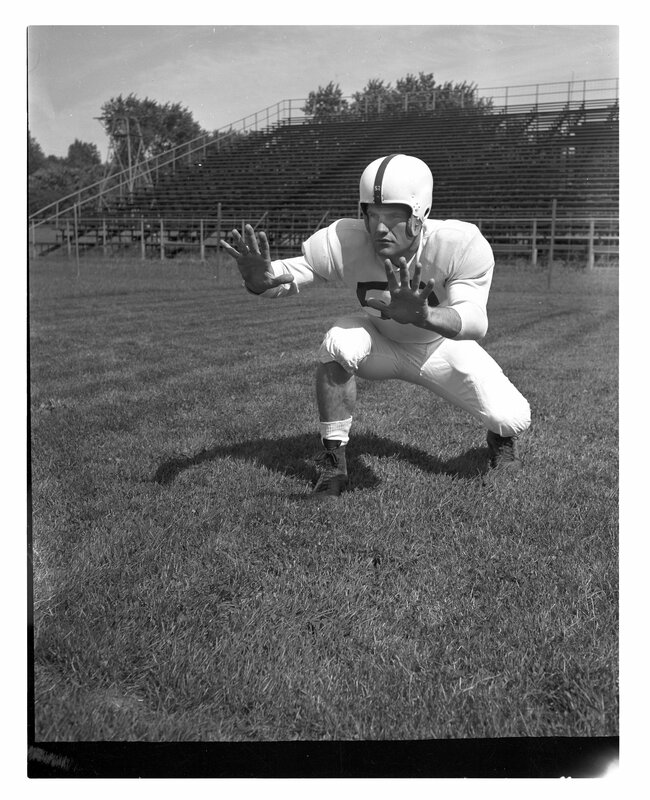 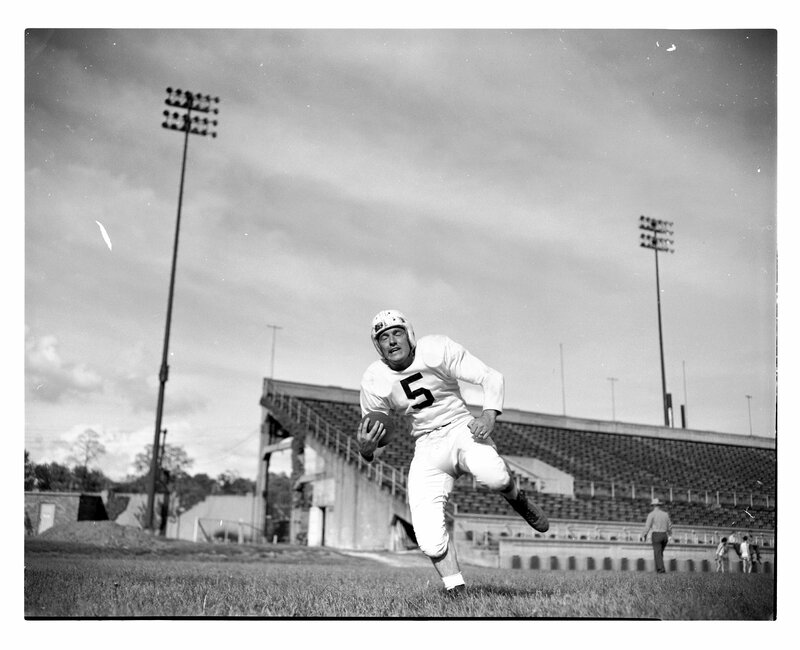 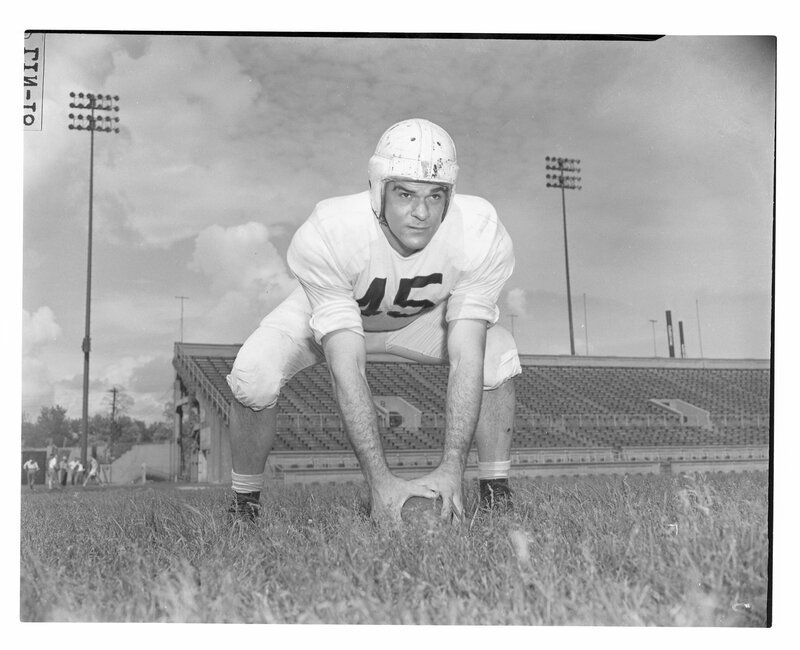 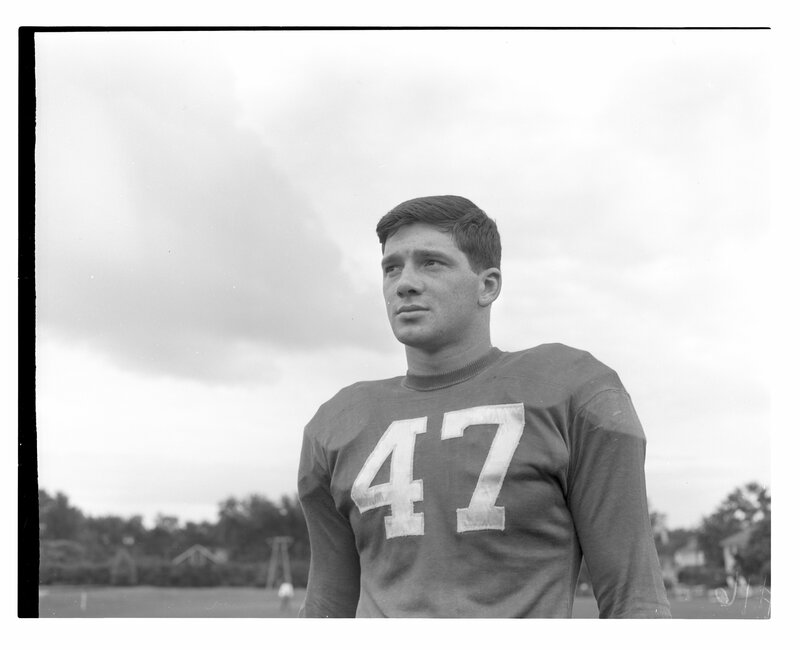 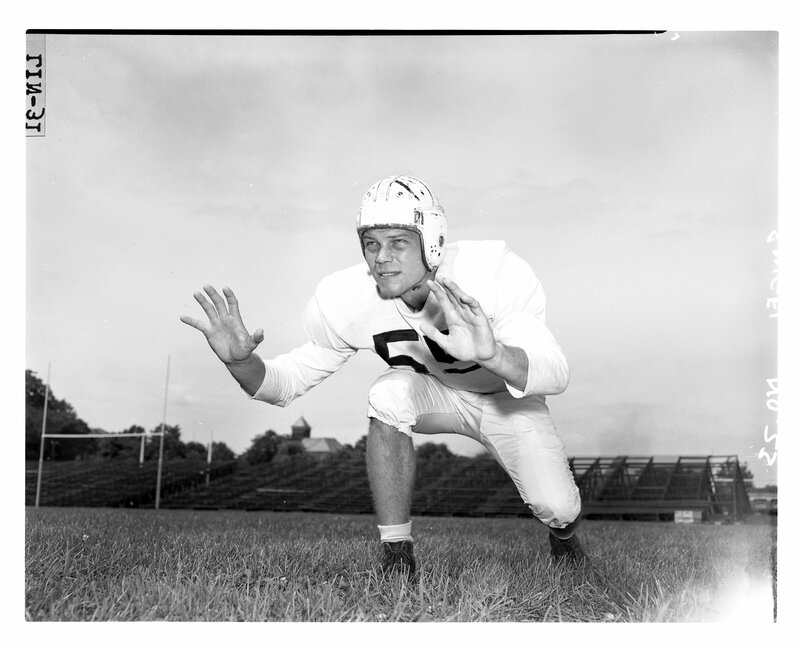 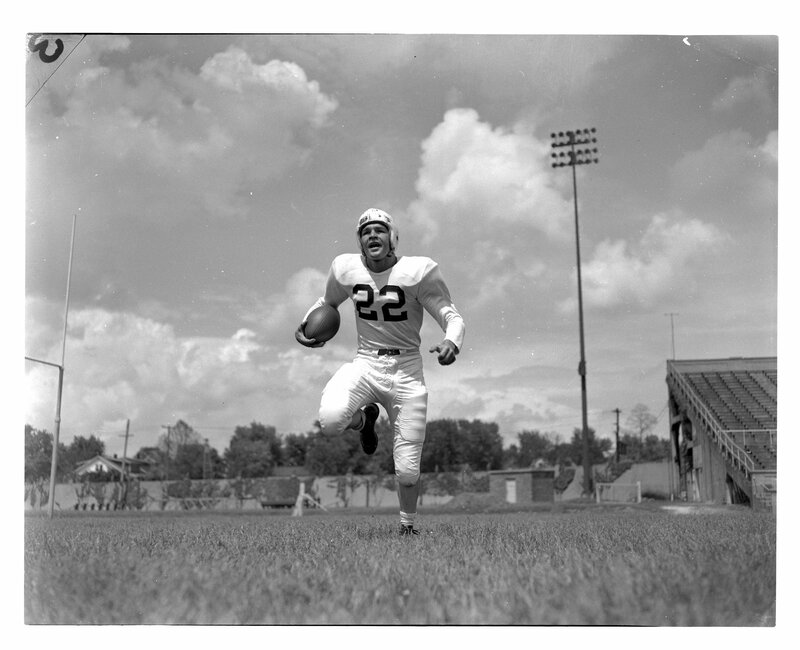 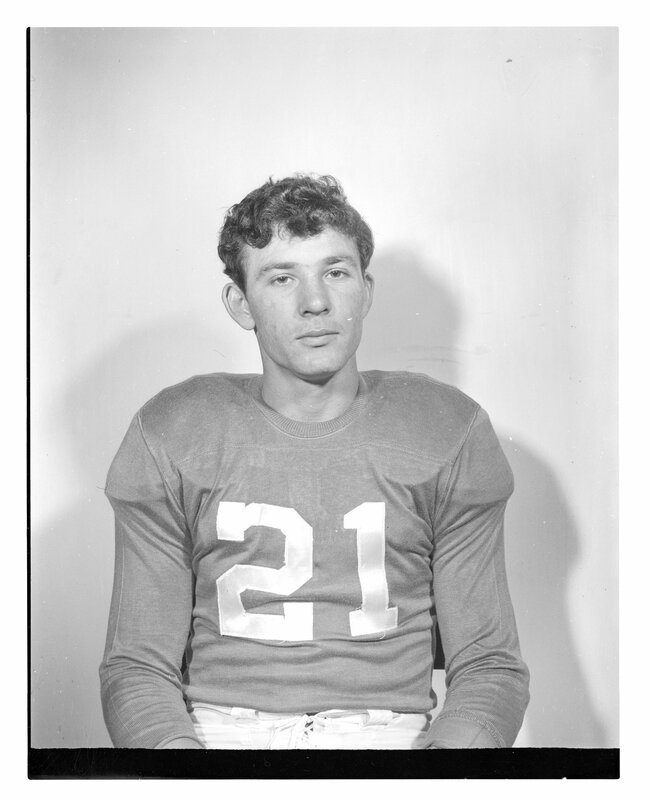 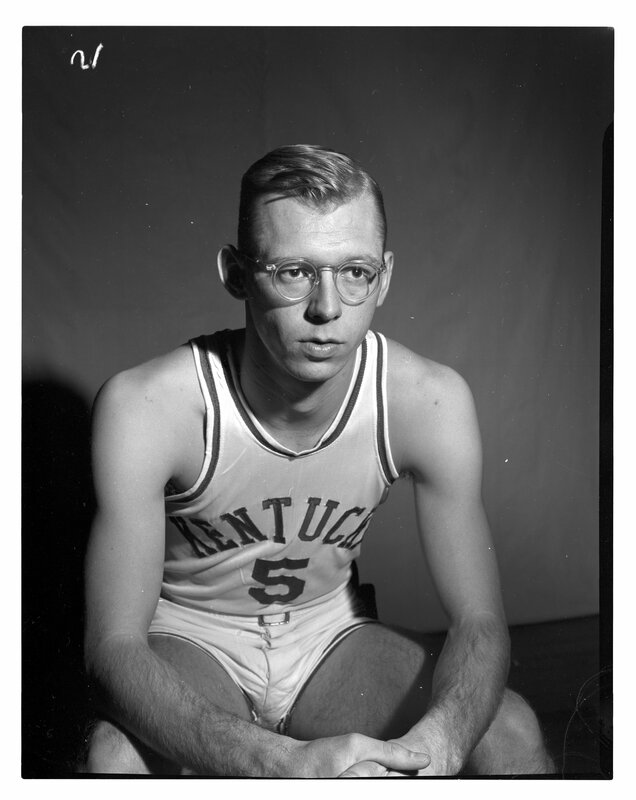 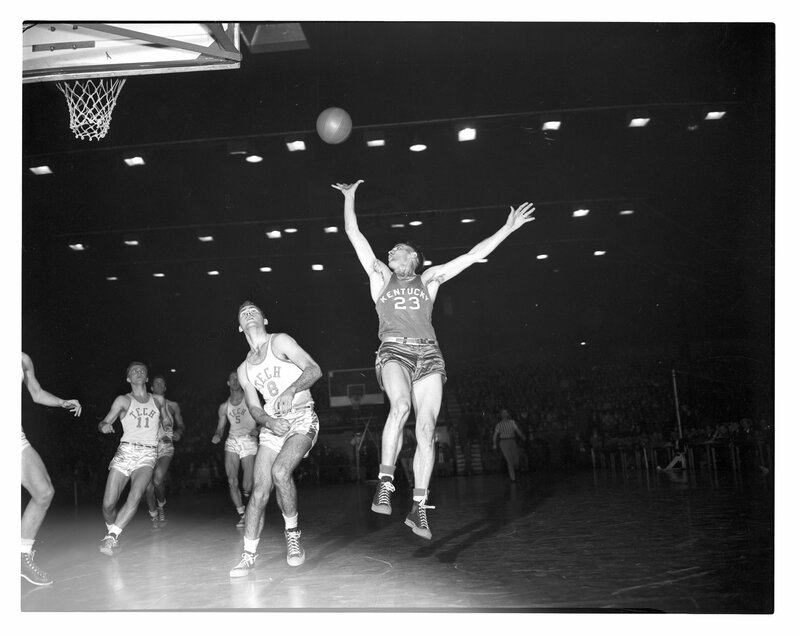 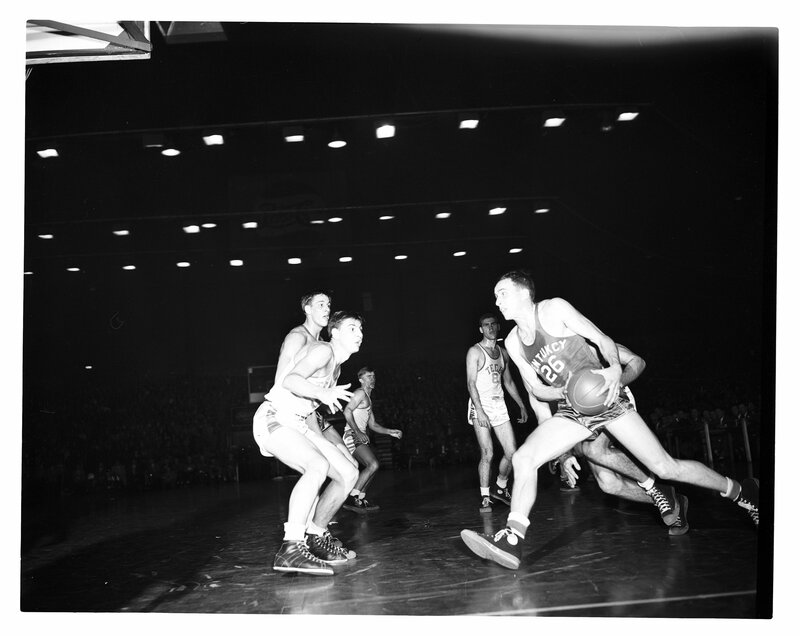 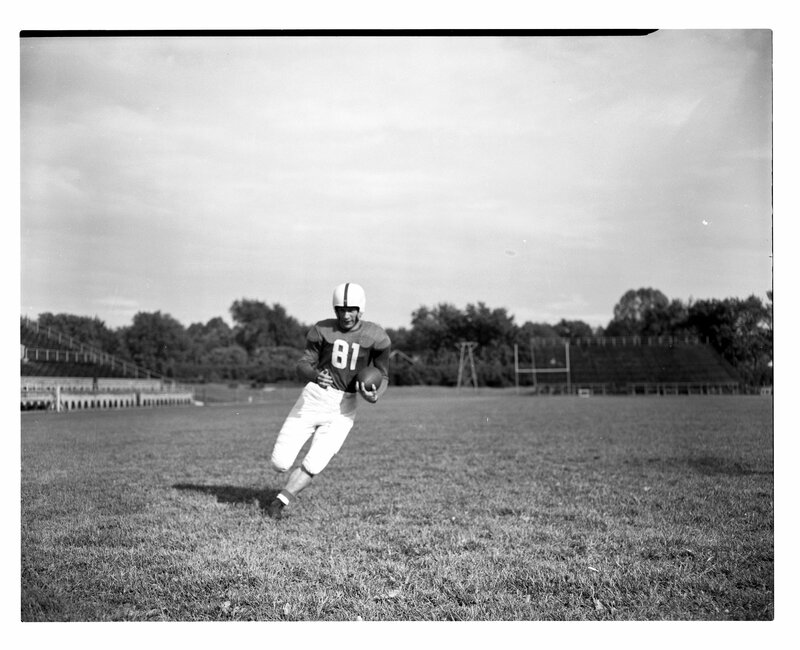 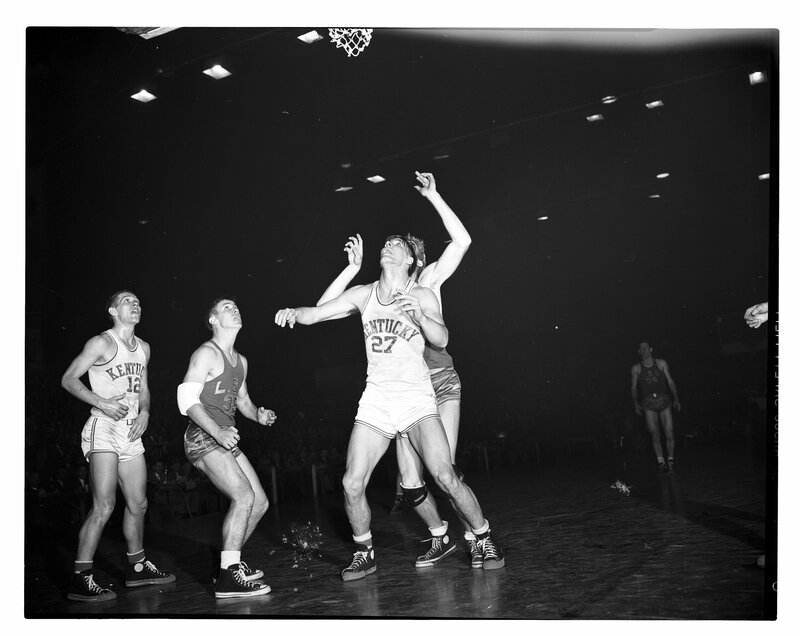 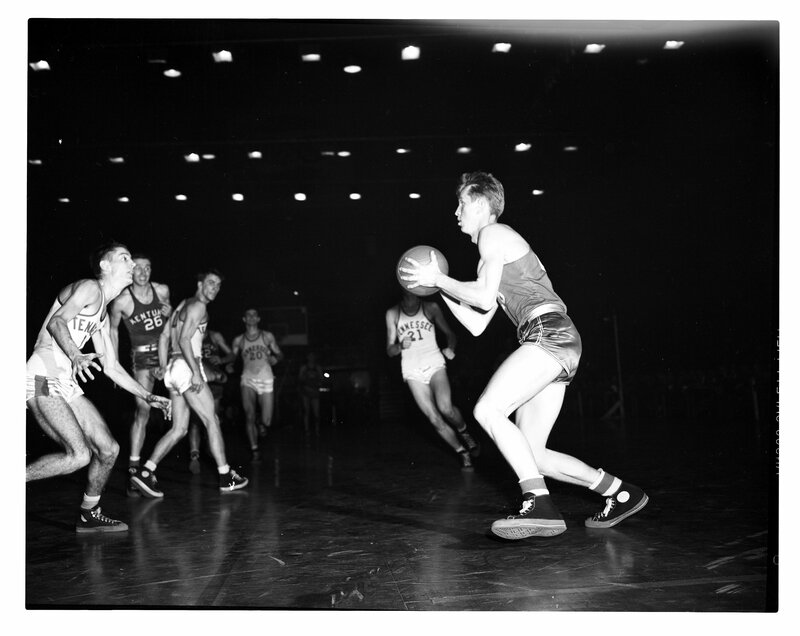 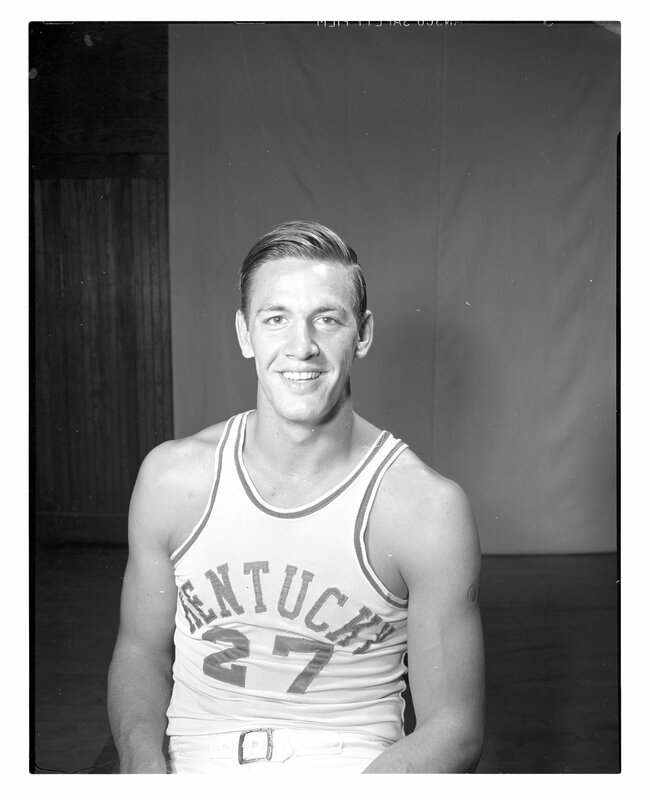 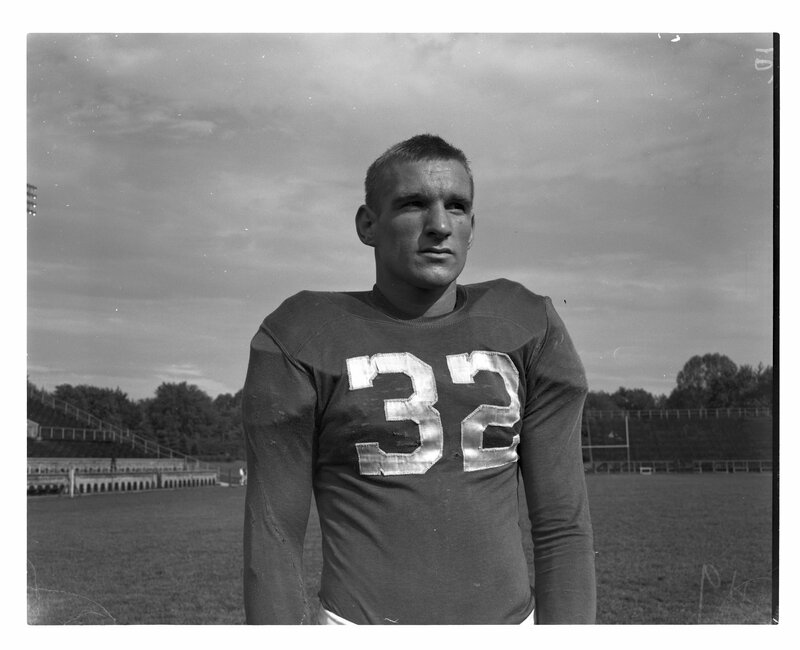 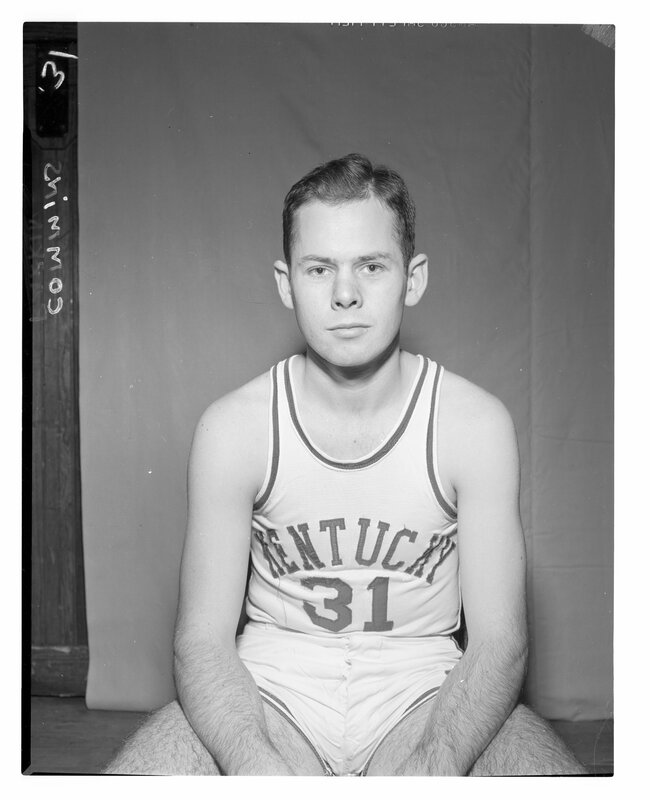 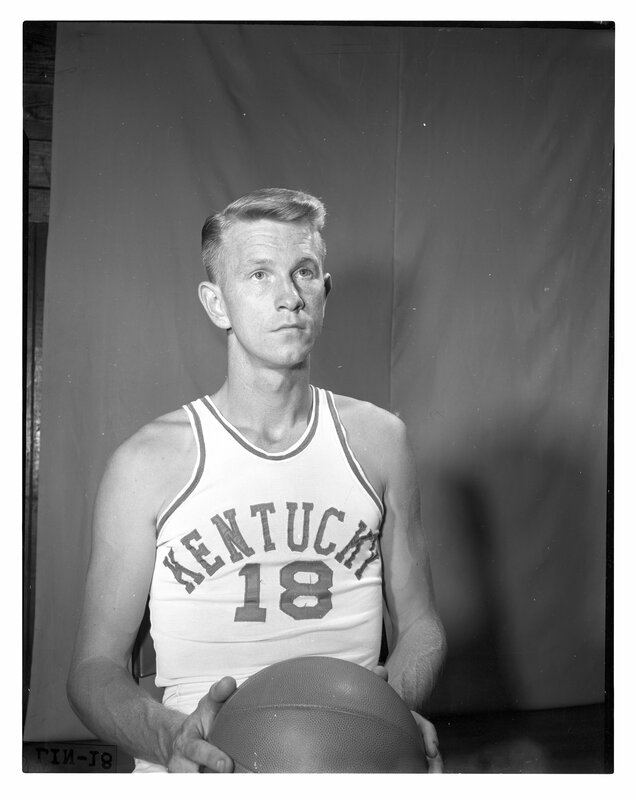 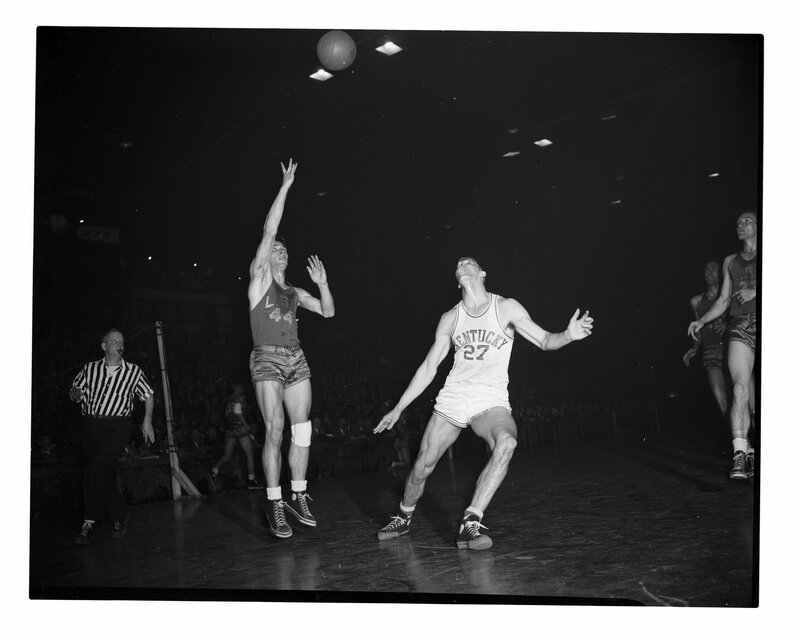 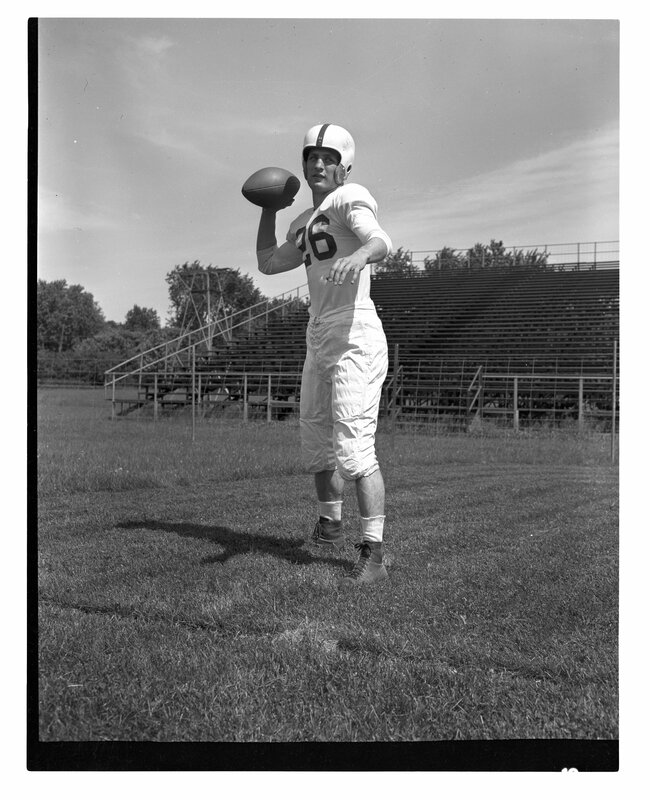 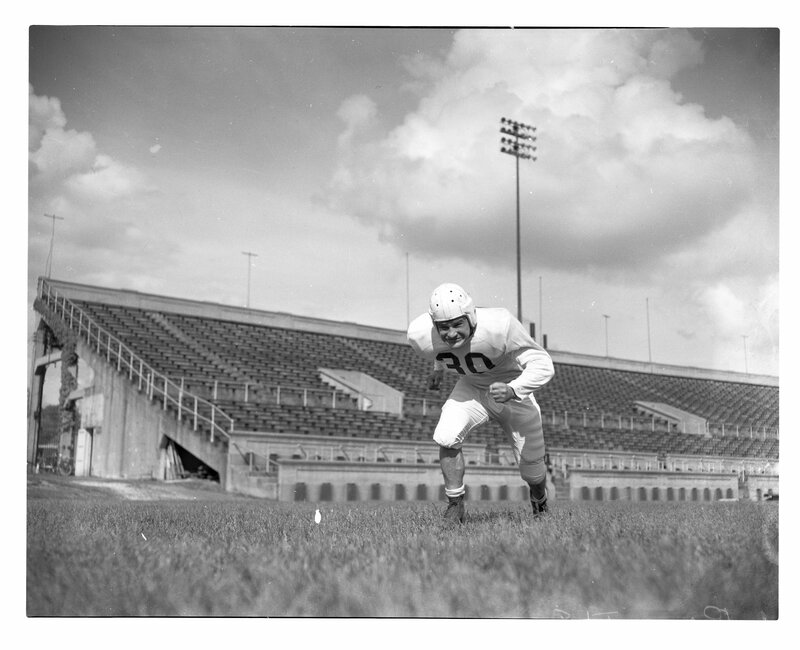 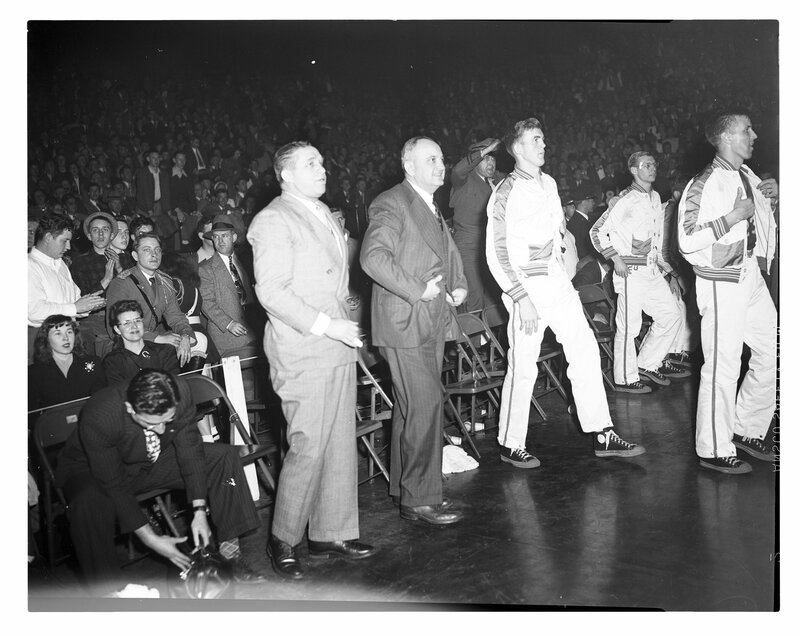 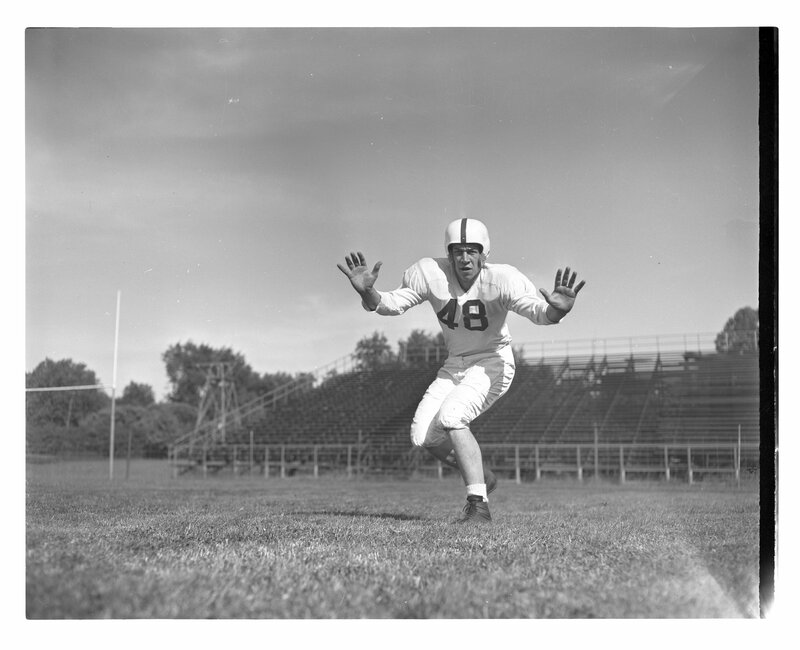 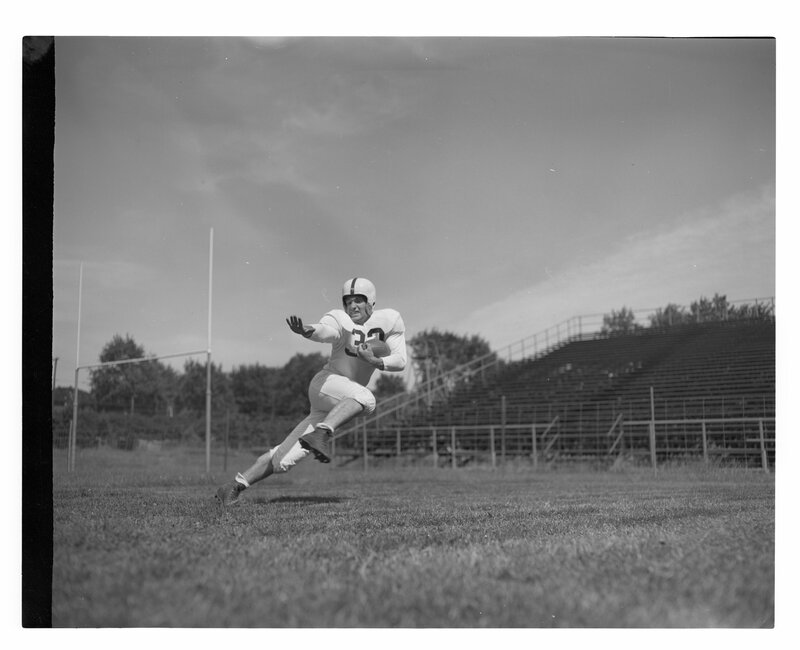 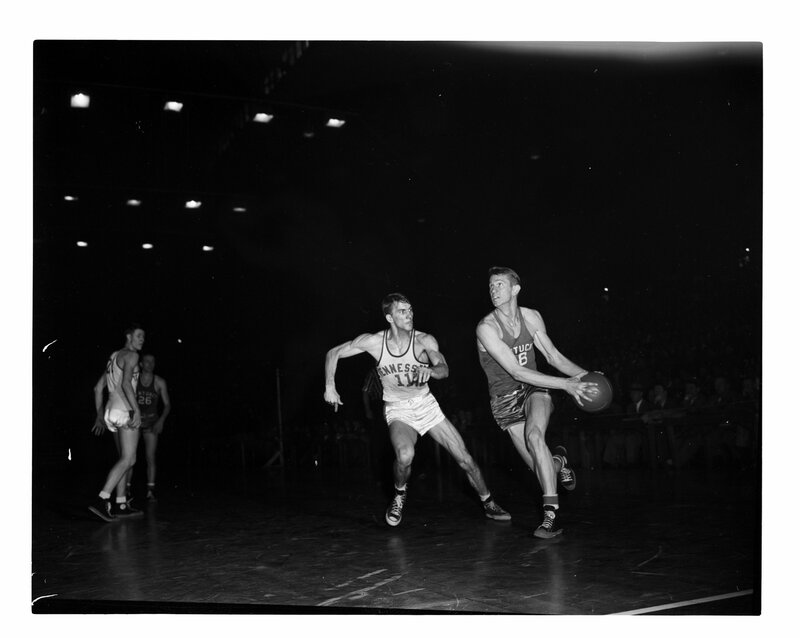 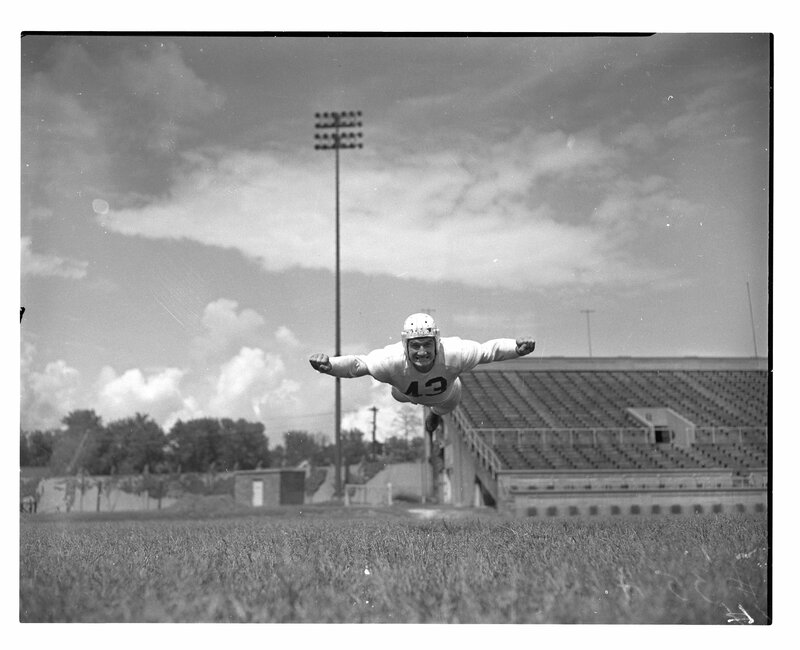 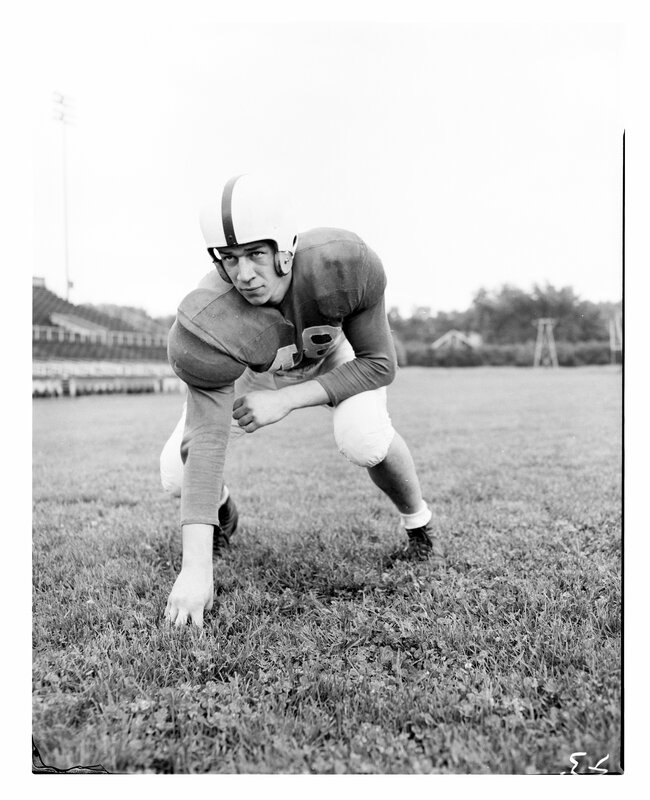 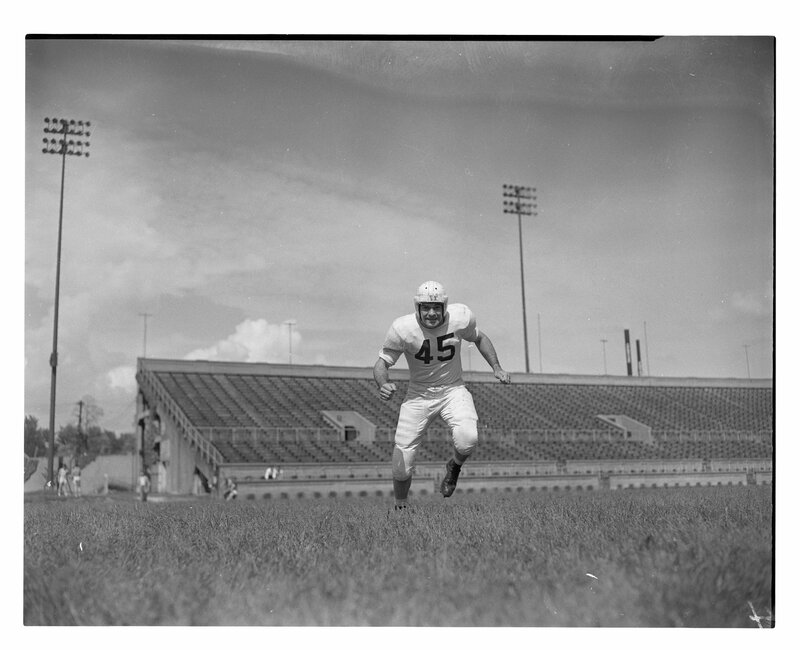 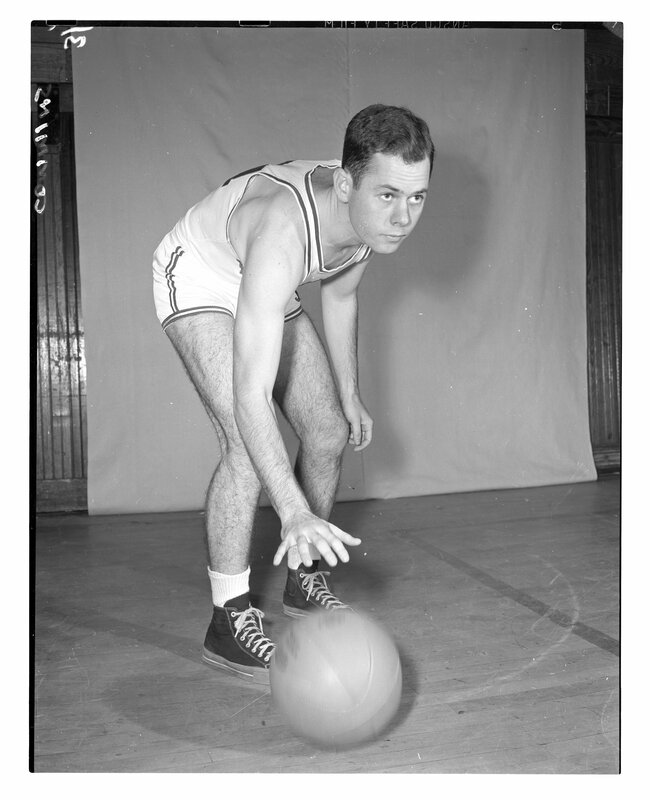 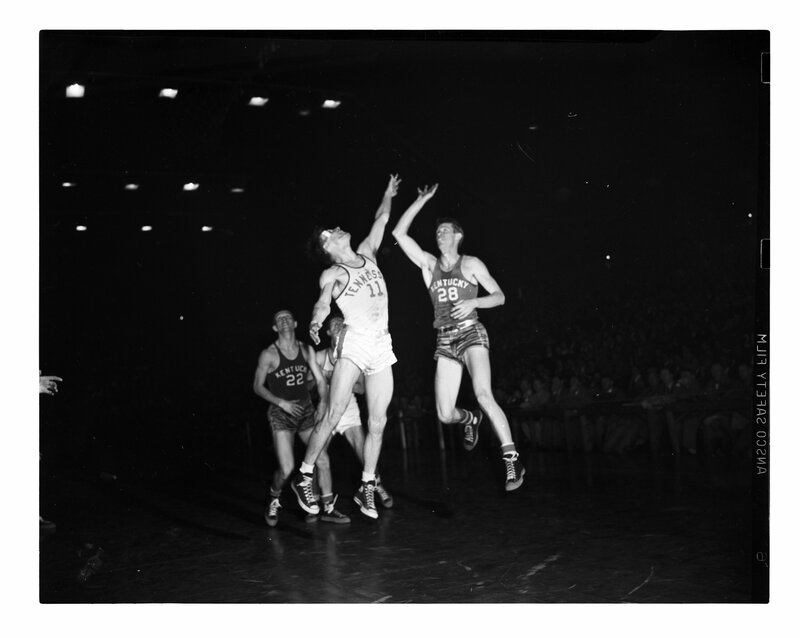 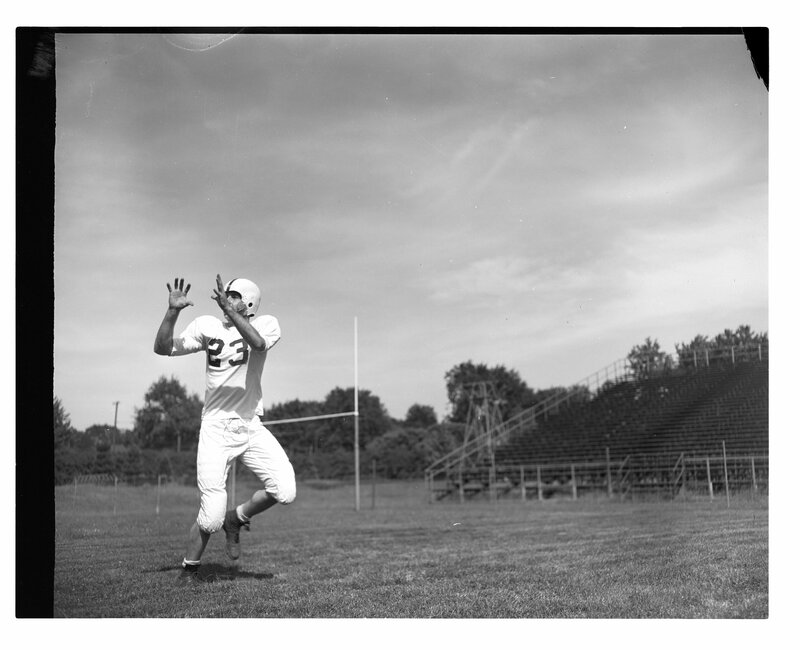 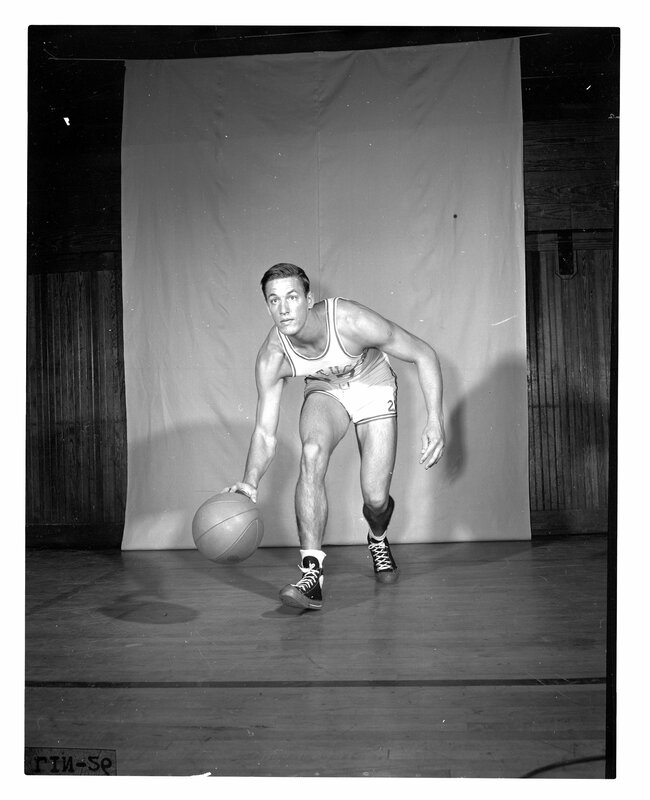 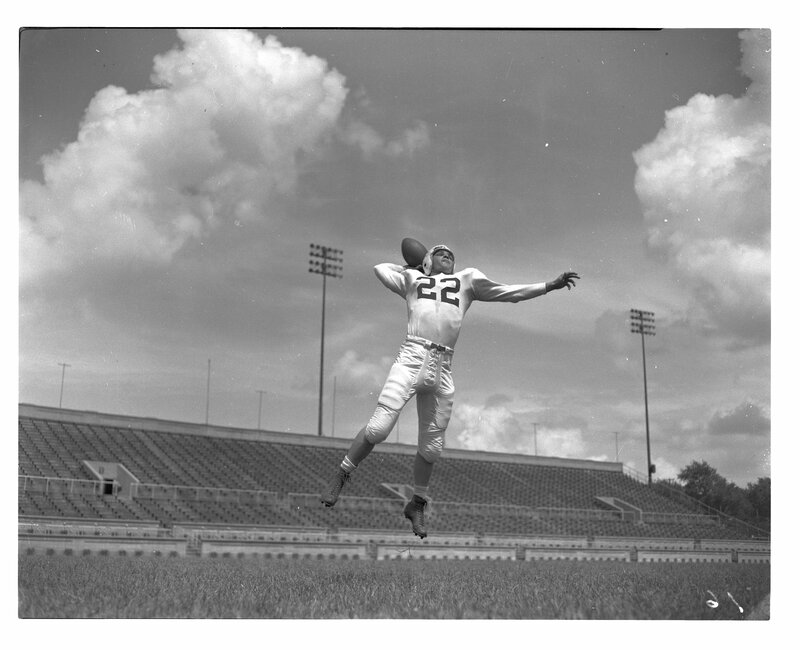 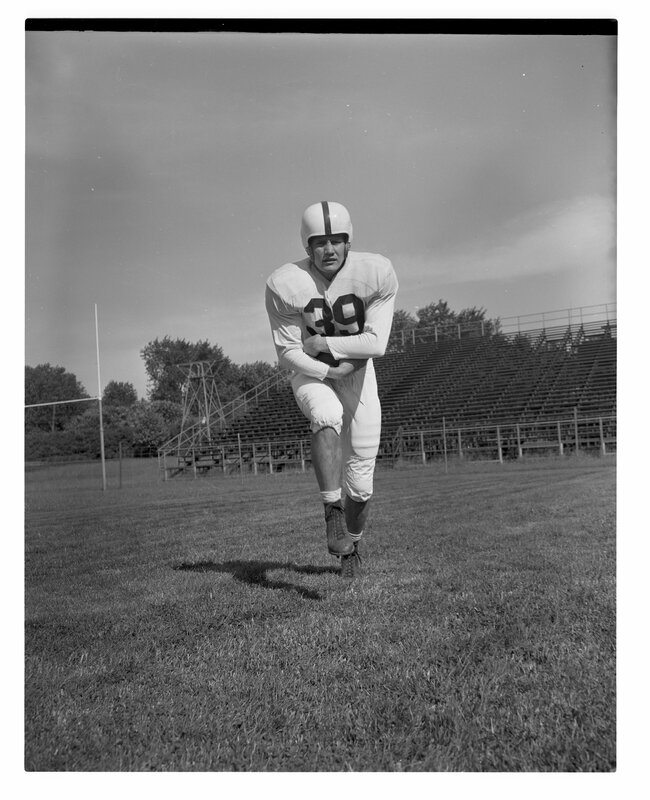 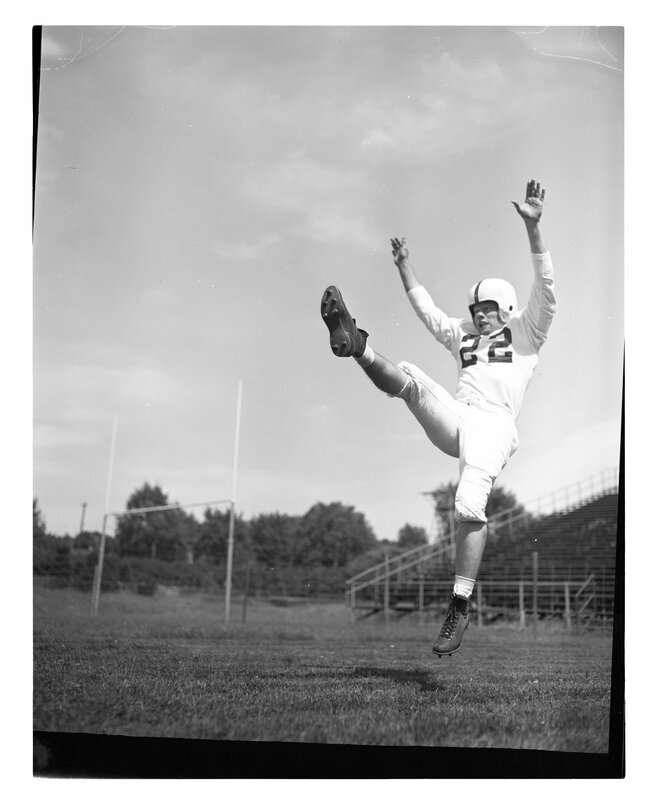 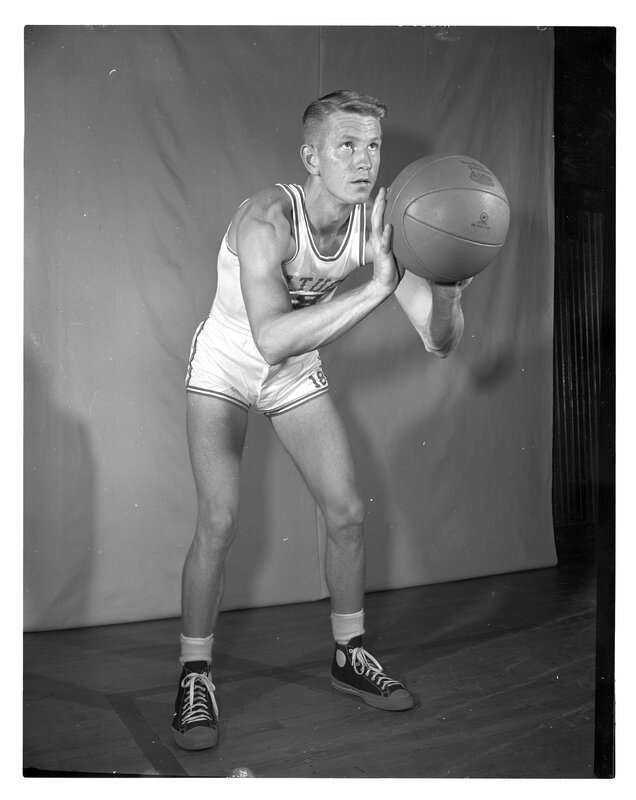 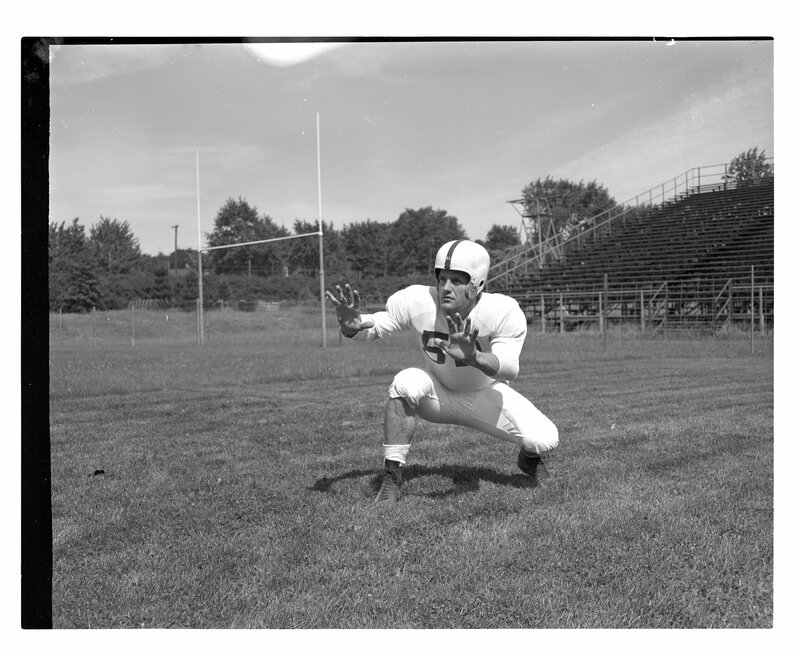 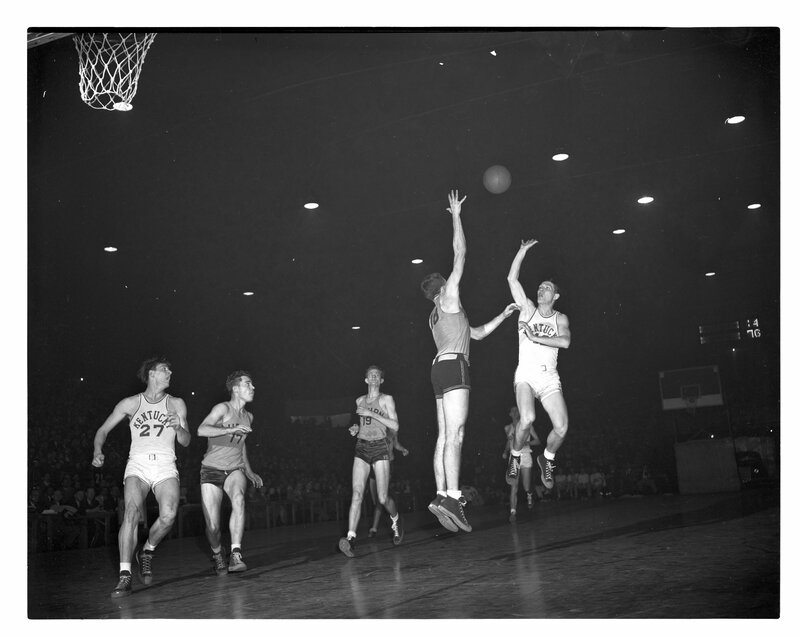 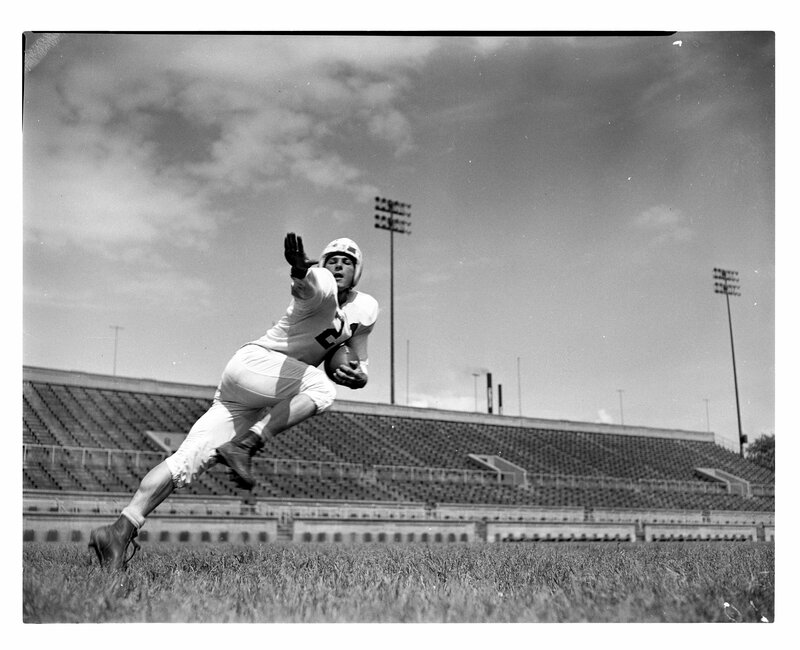 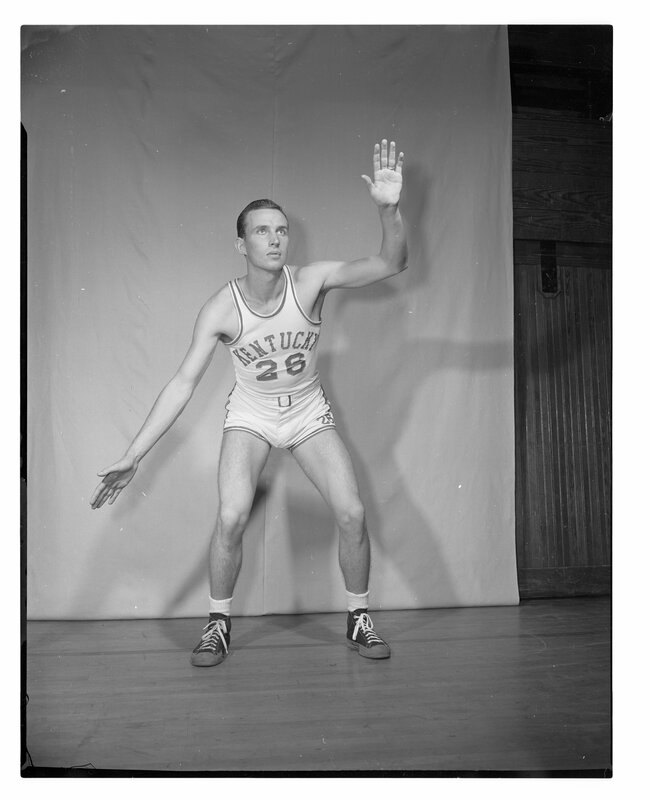 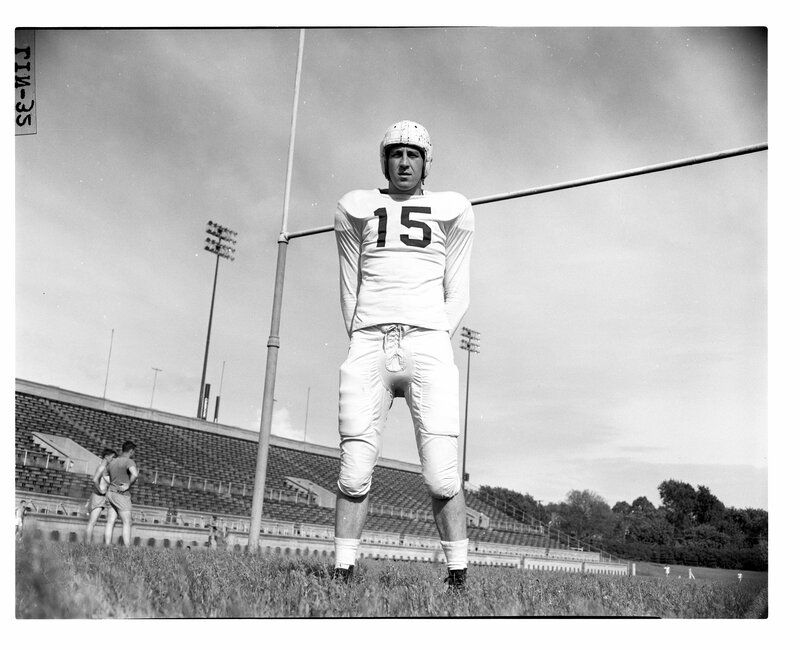 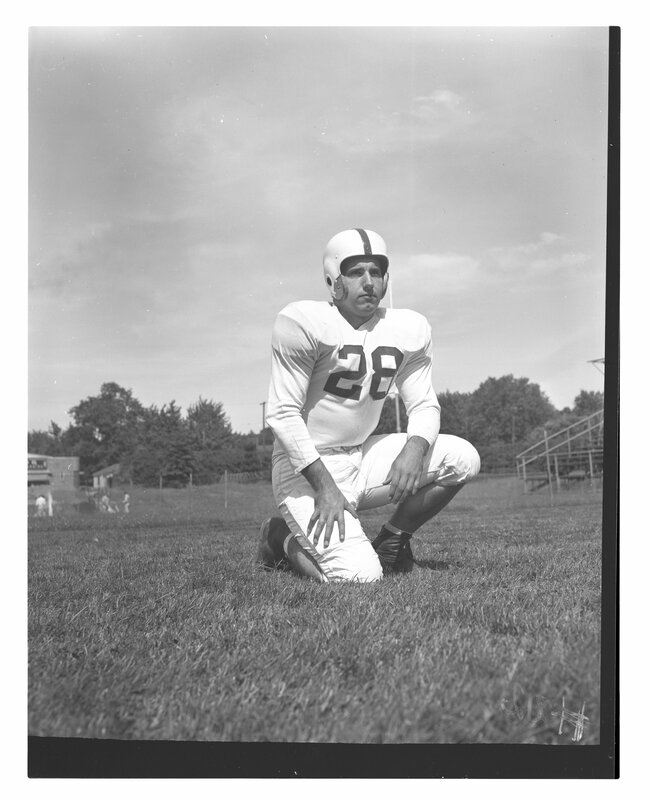 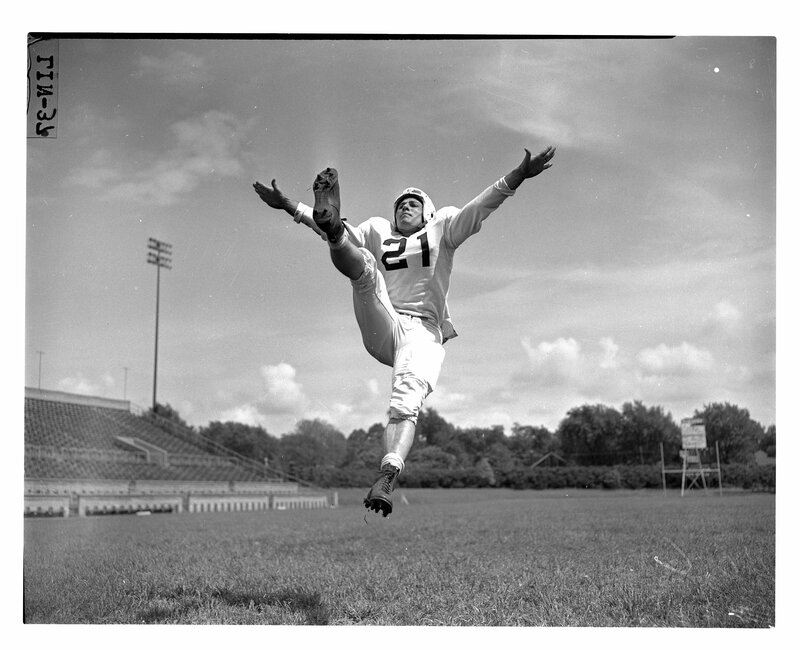 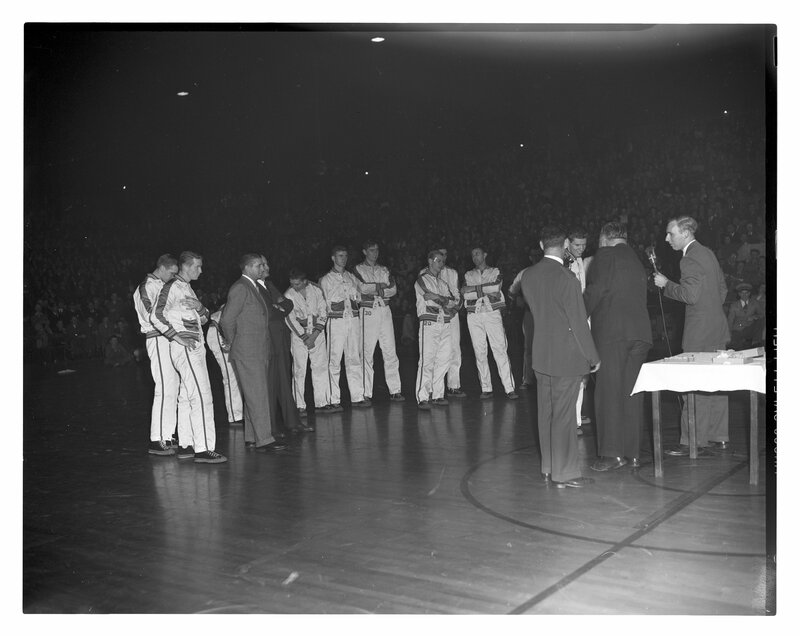 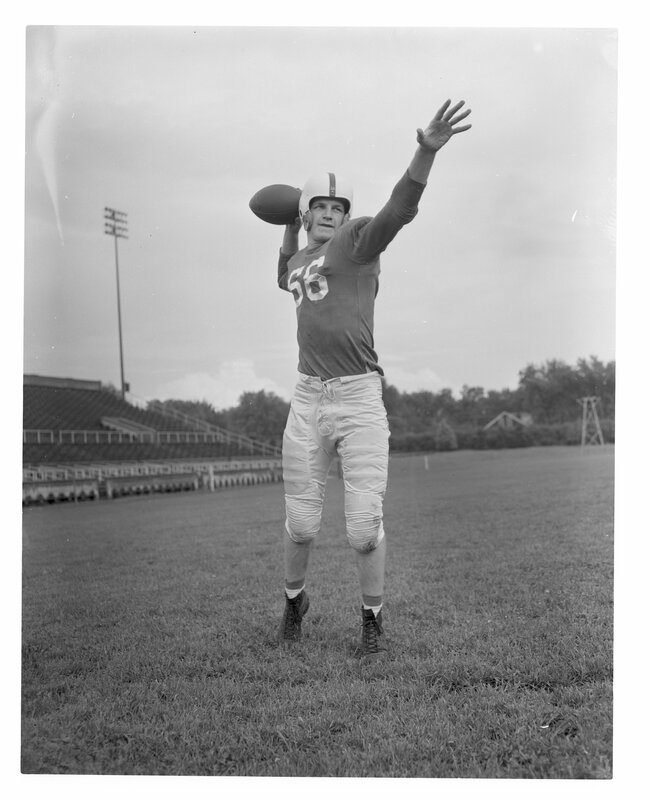 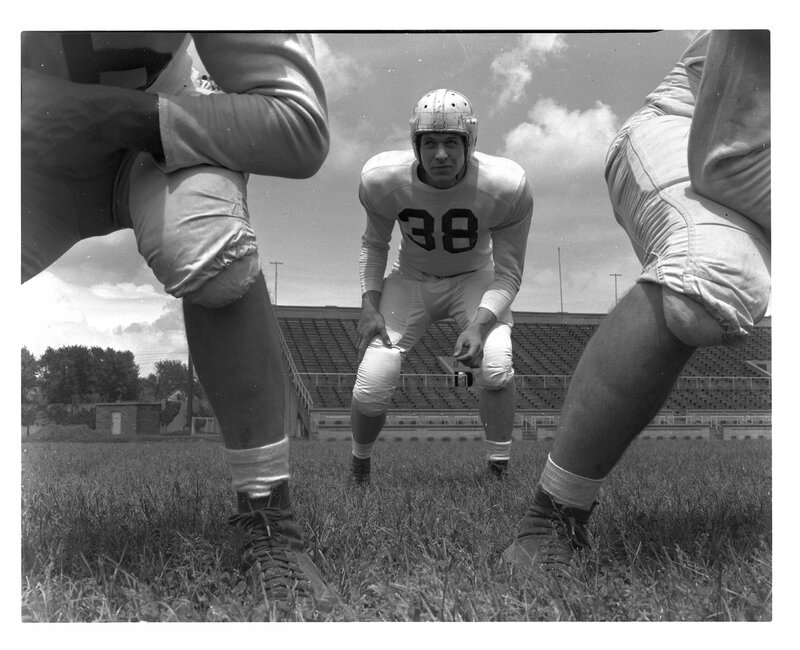 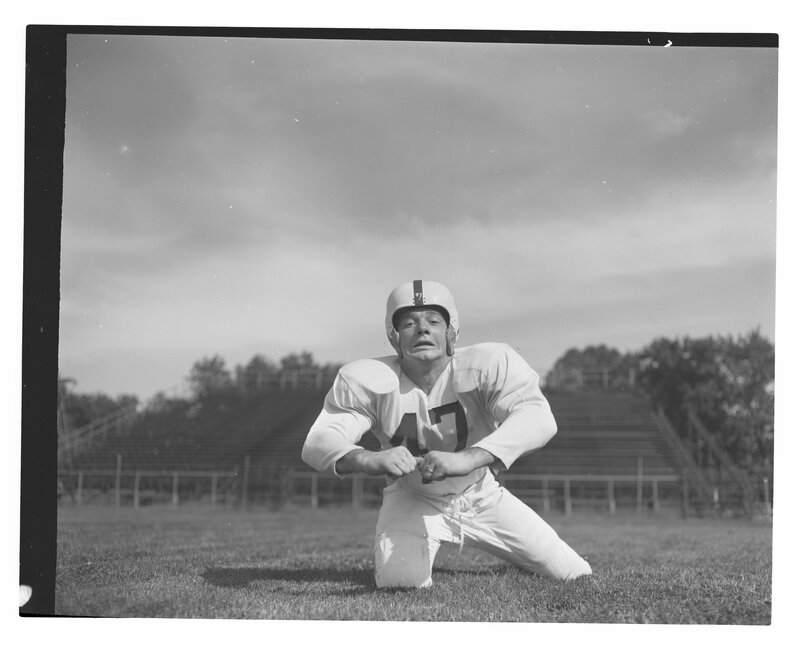 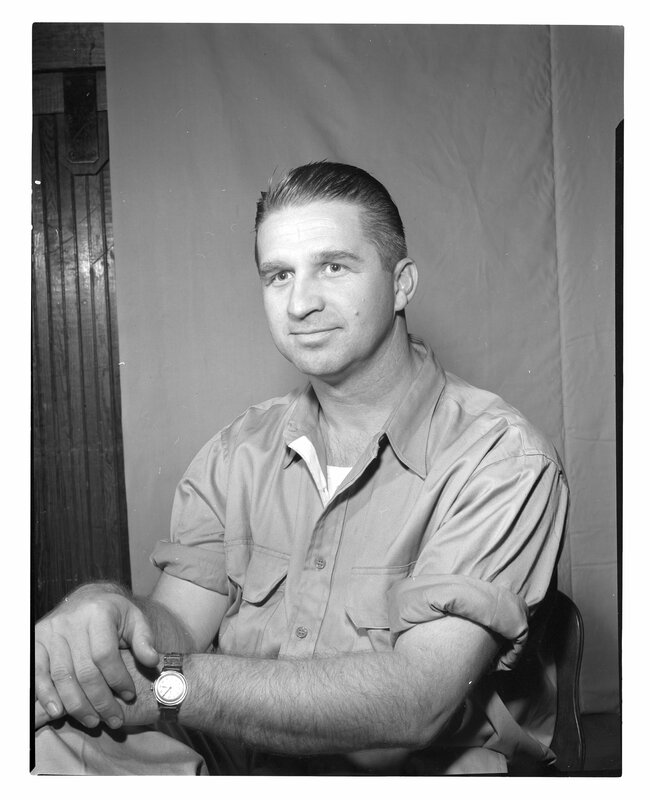 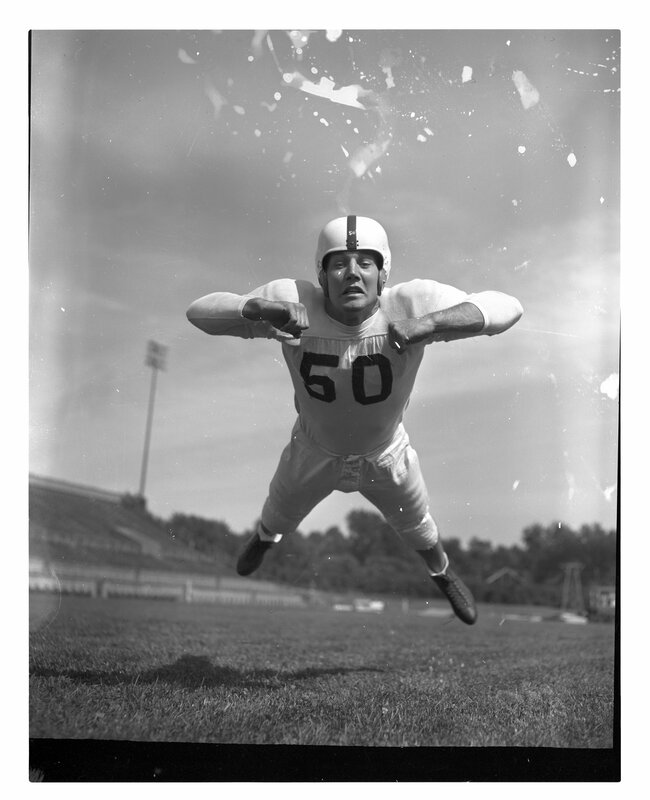 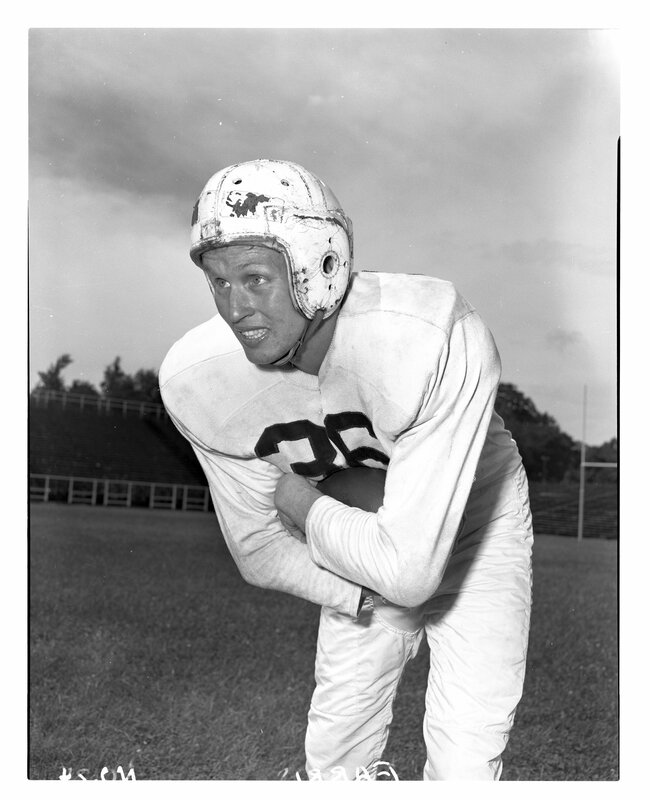 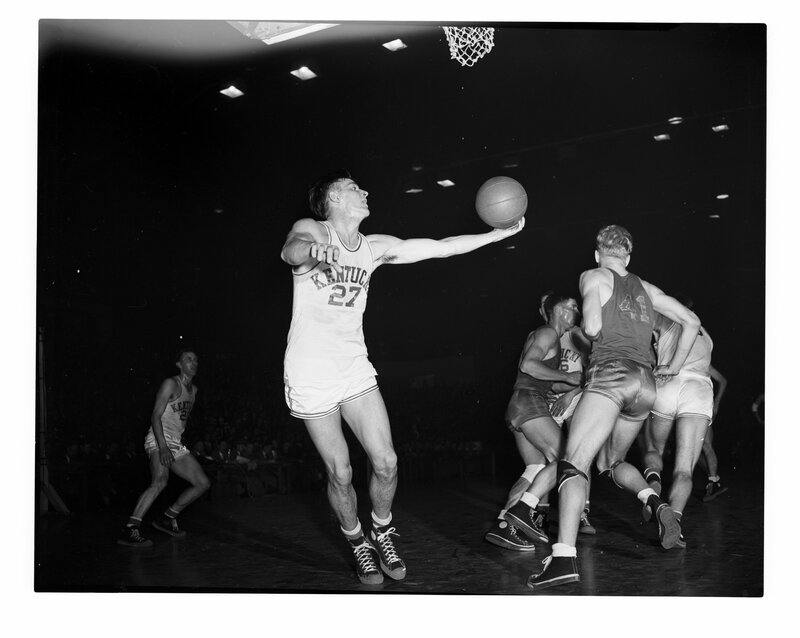 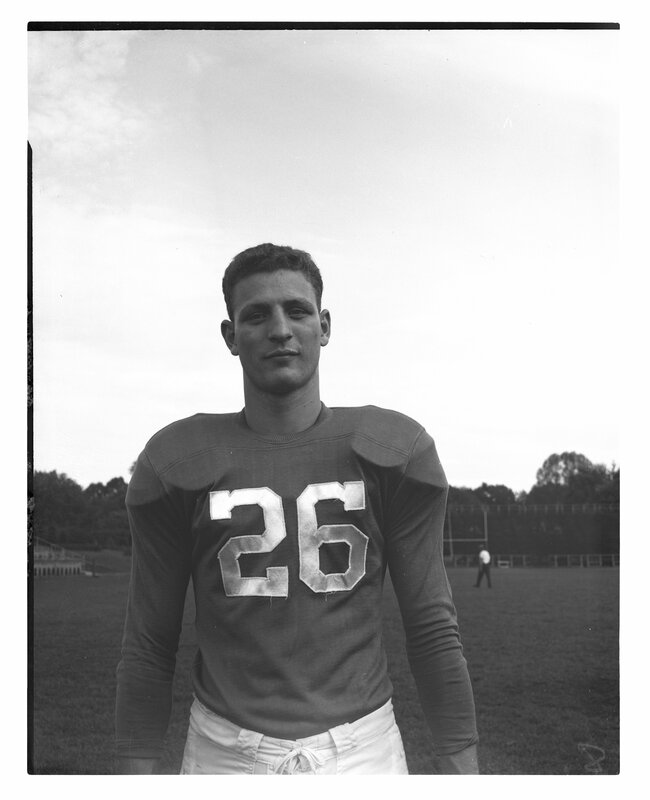 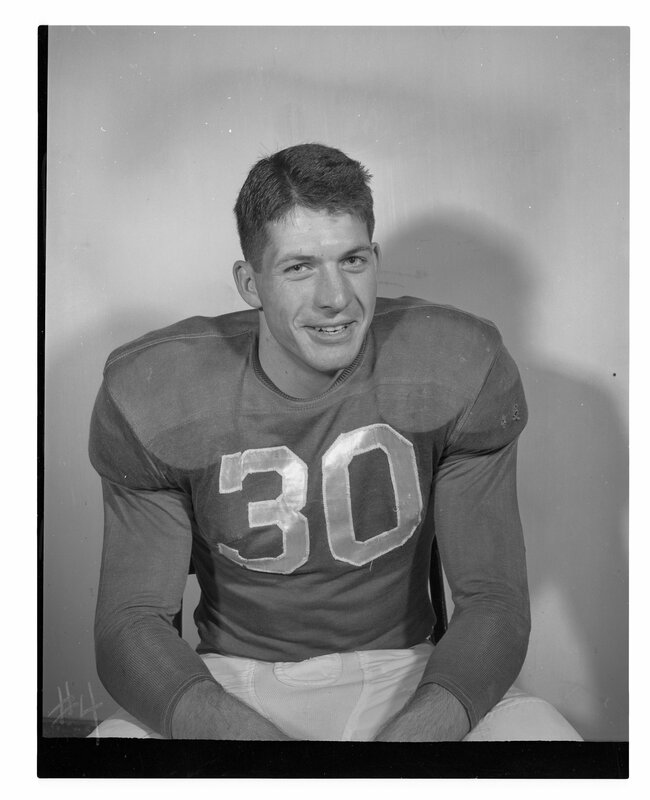 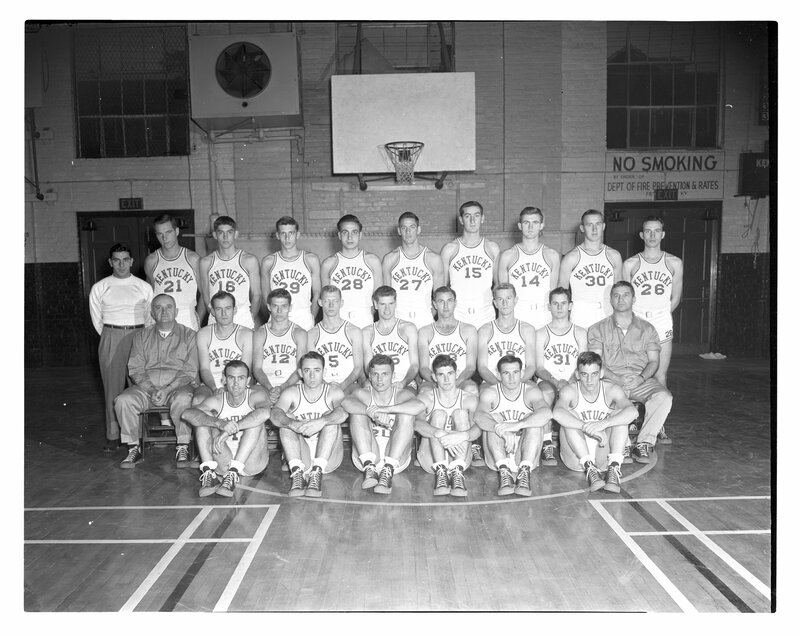 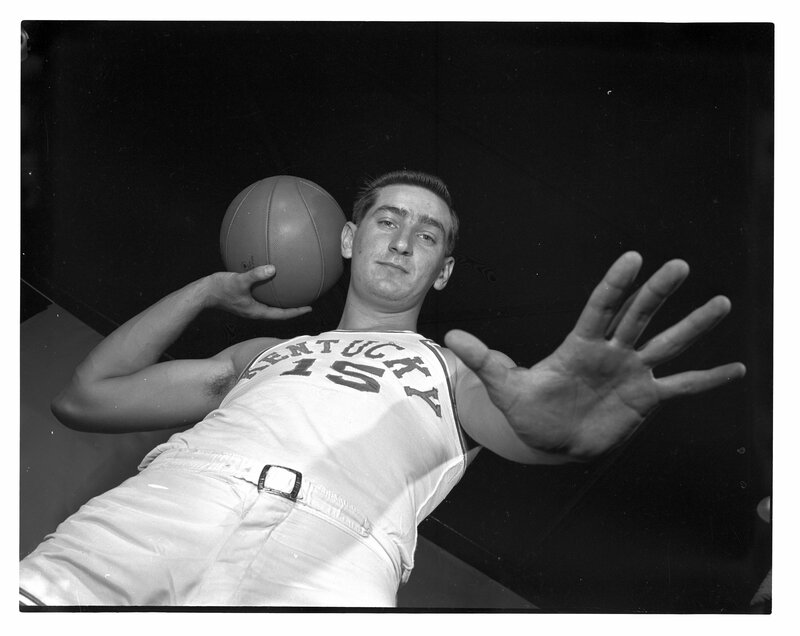 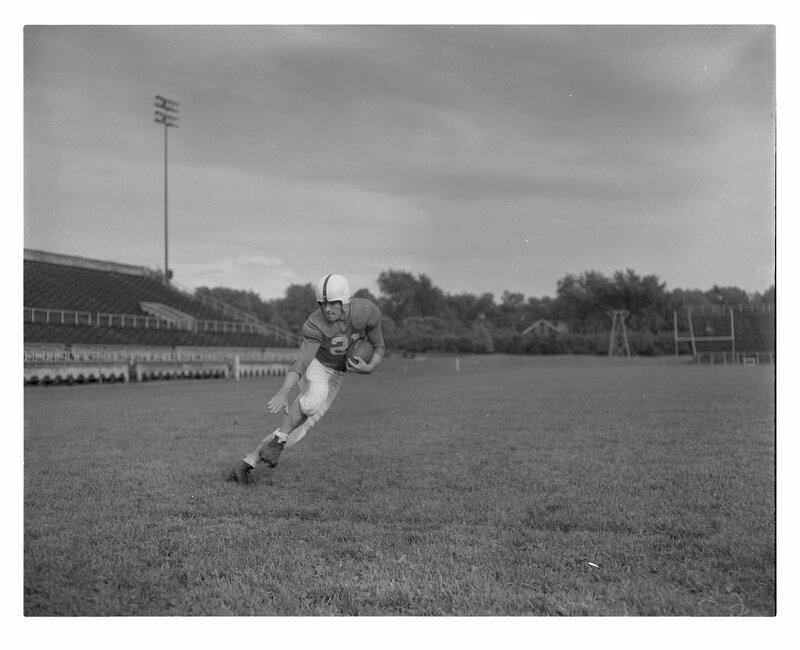 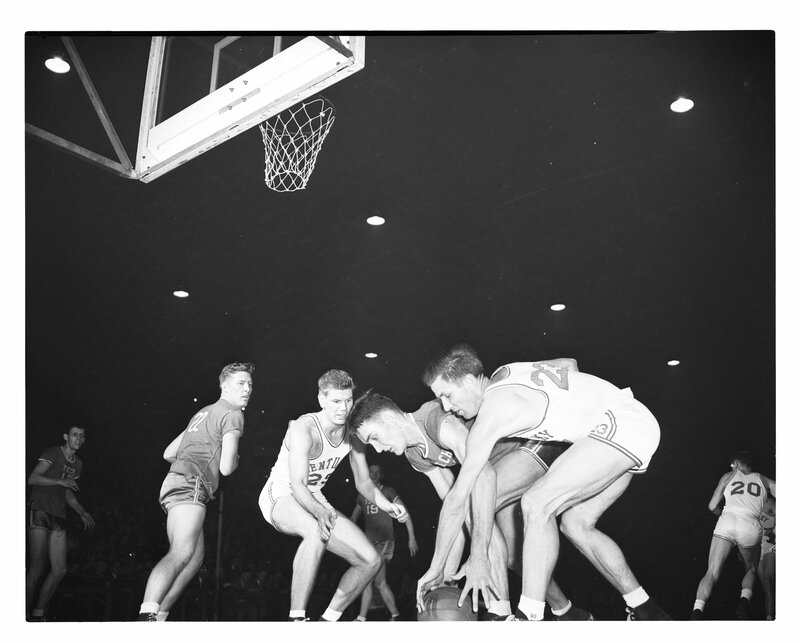 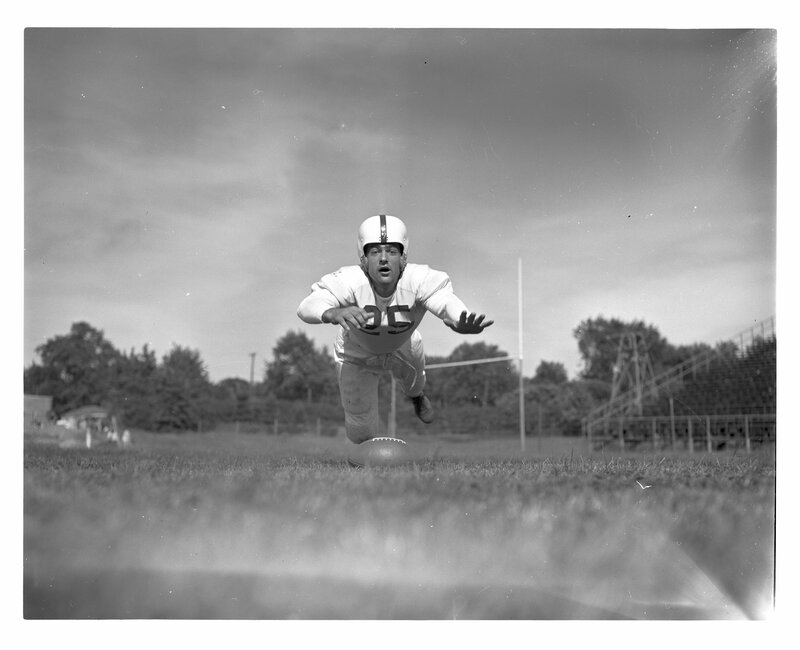 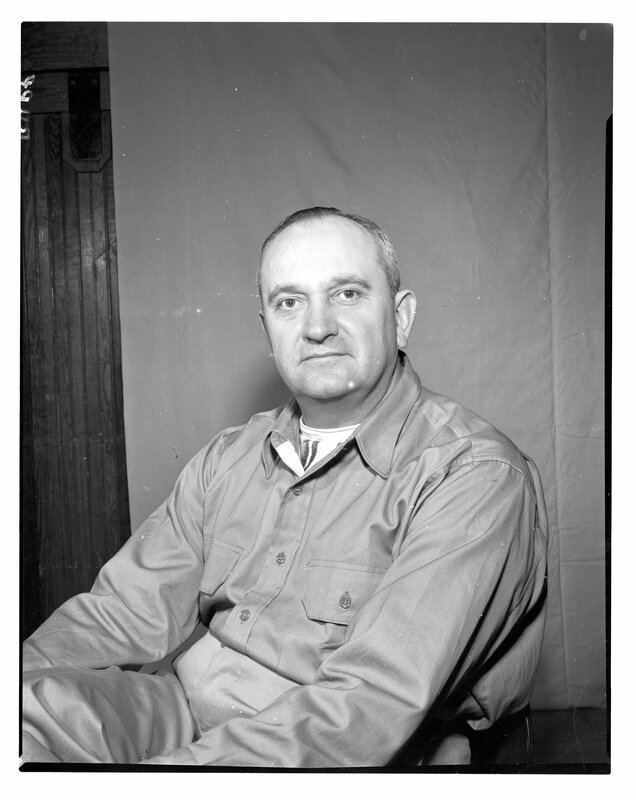 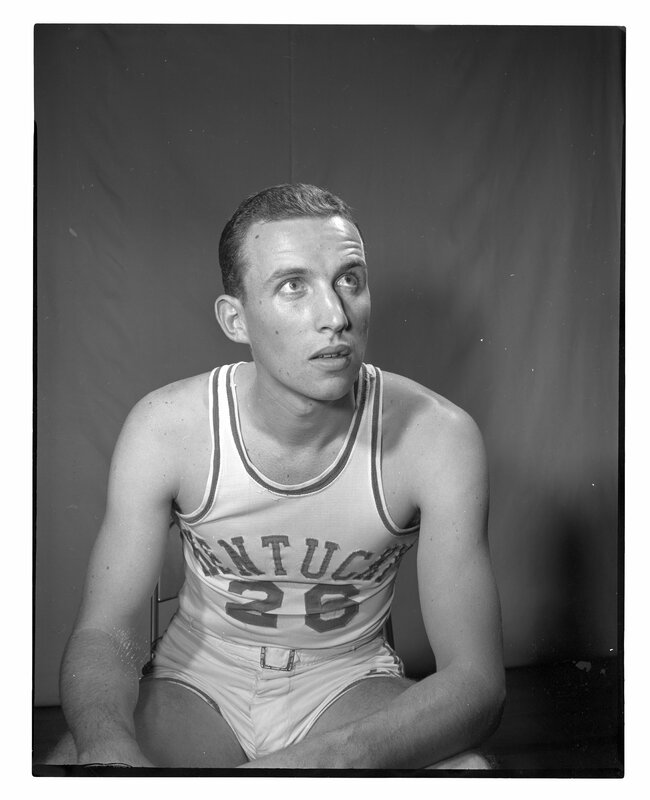 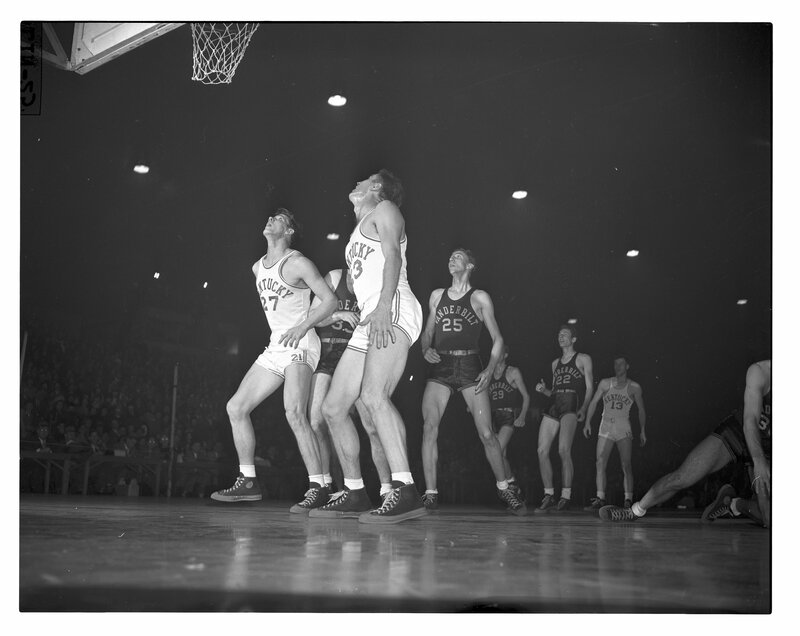 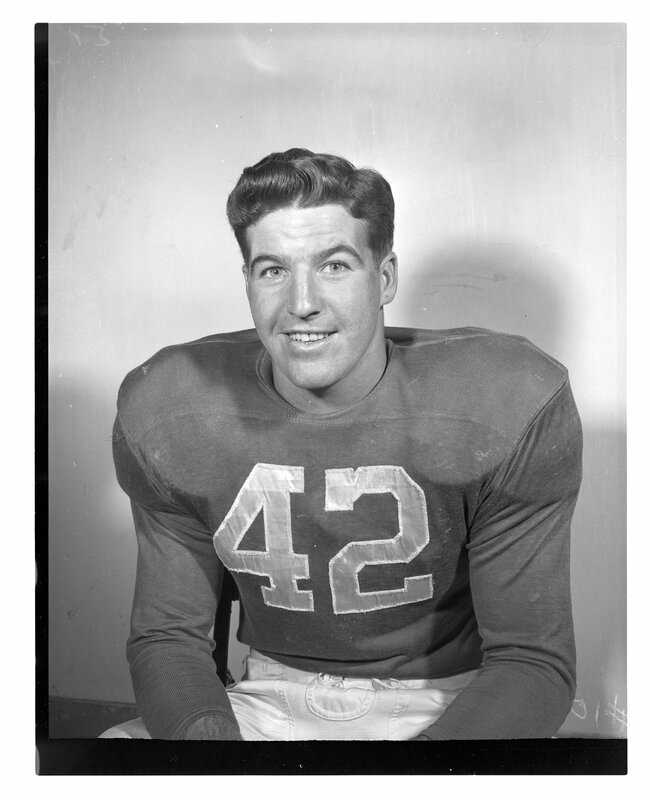 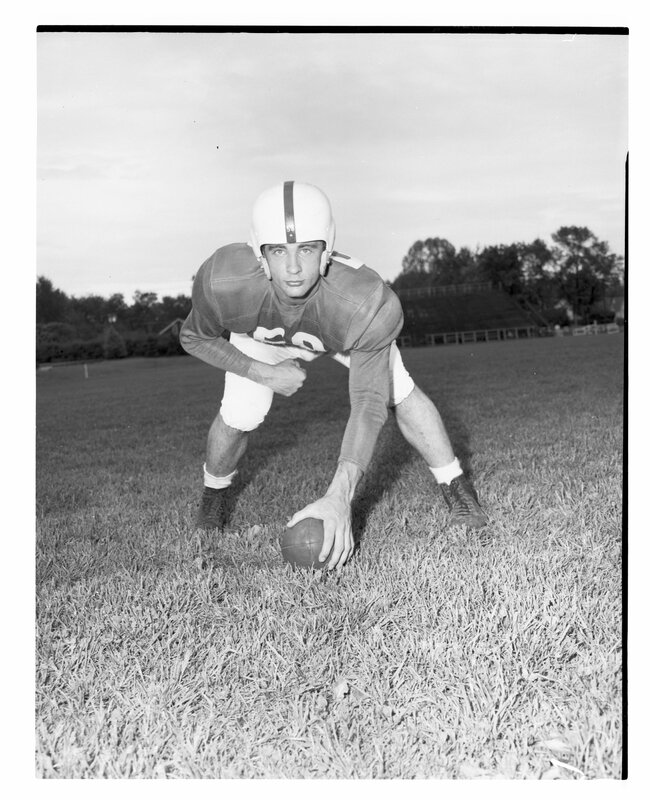 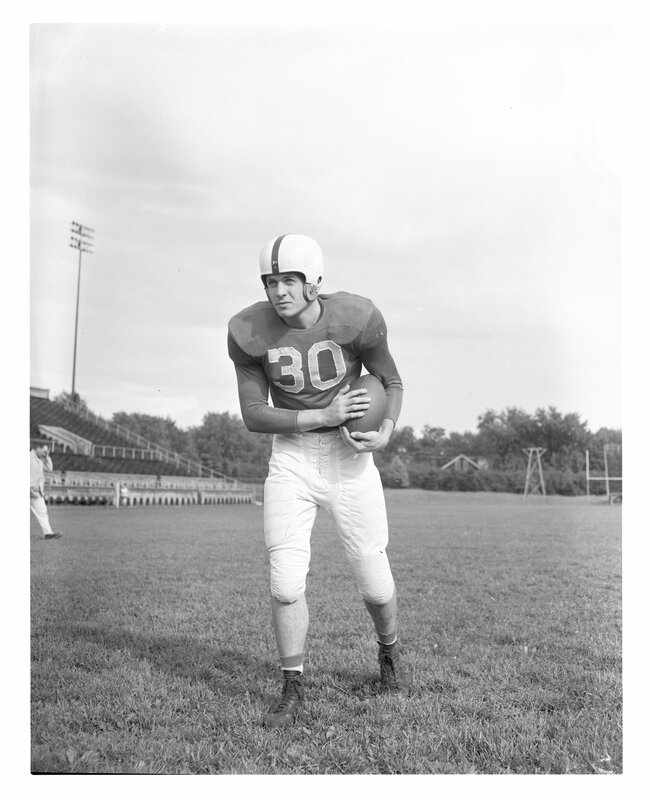 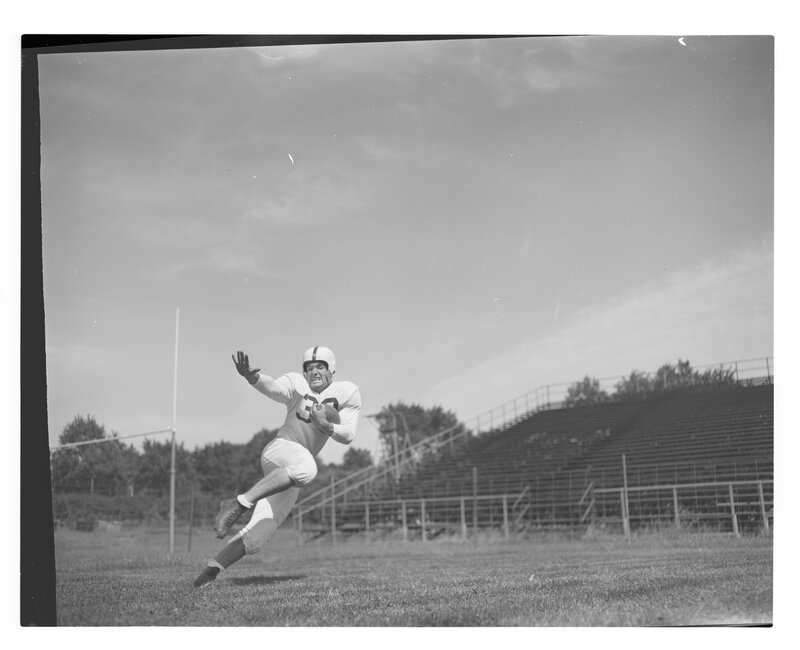 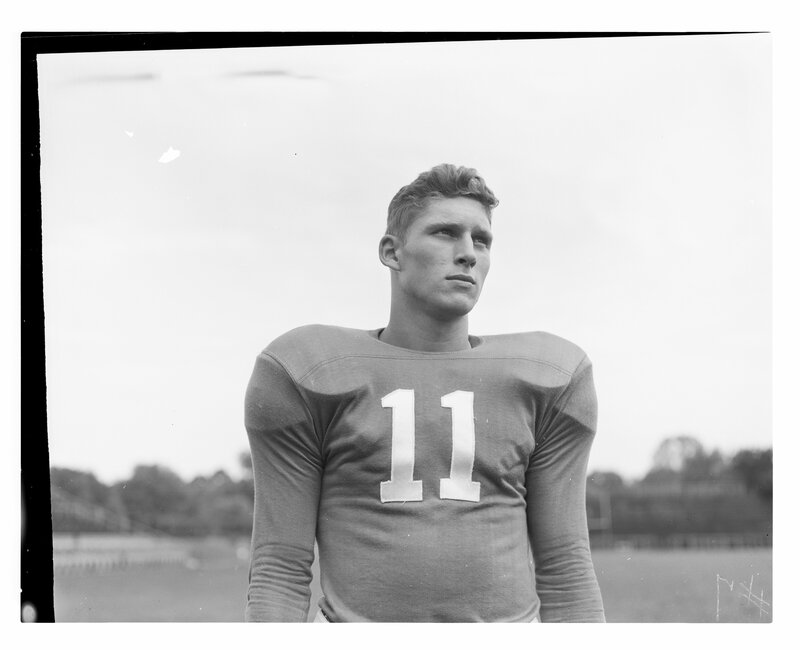 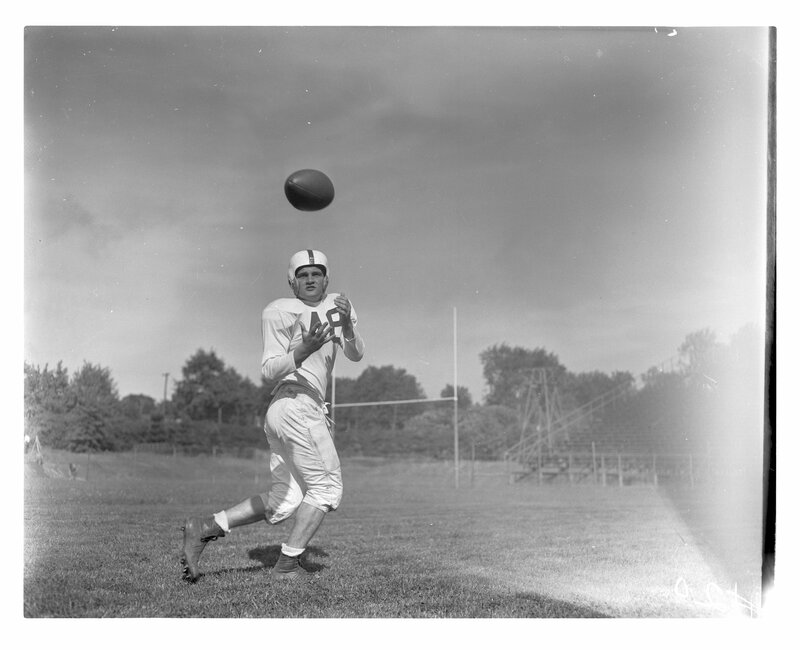 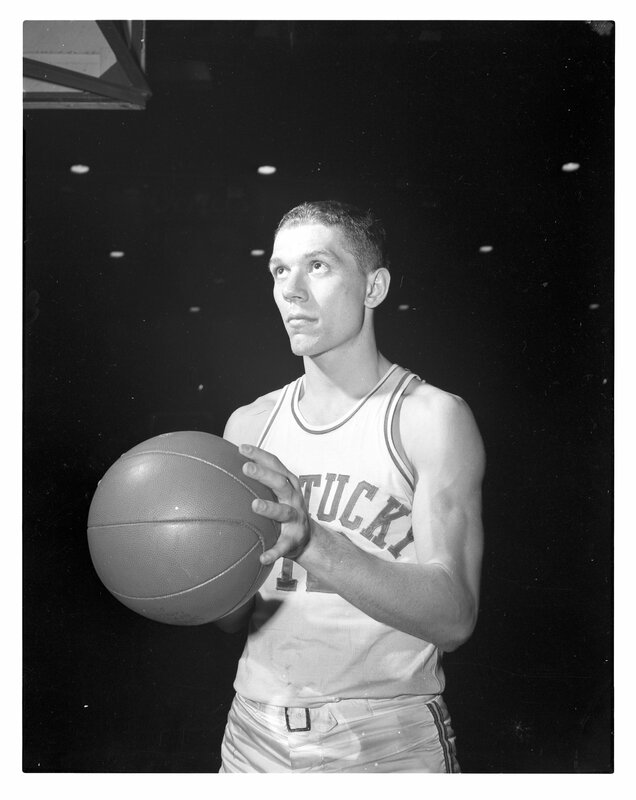 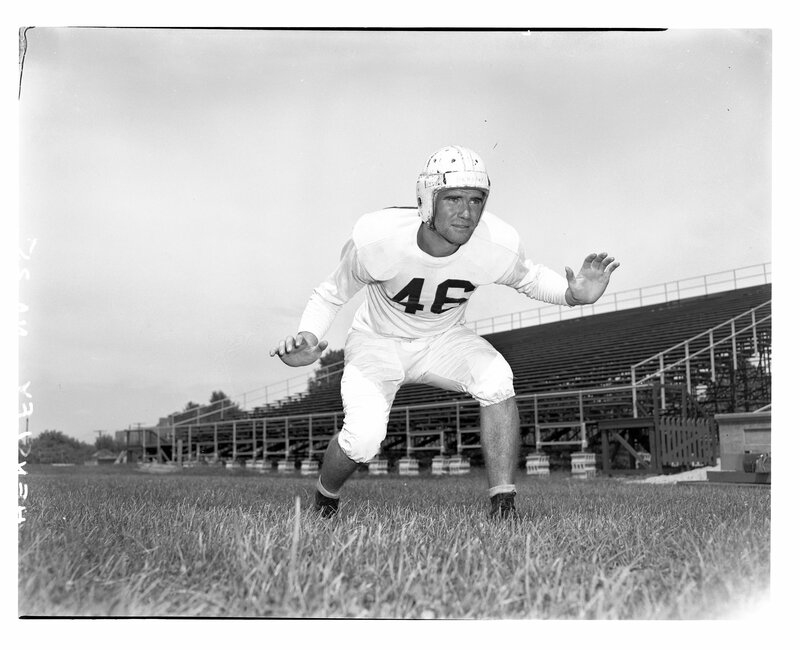 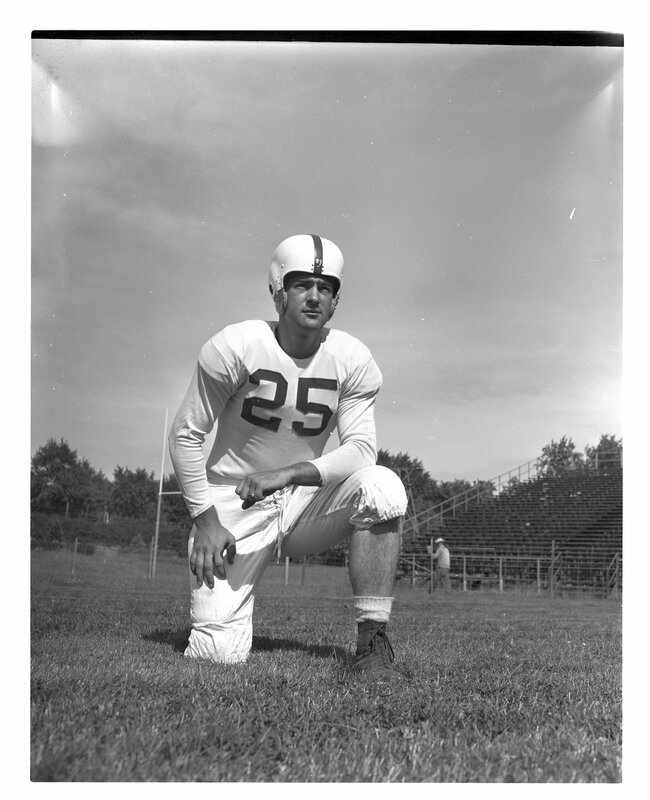 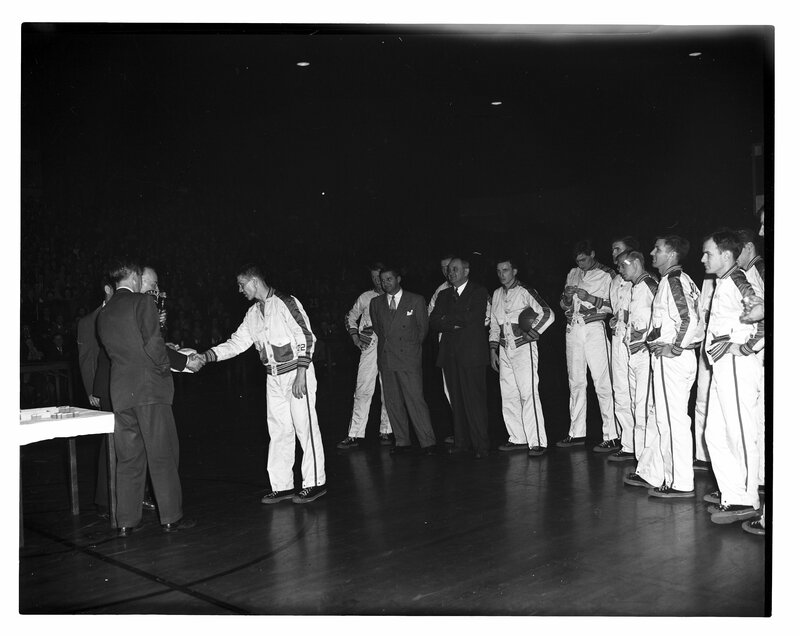 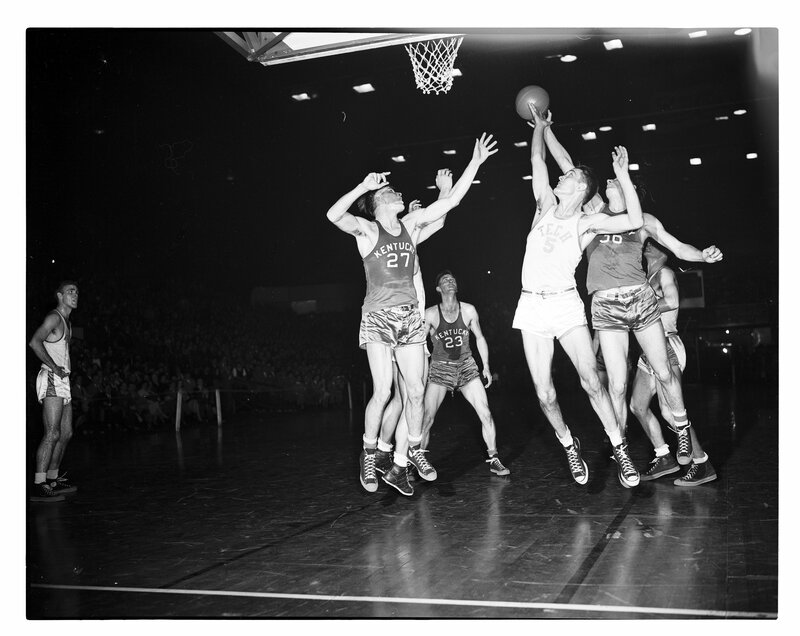 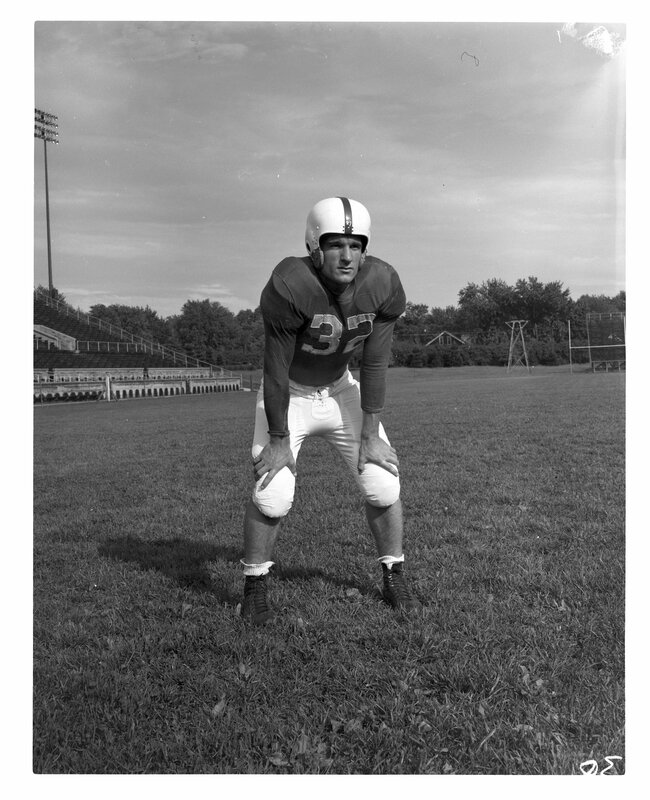 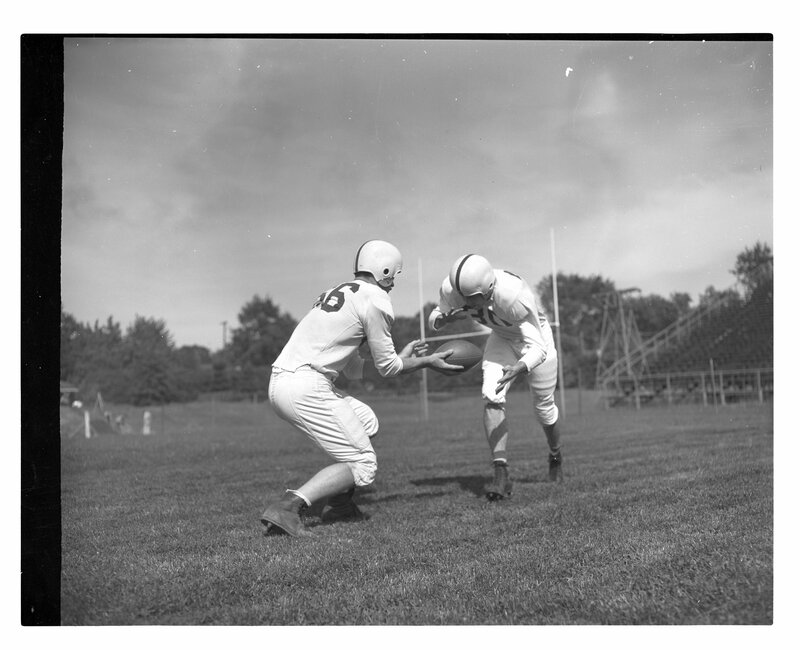 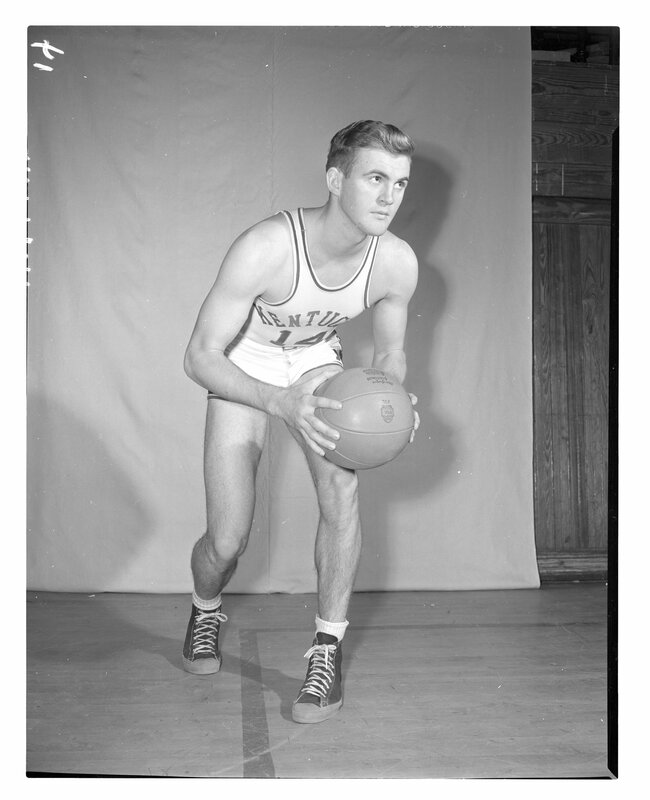 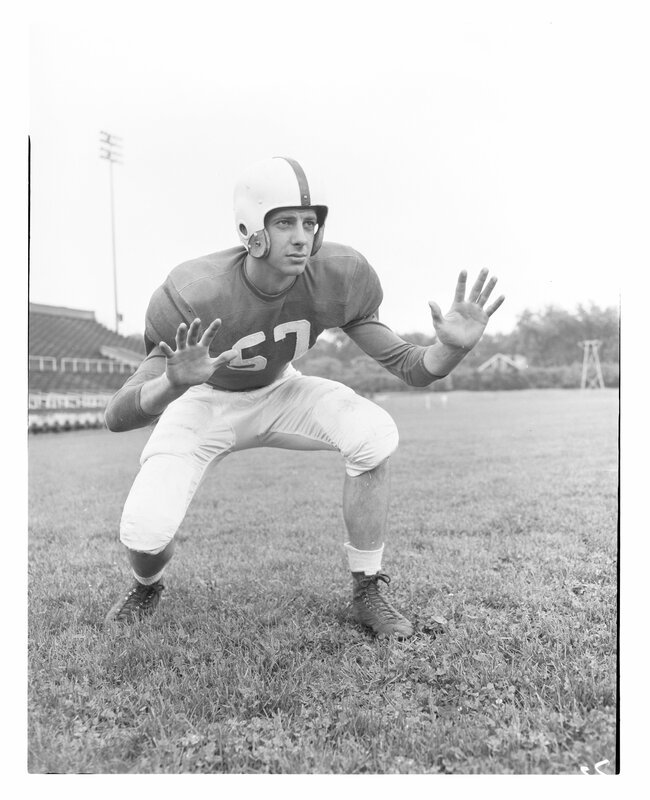 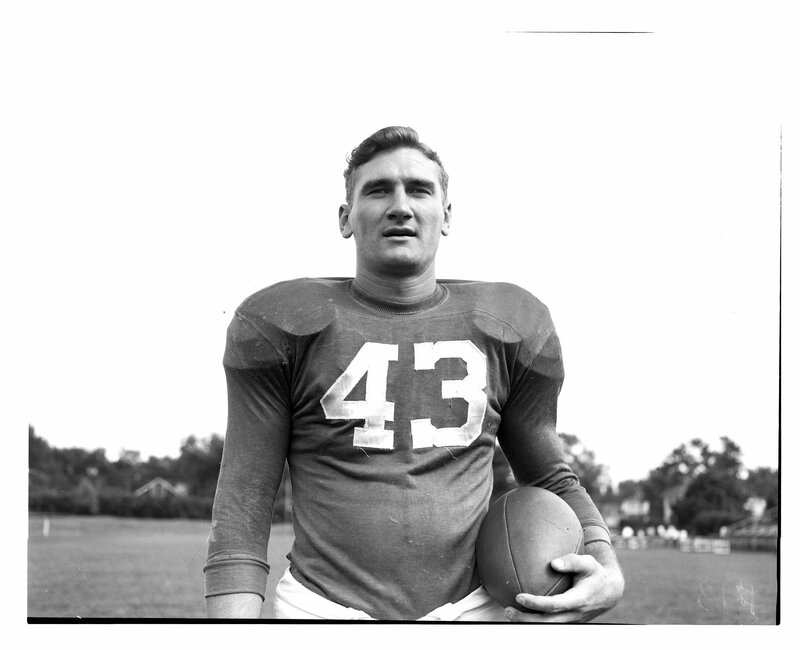 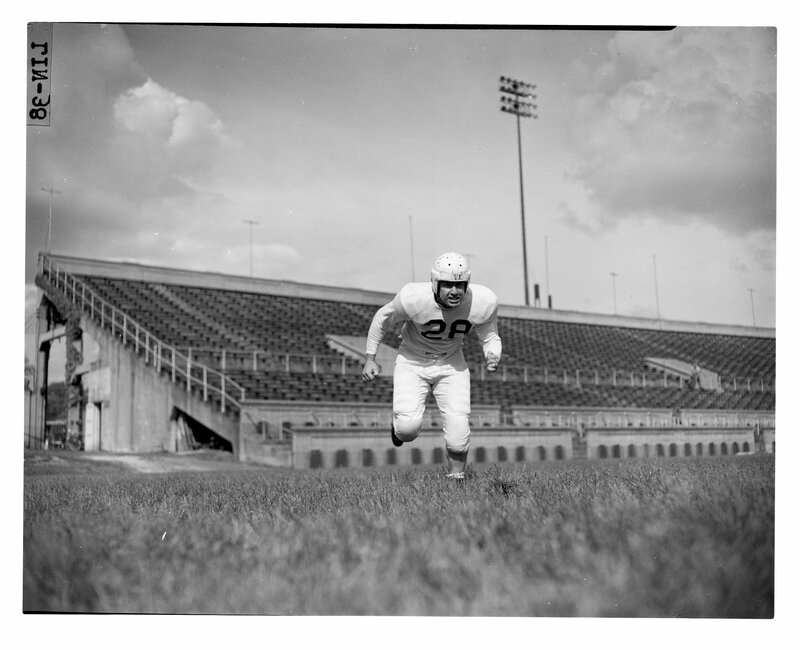 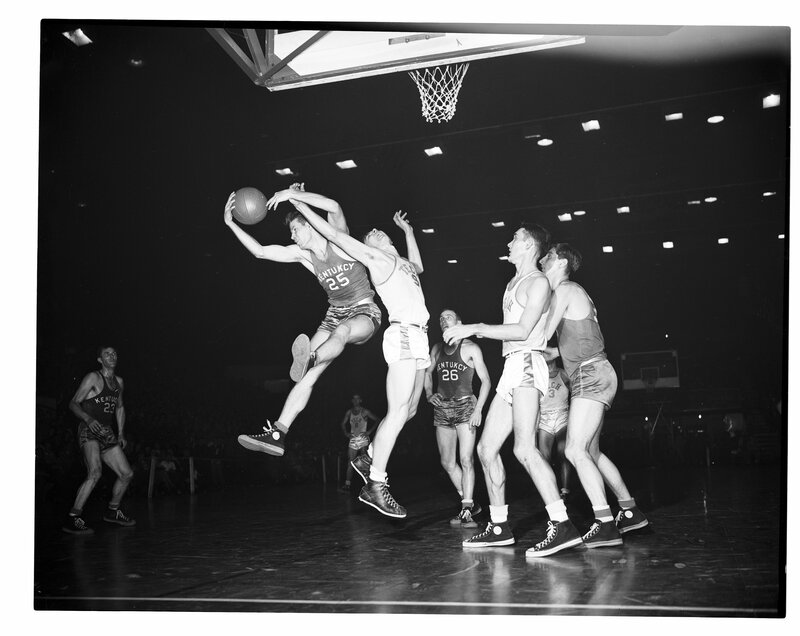 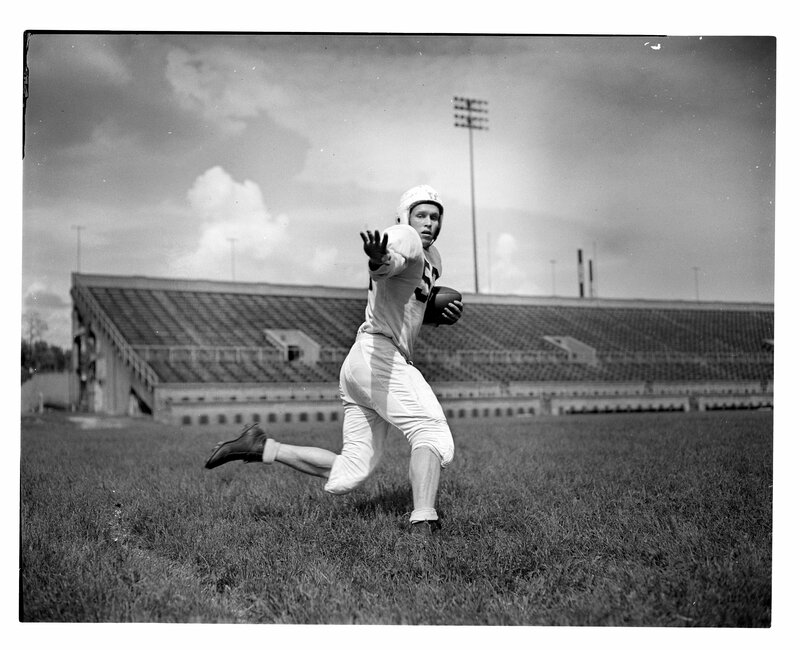 The University of Kentucky basketball and football negatives consists of black and white negatives (with one exception) of basketball games and players, and football players, the bulk of which are from the mid 1940s to 1950. 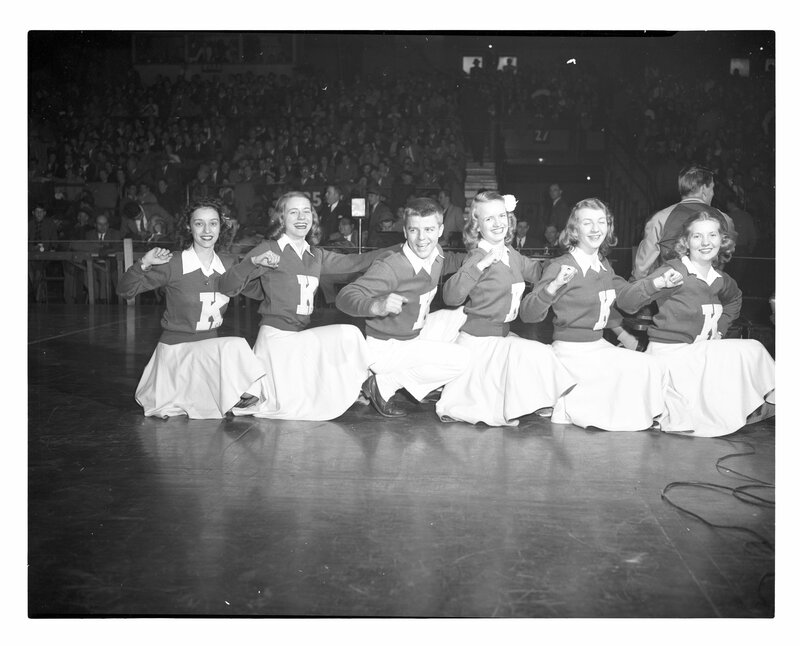 There are also four negatives of unknown origin labeled "Mrs. Brown's class."